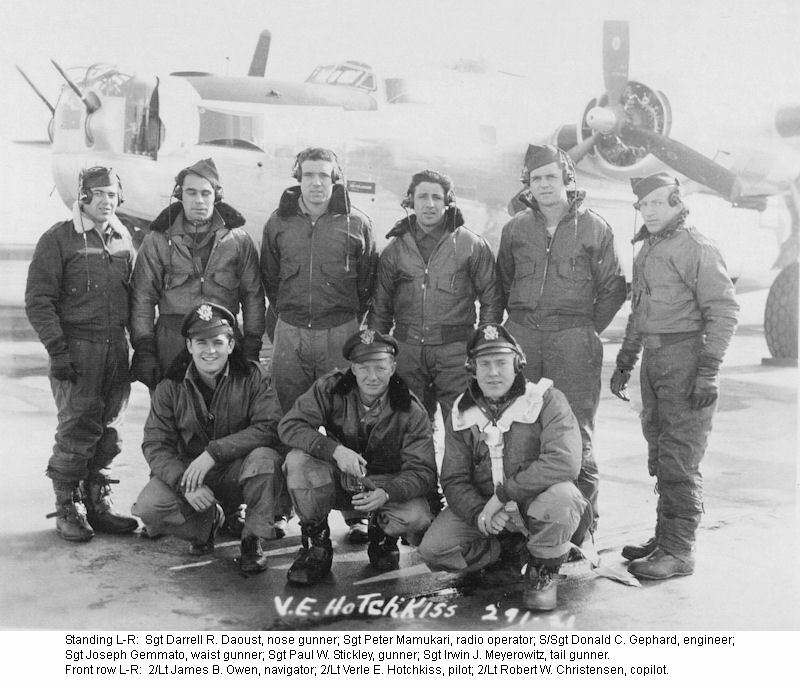 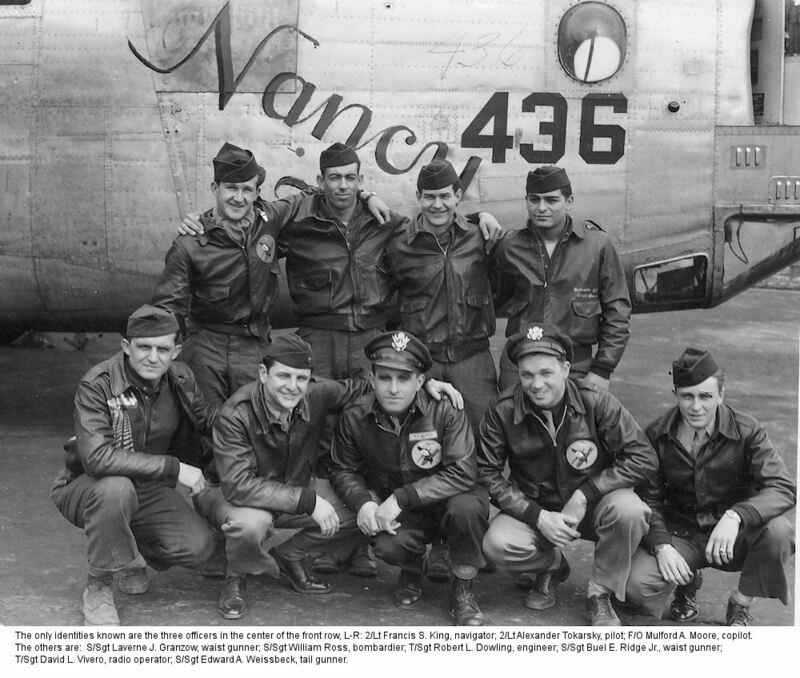 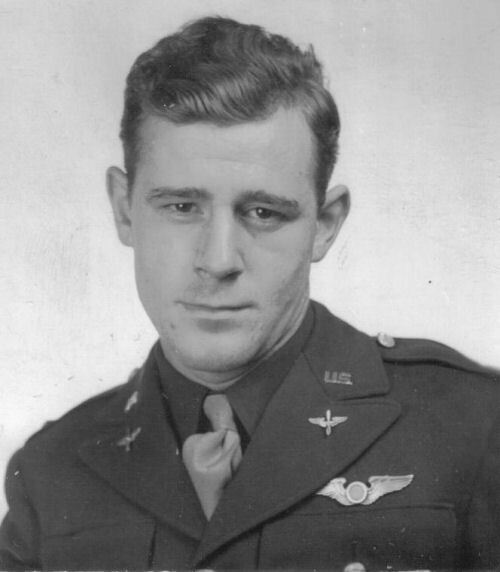 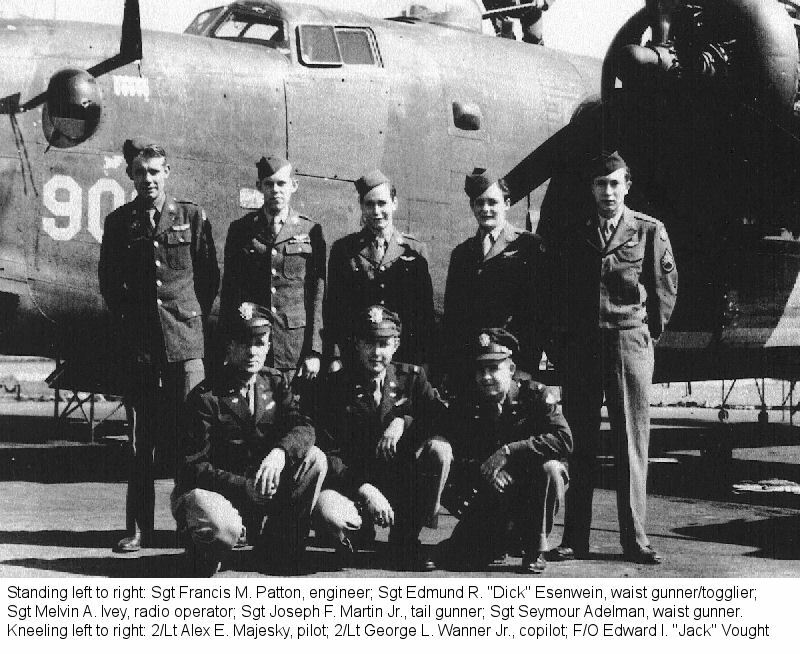 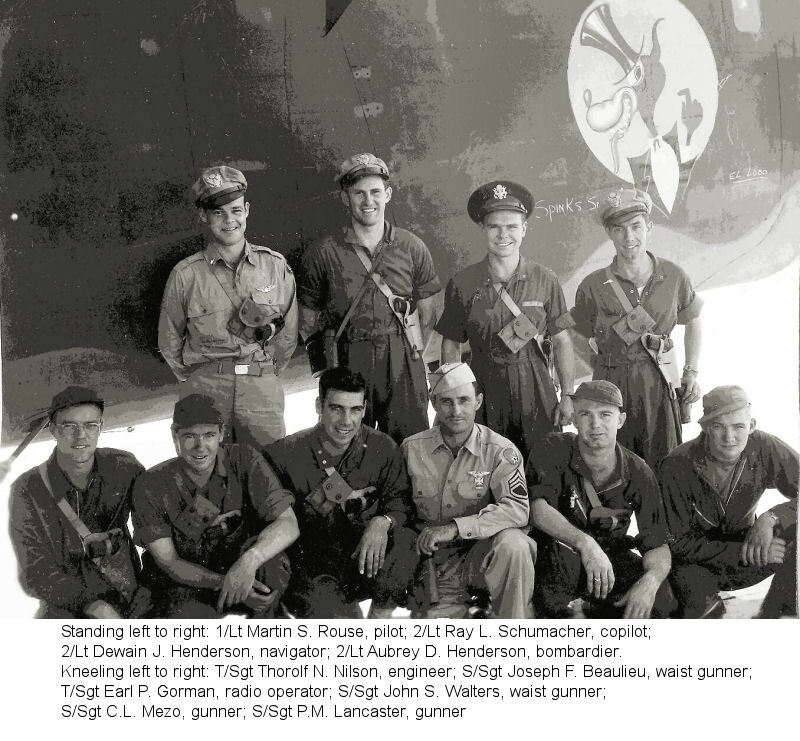 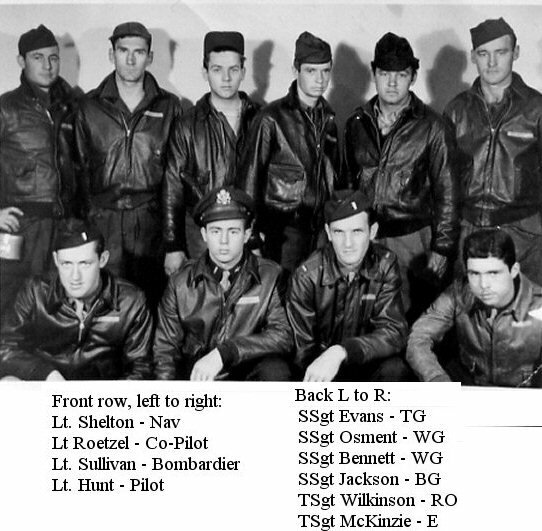 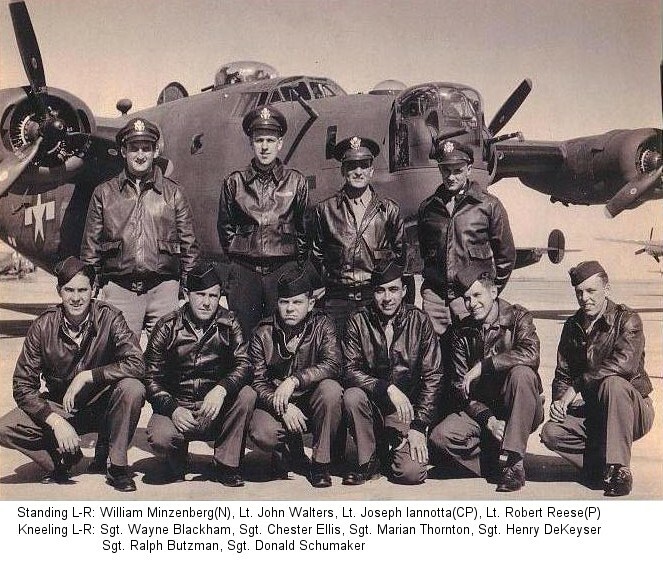 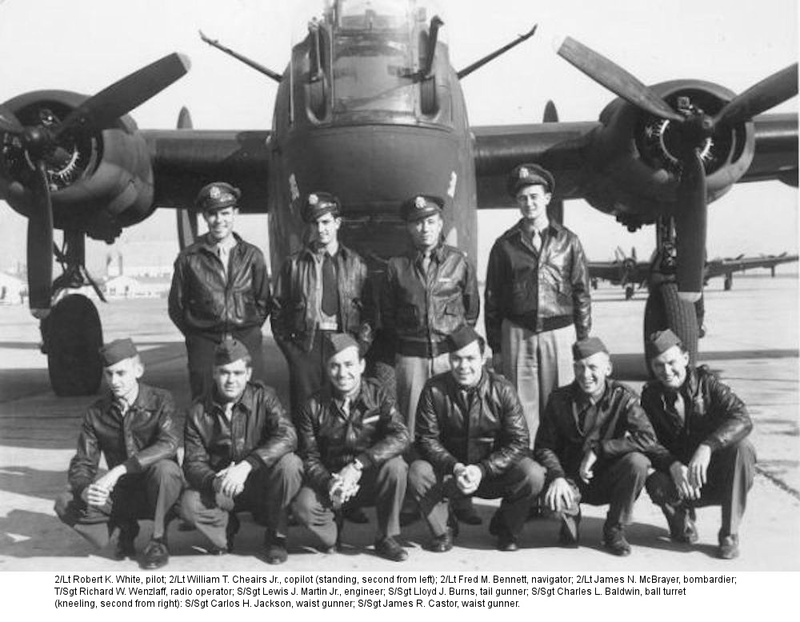 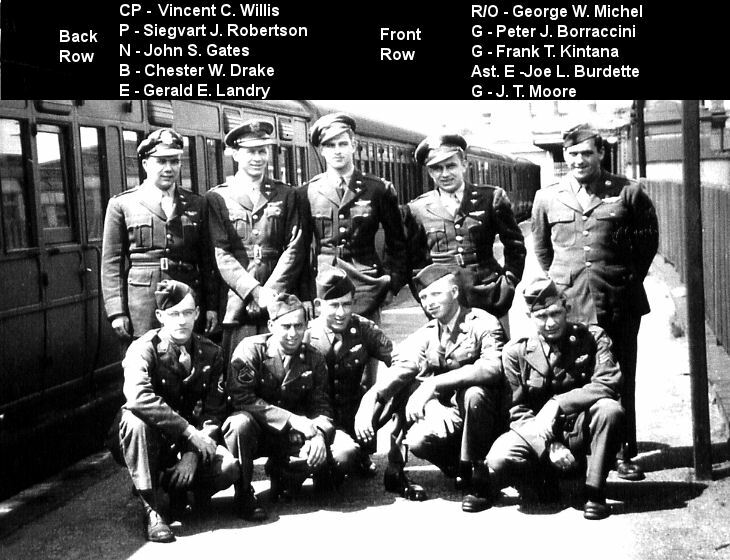 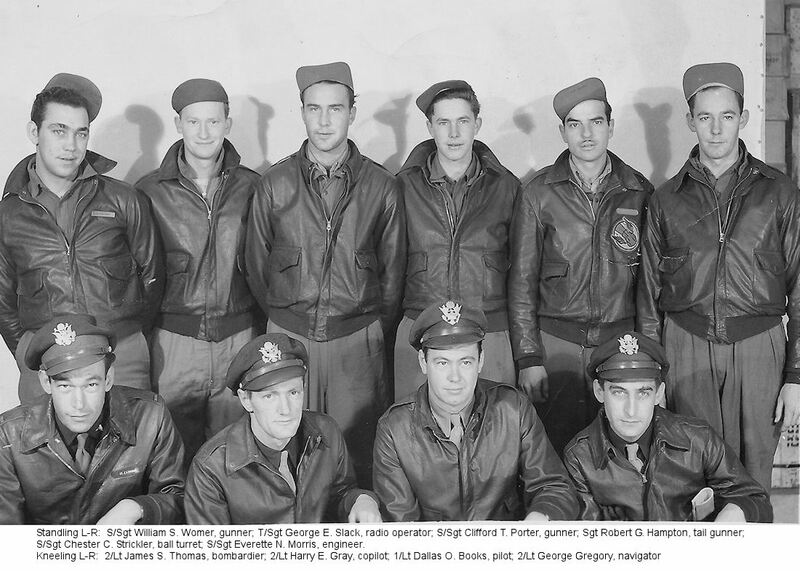 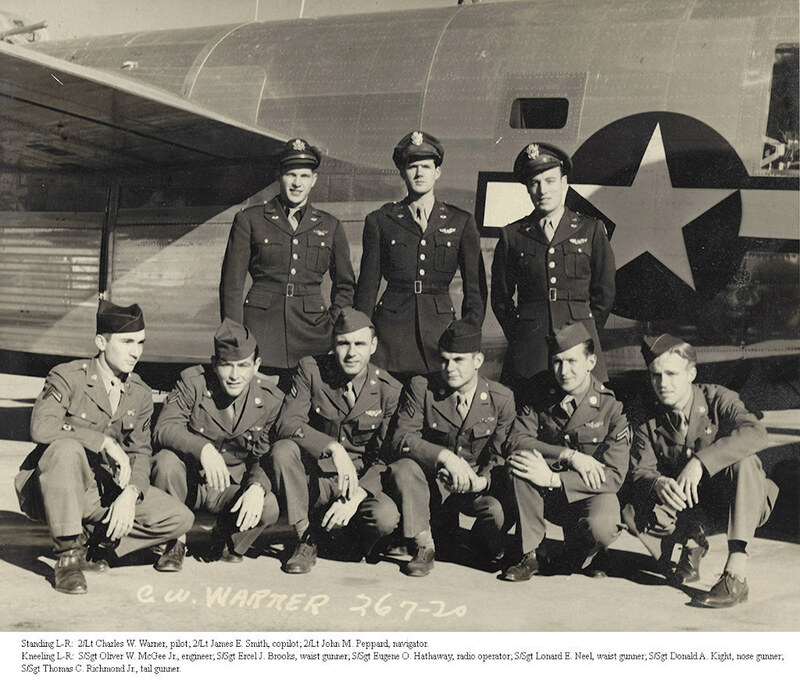 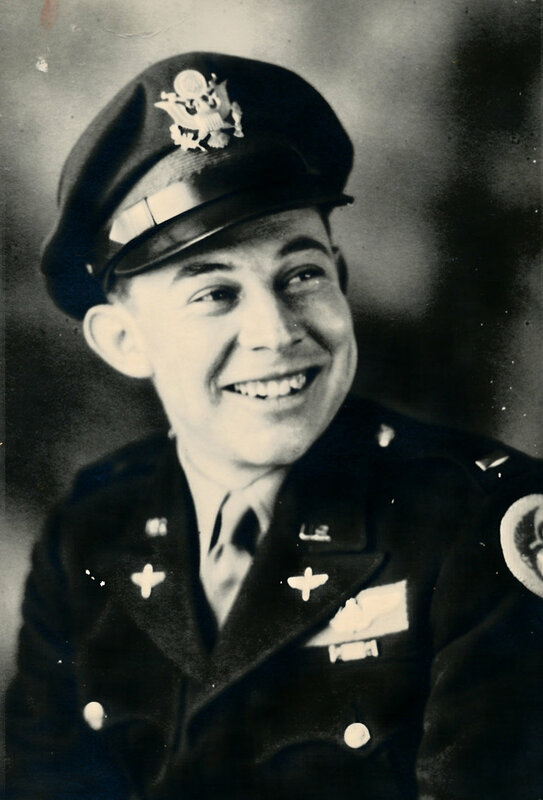 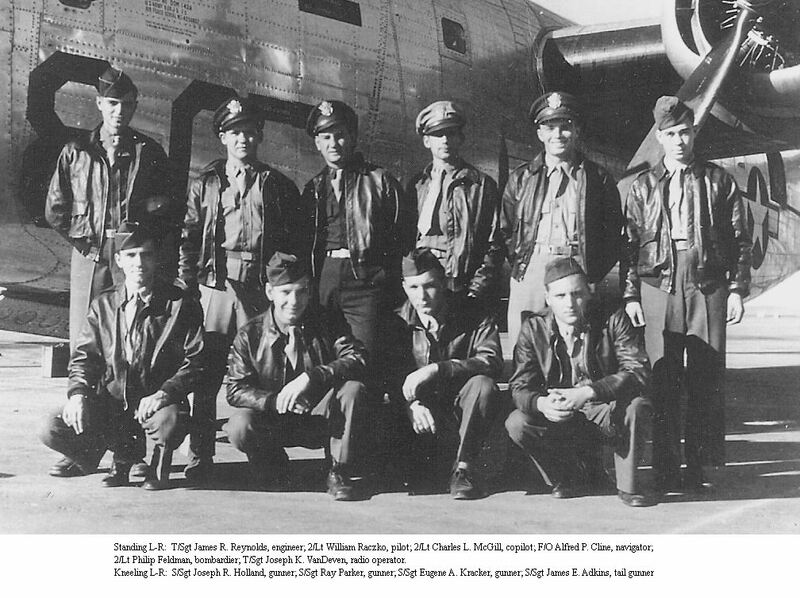 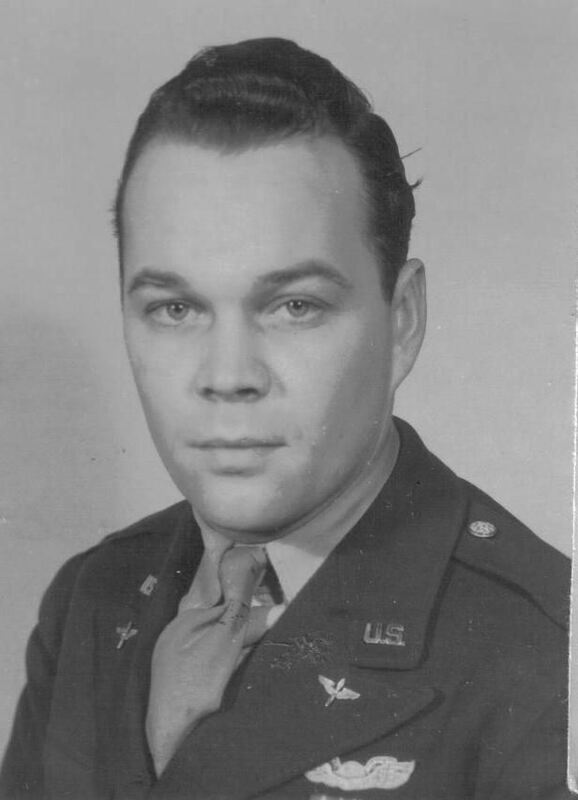 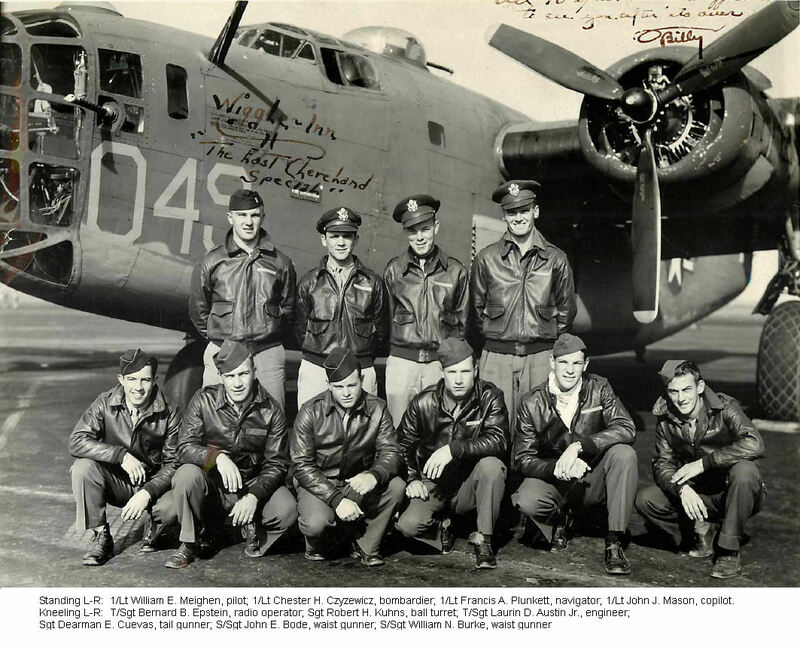 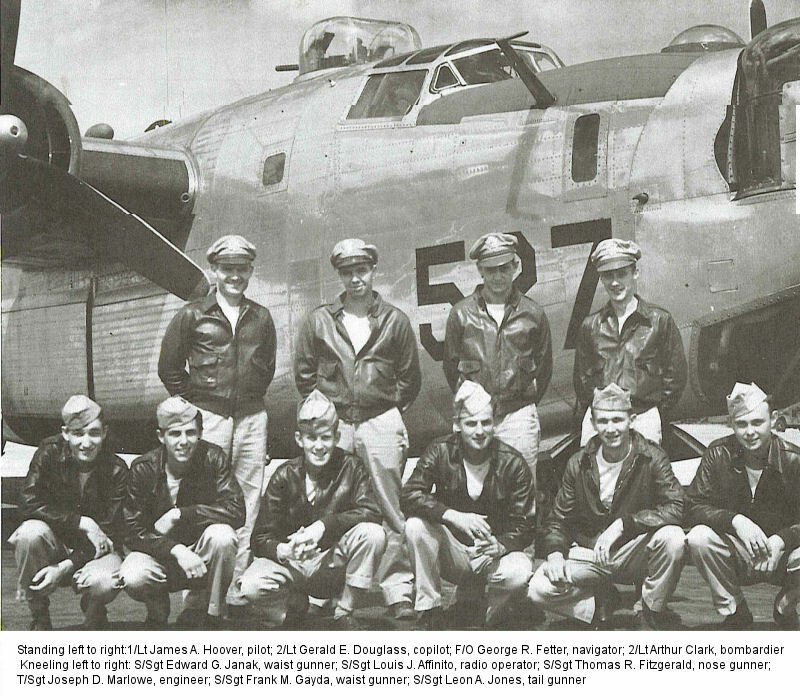 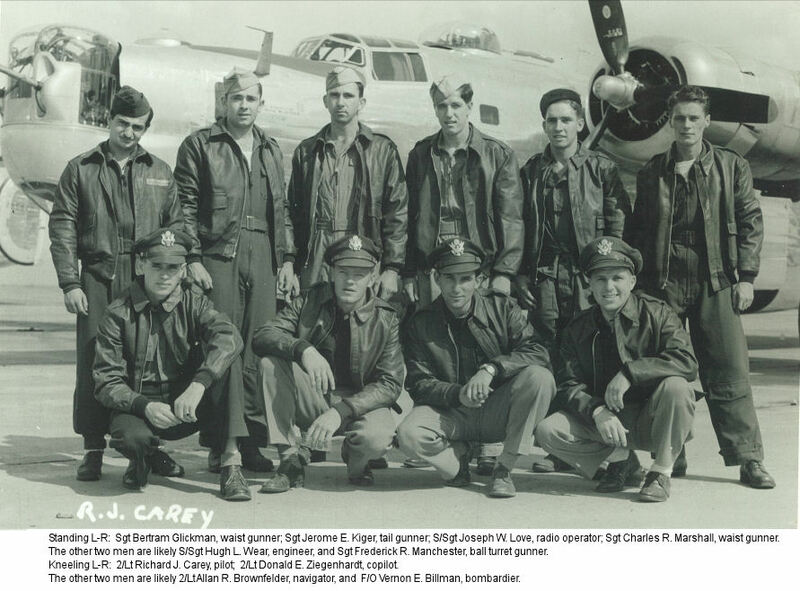 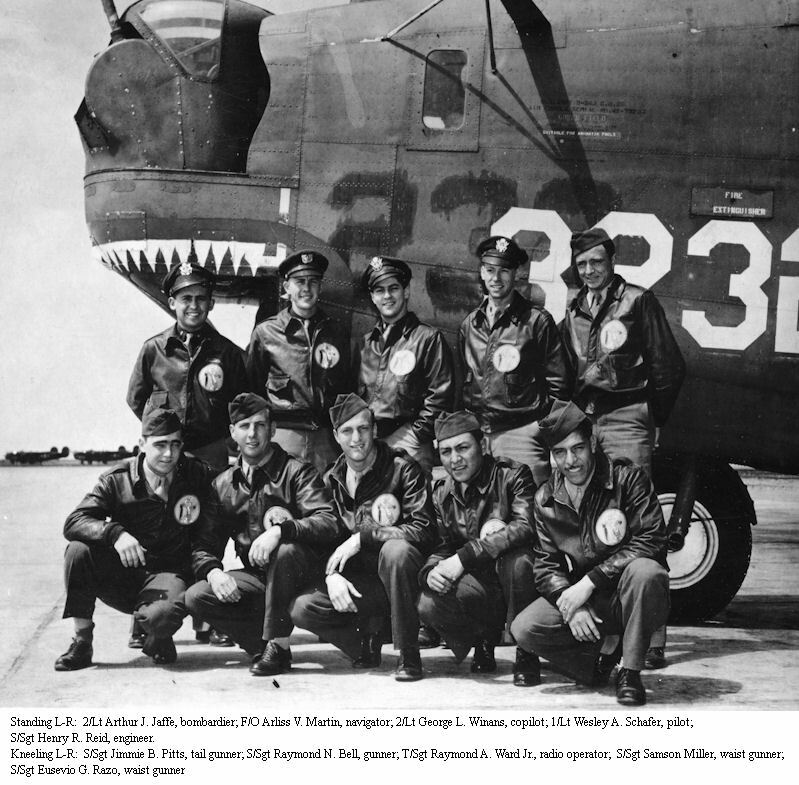 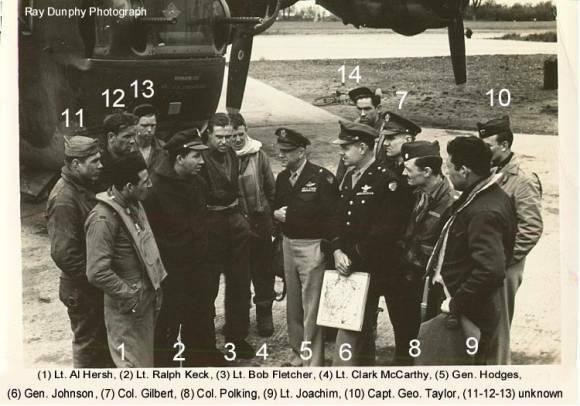 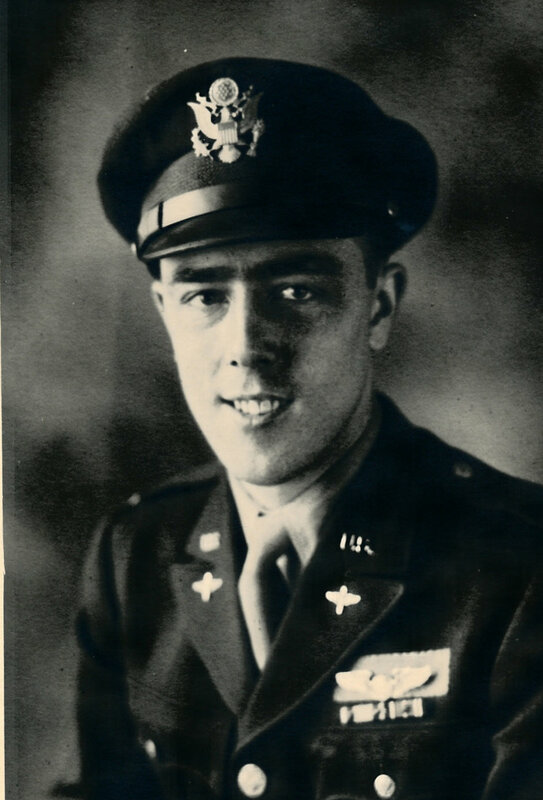 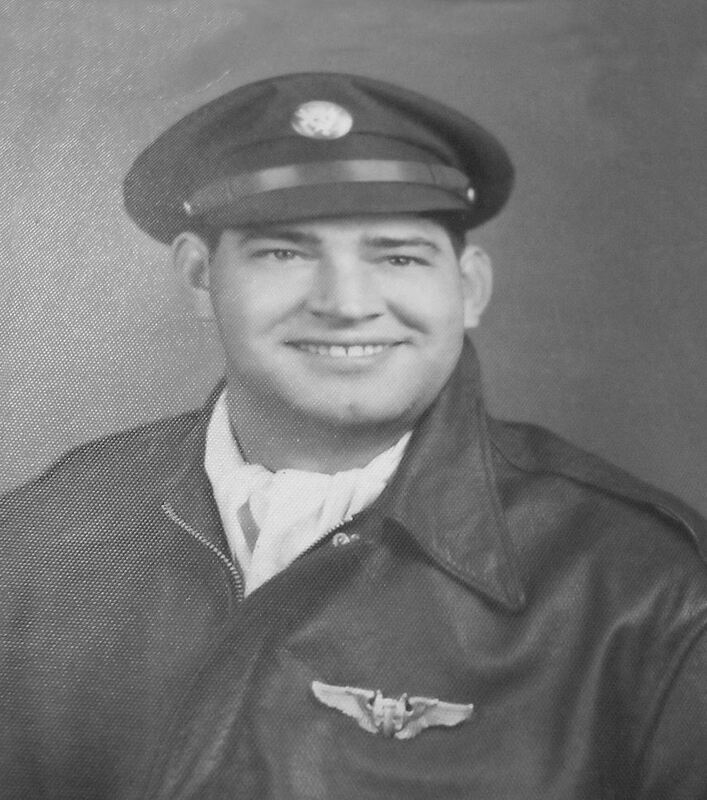 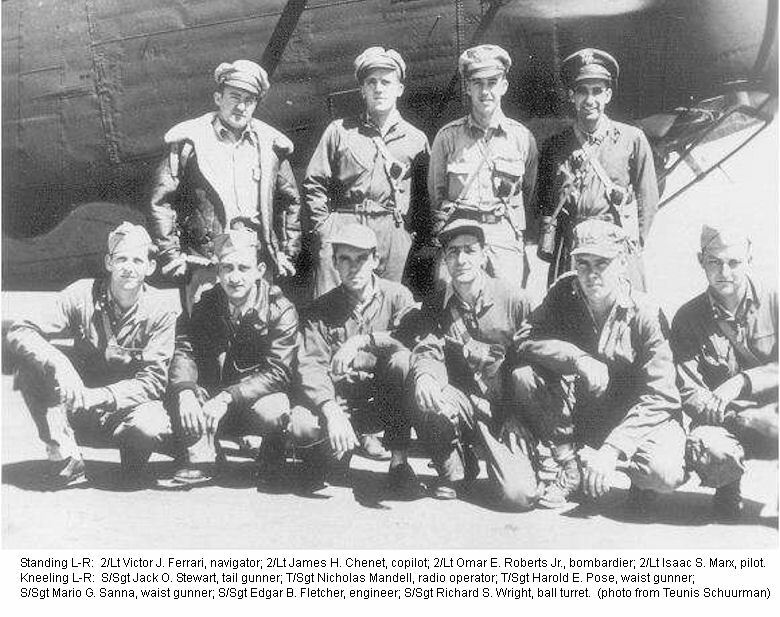 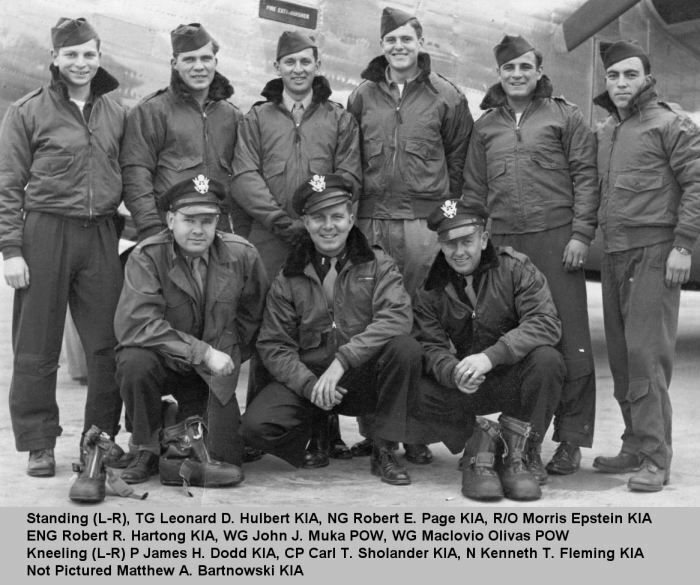 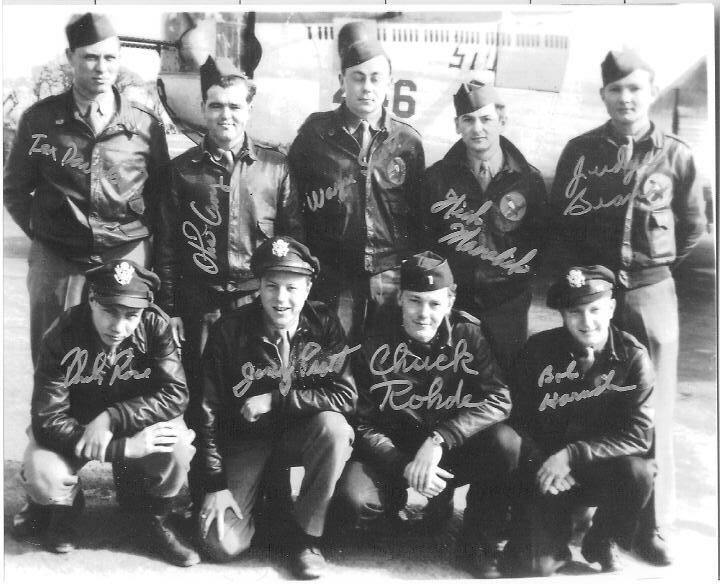 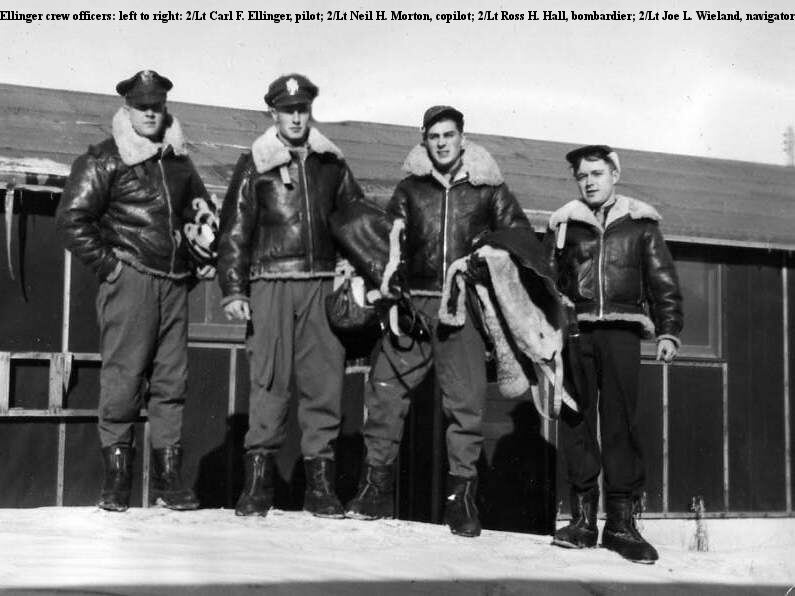 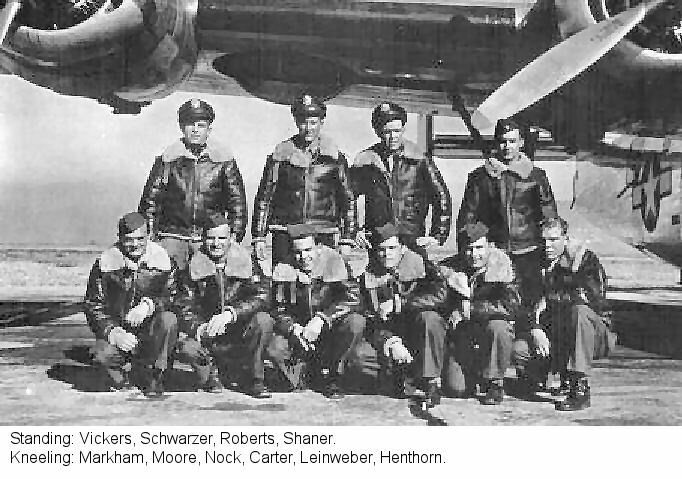 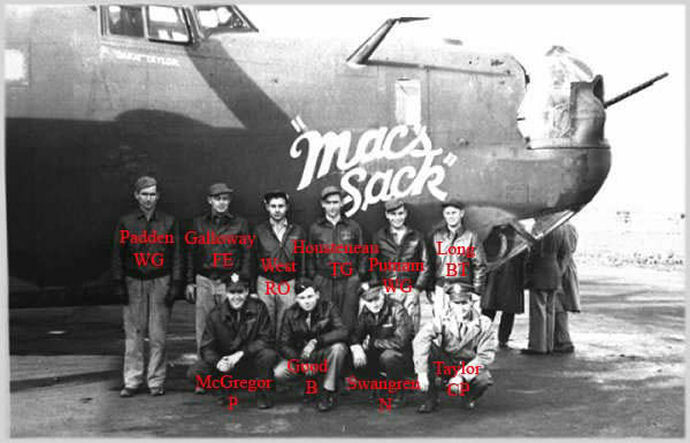 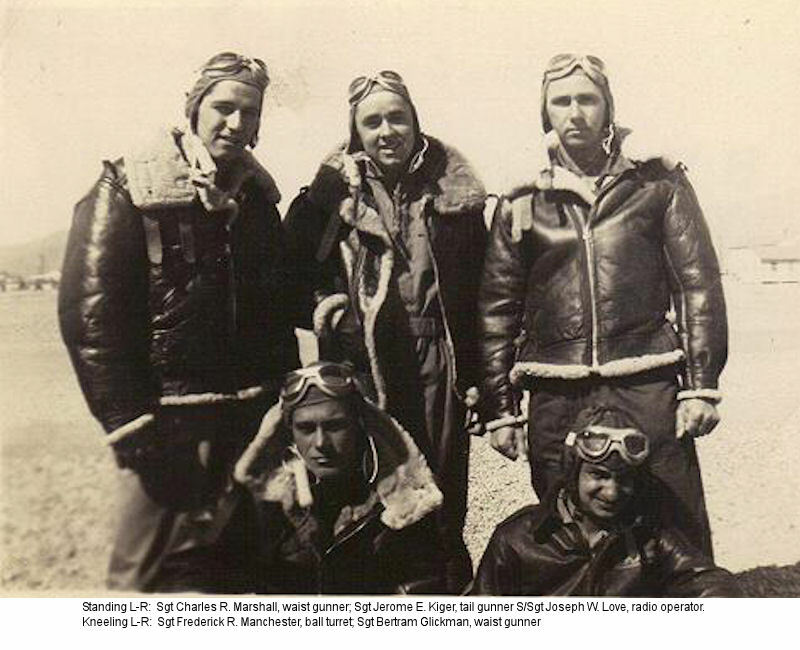 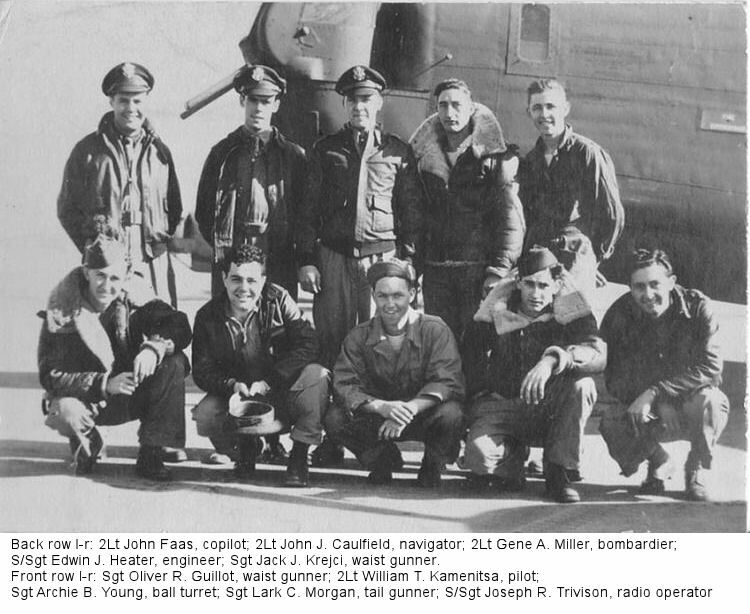 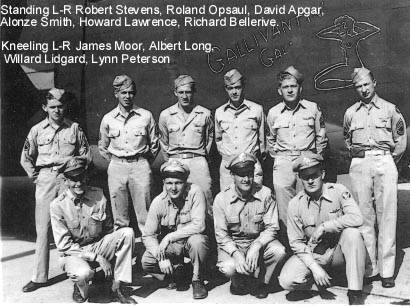 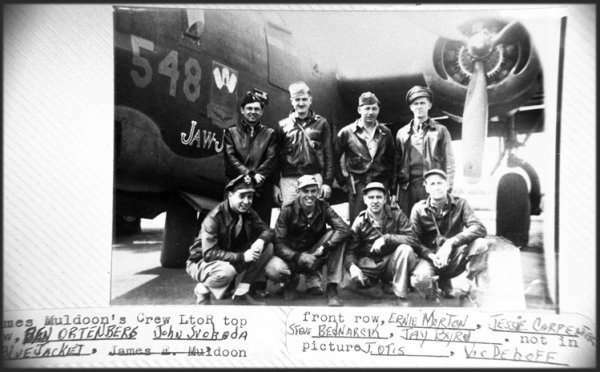 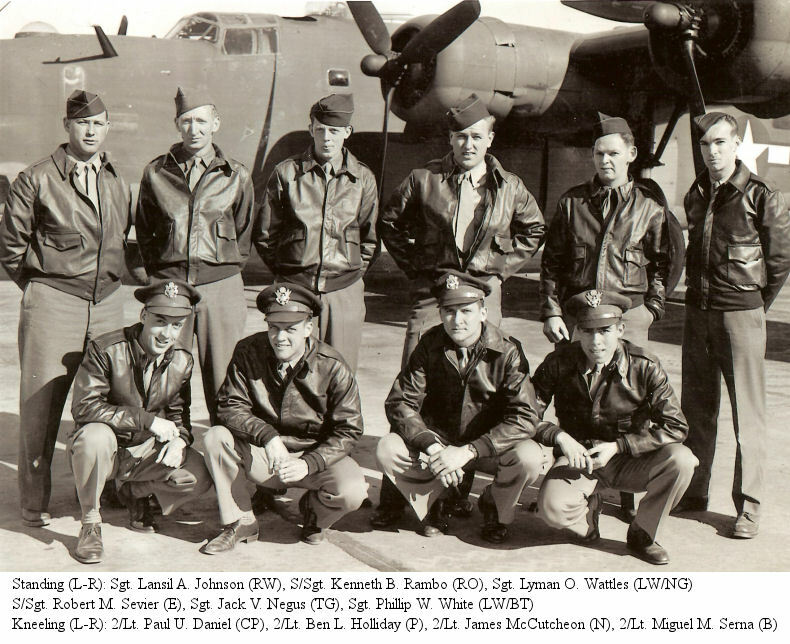 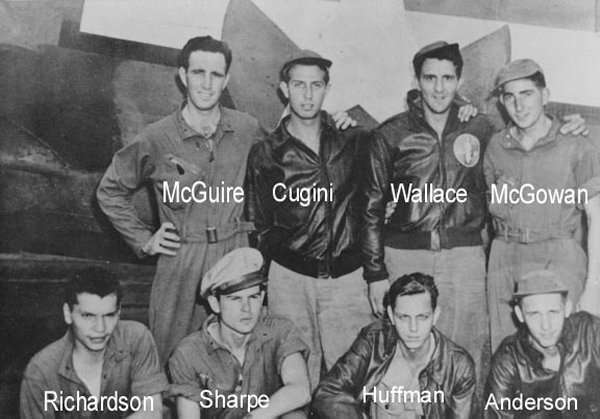 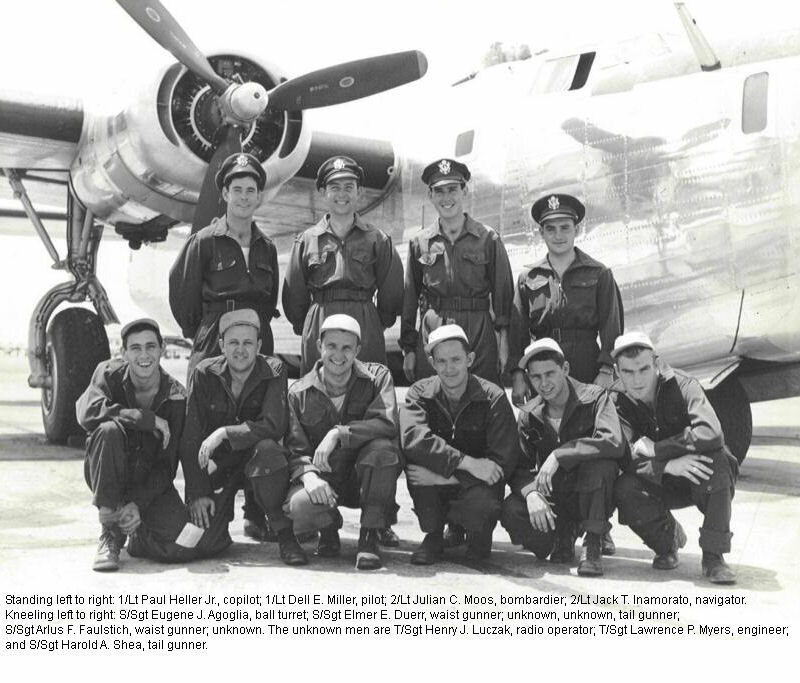 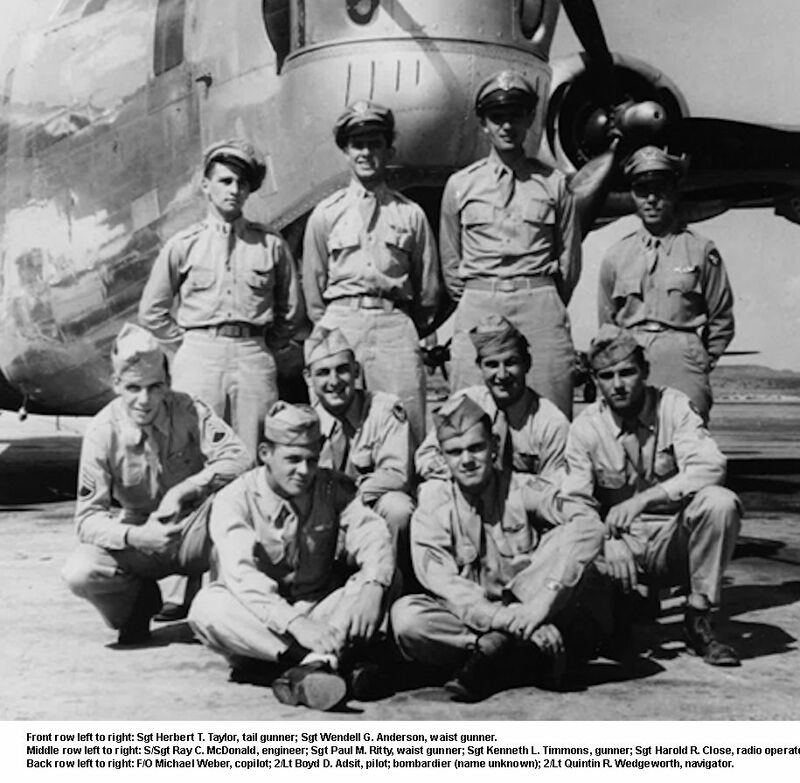 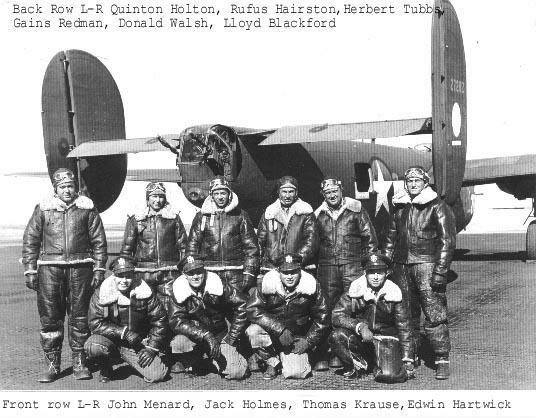 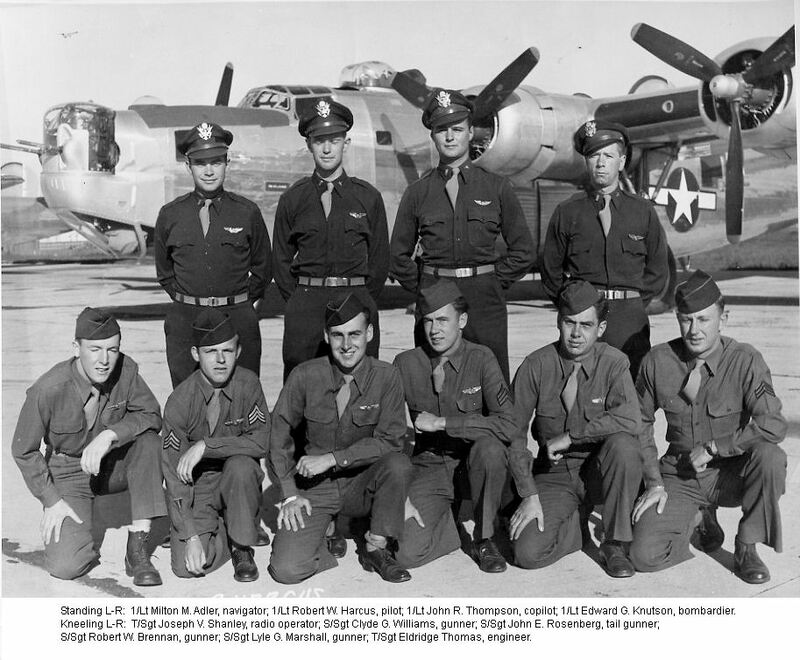 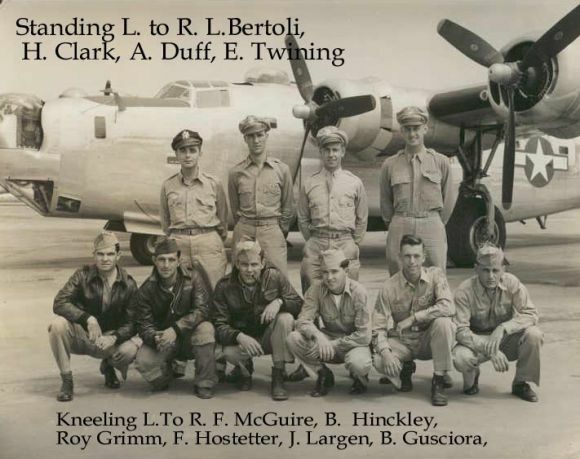 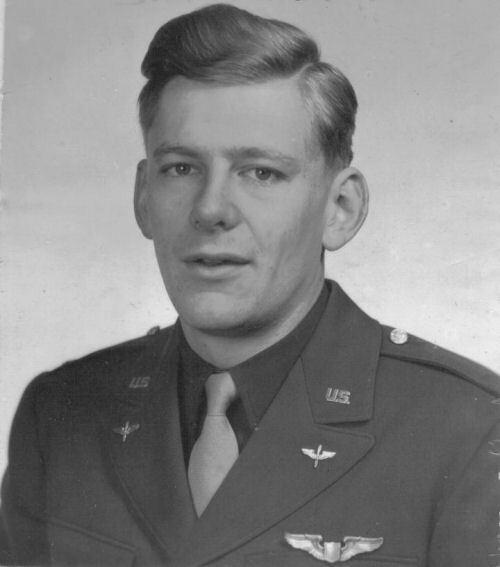 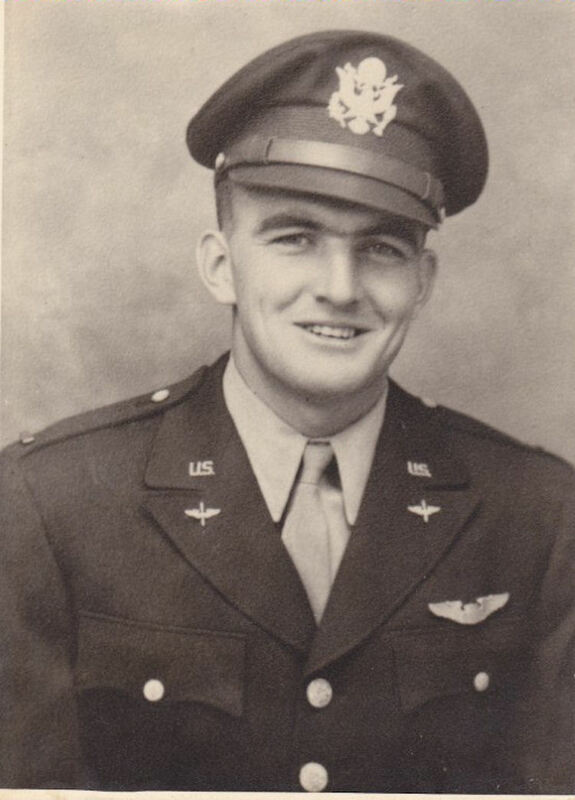 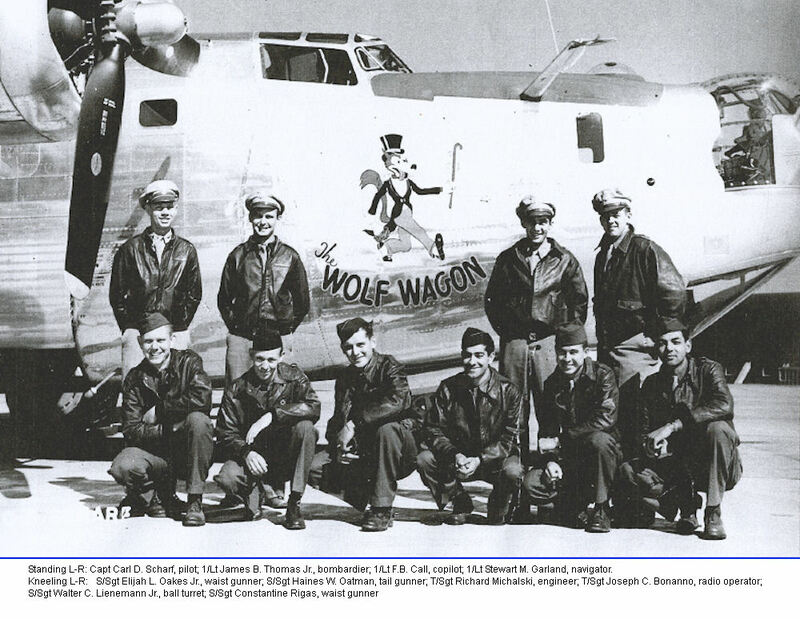 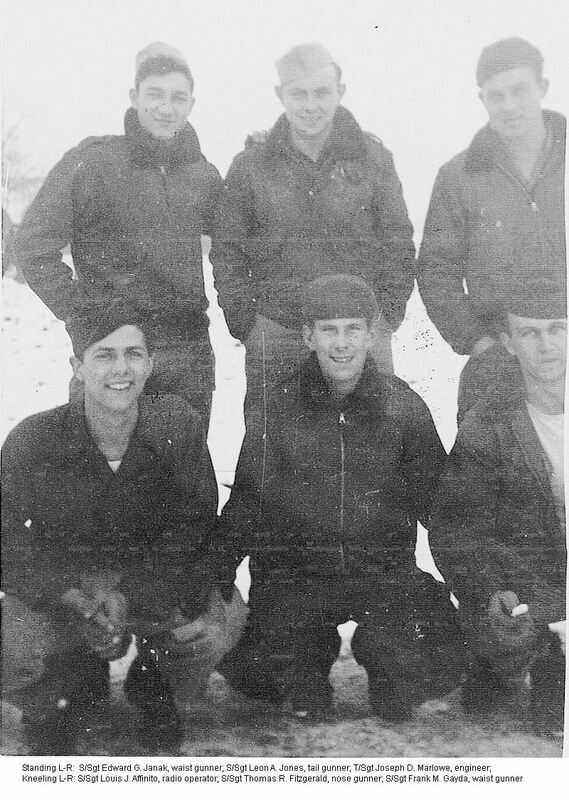 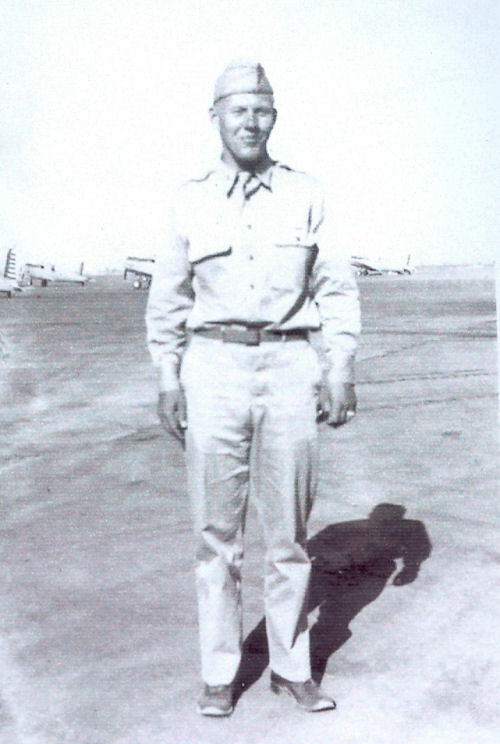 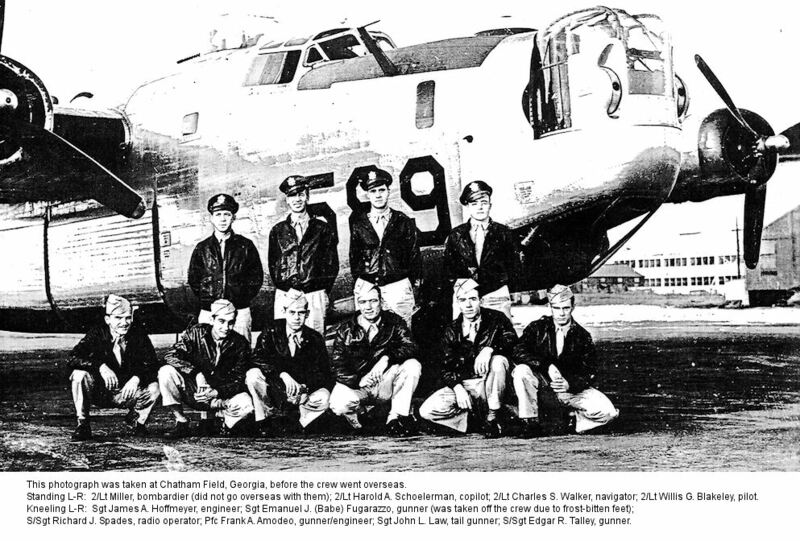 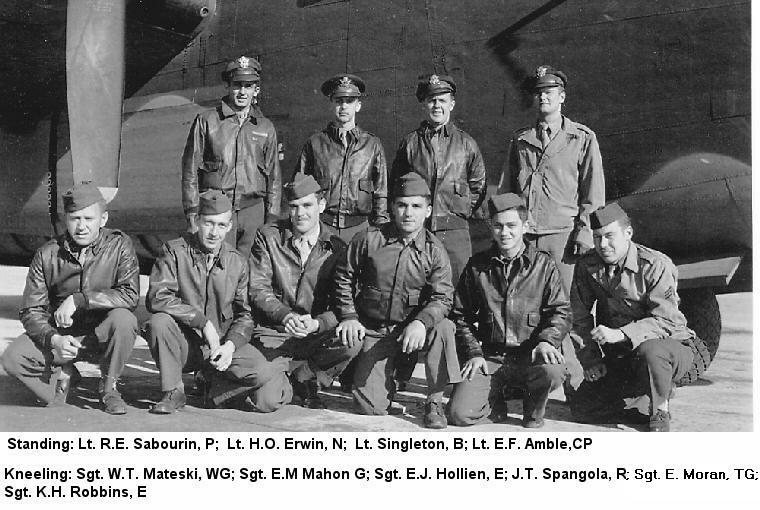 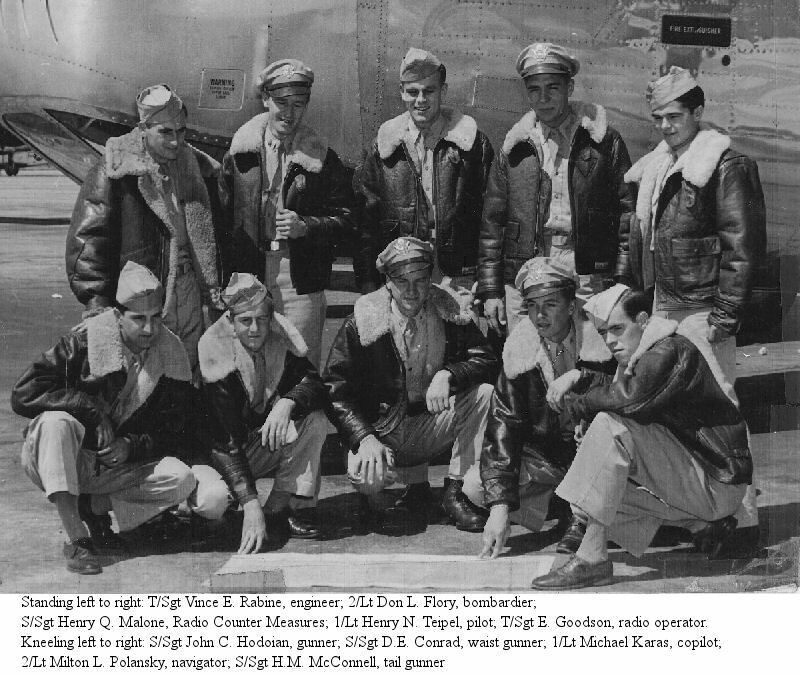 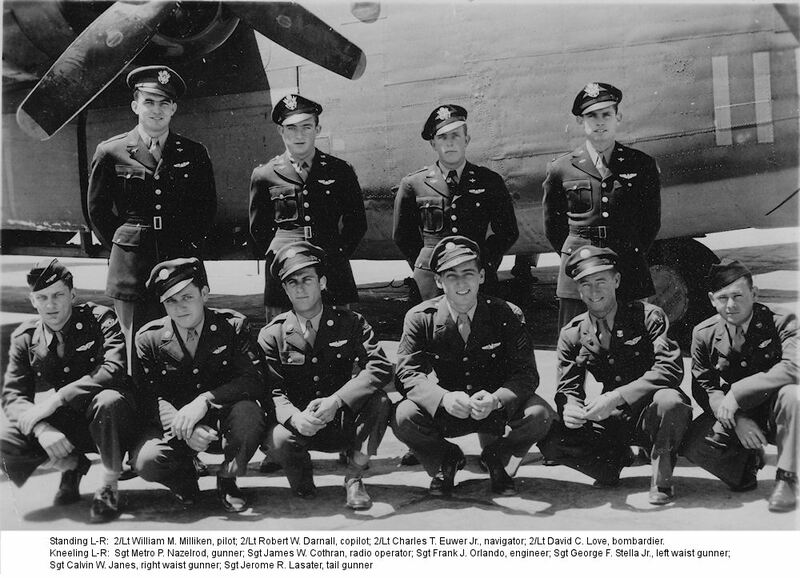 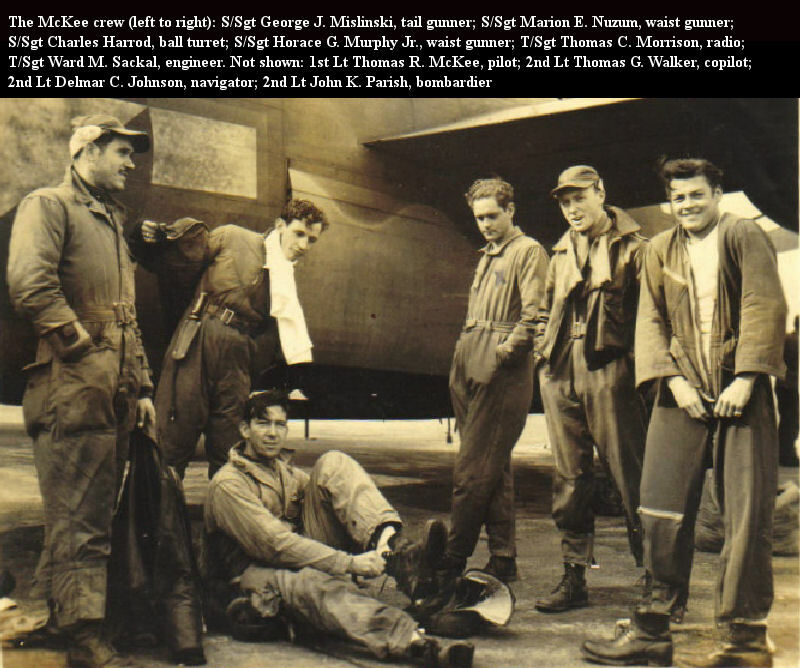 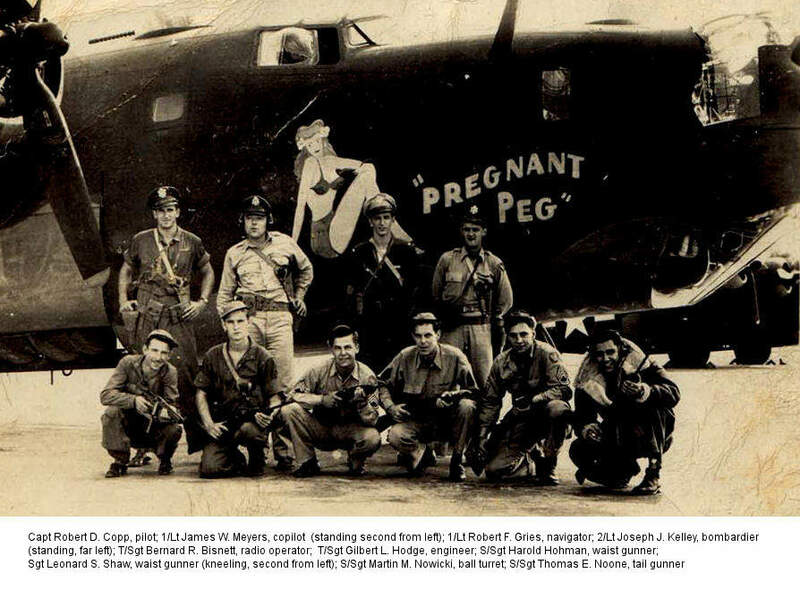 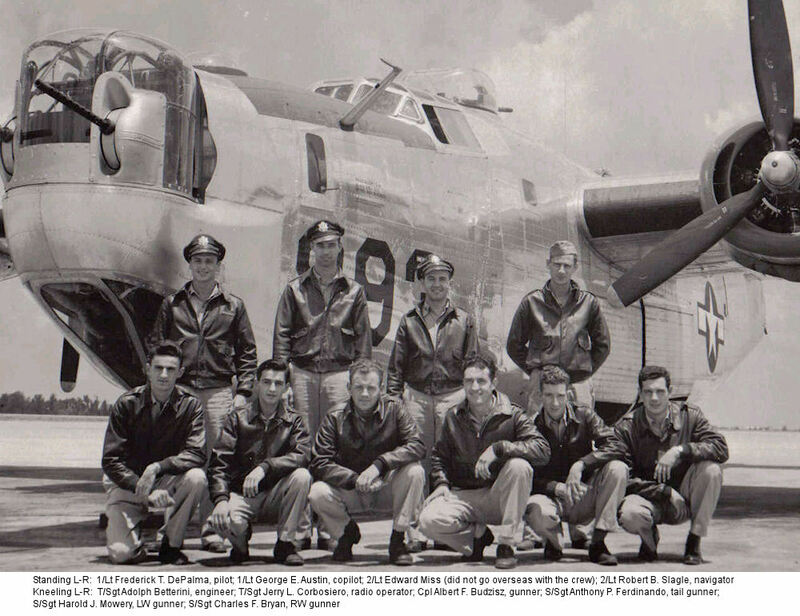 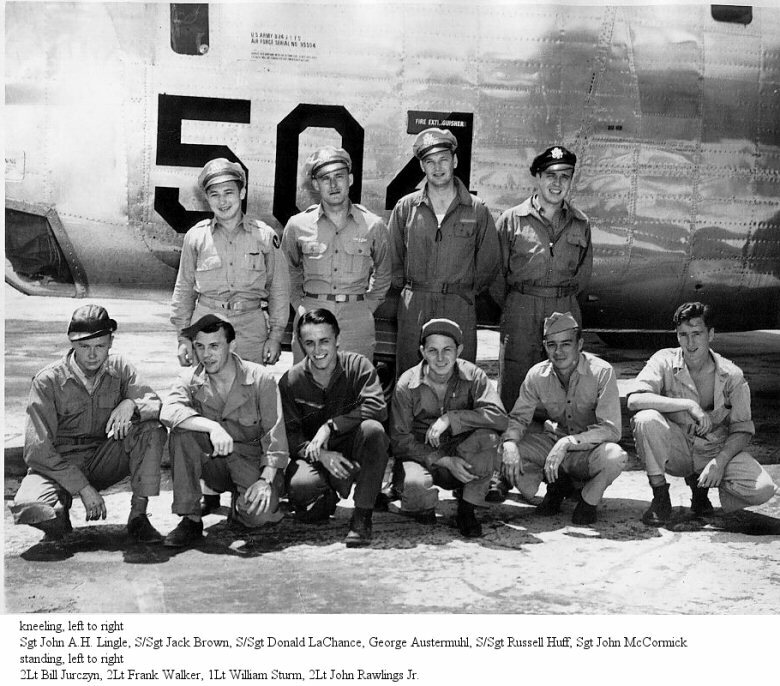 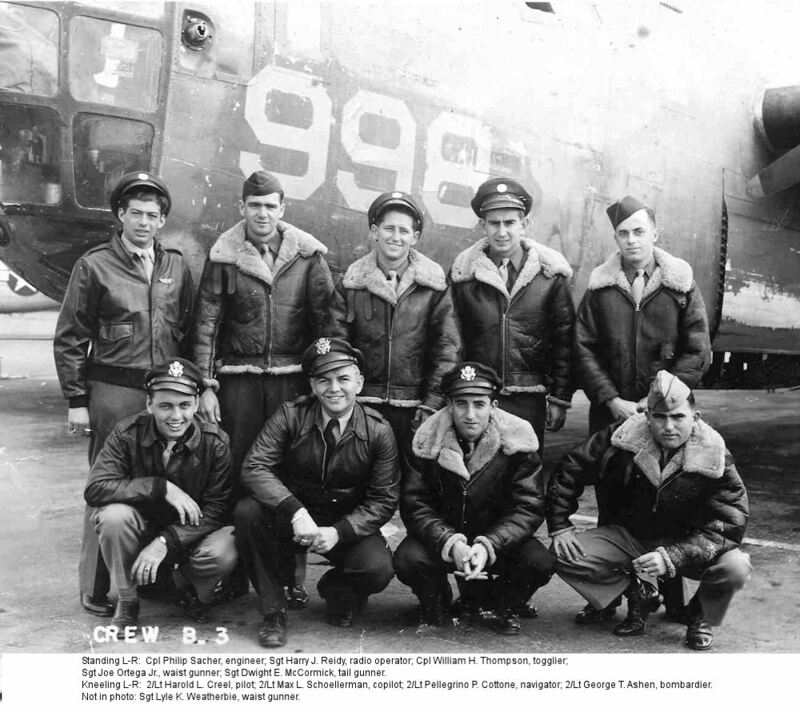 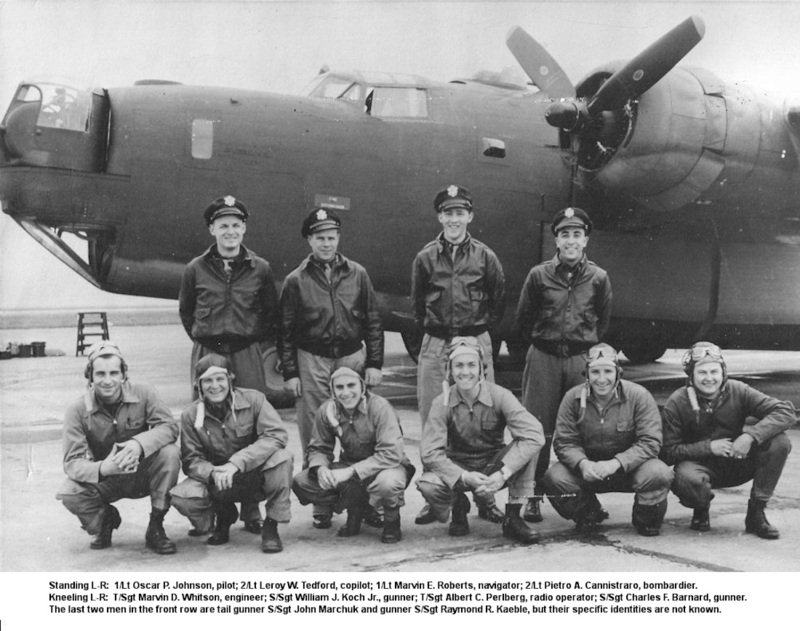 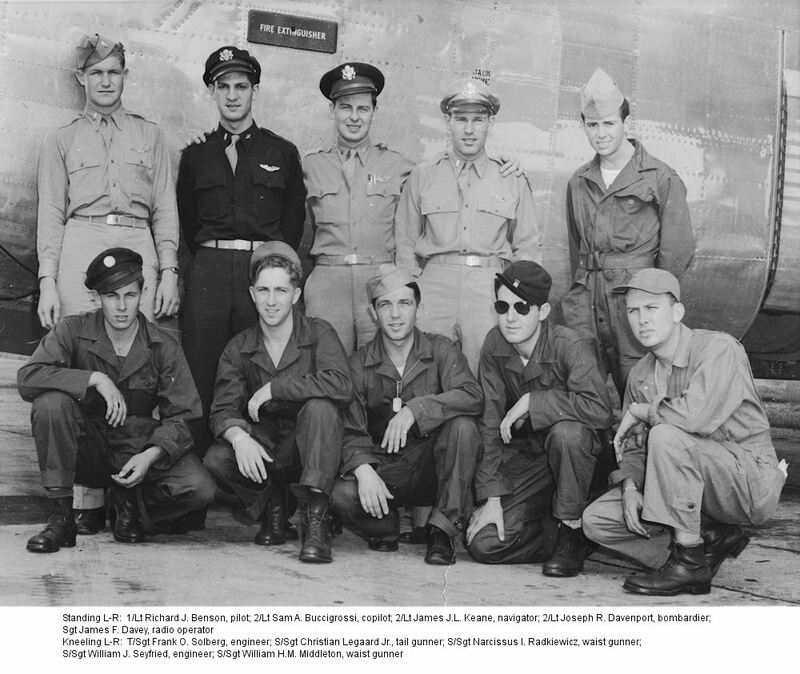 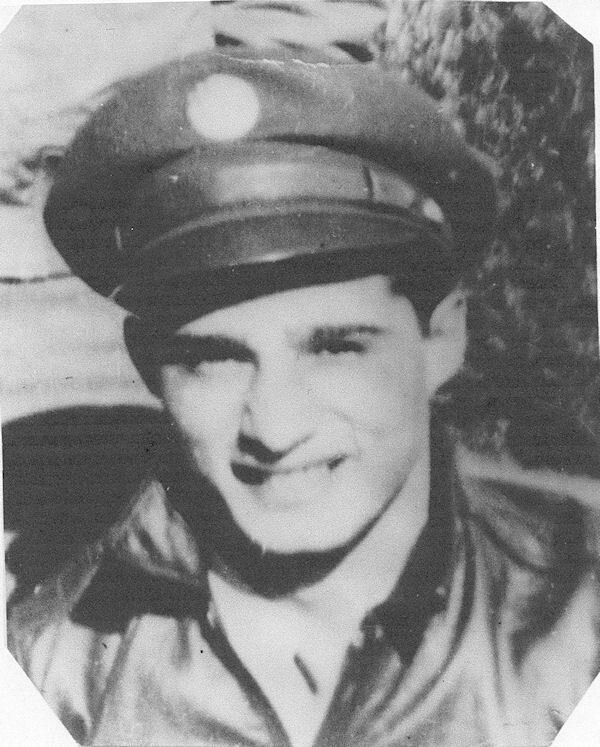 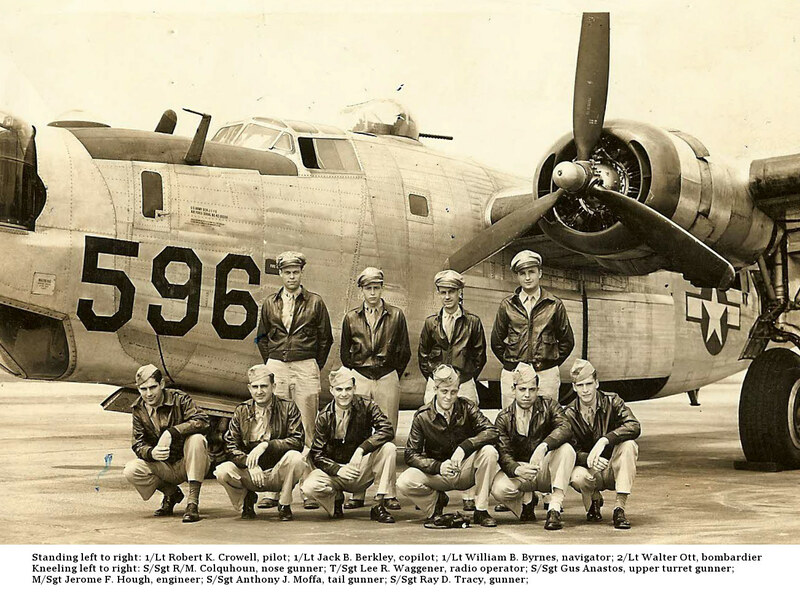 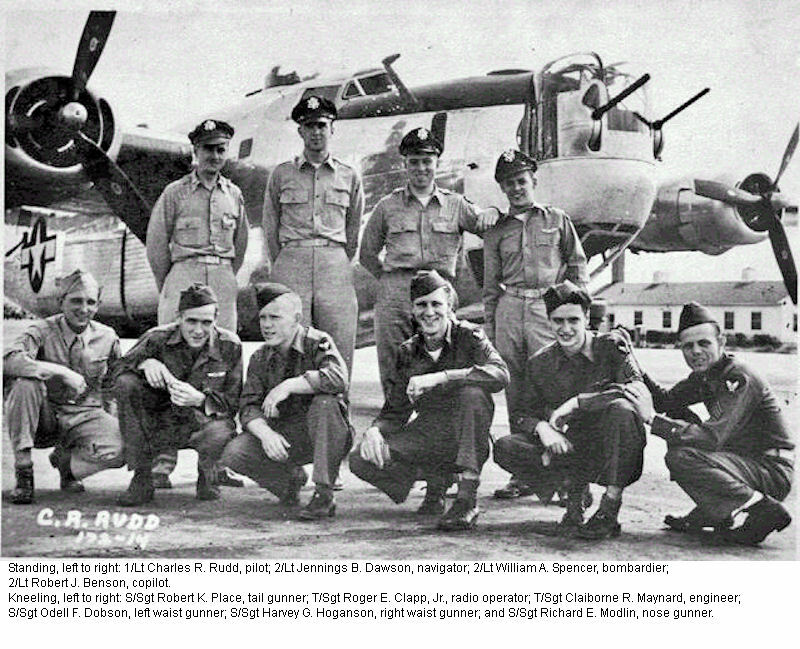 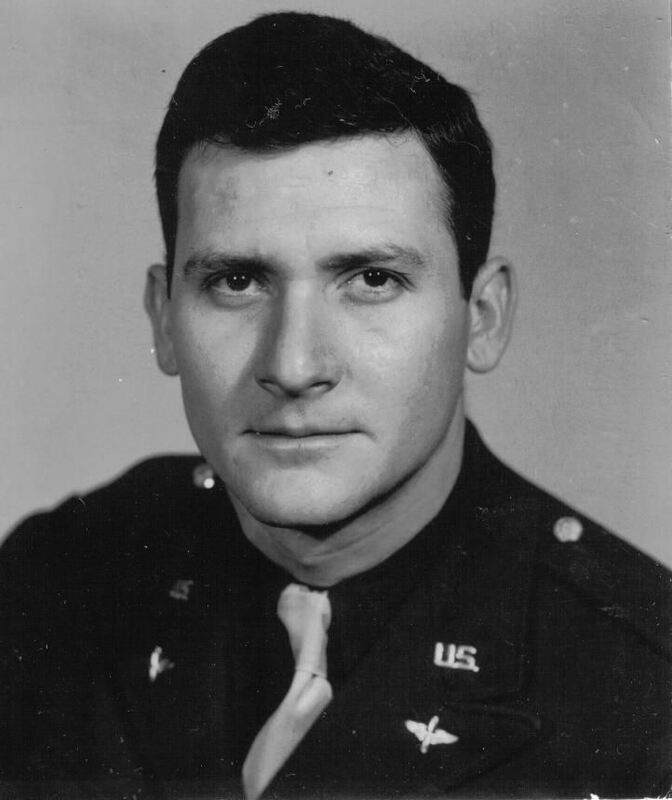 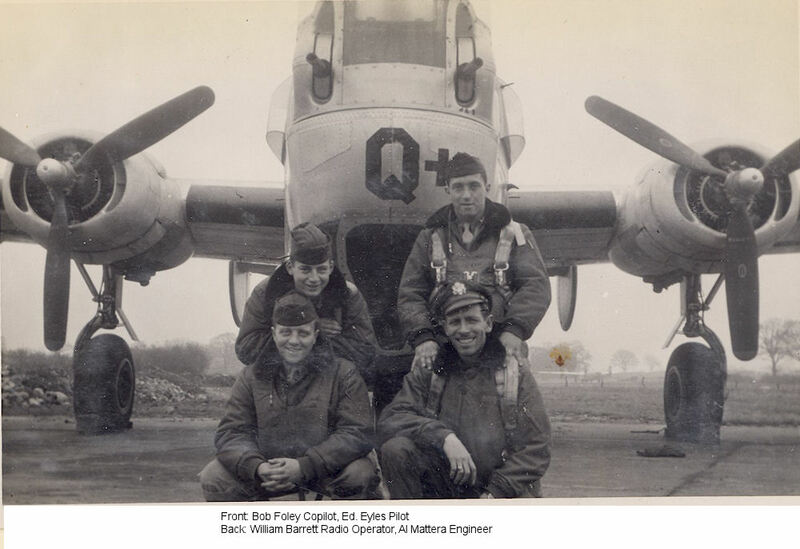 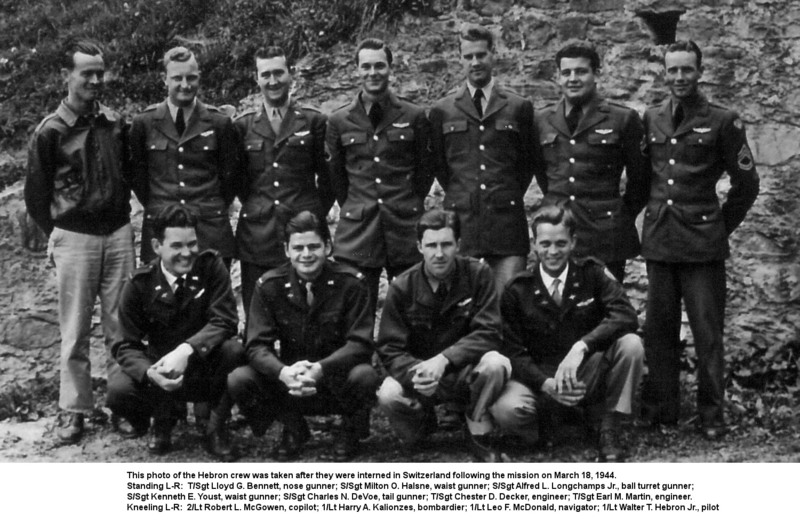 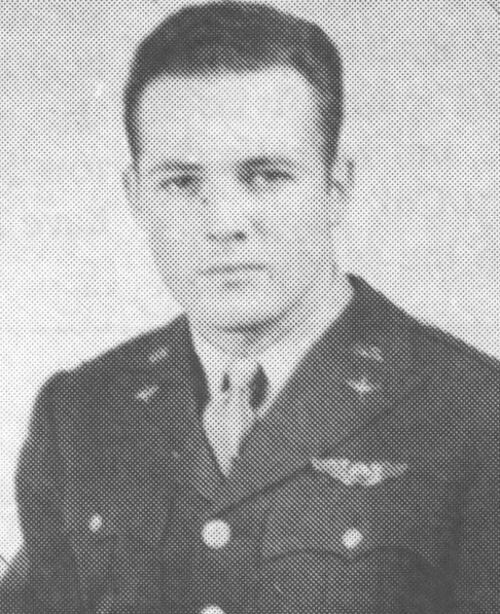 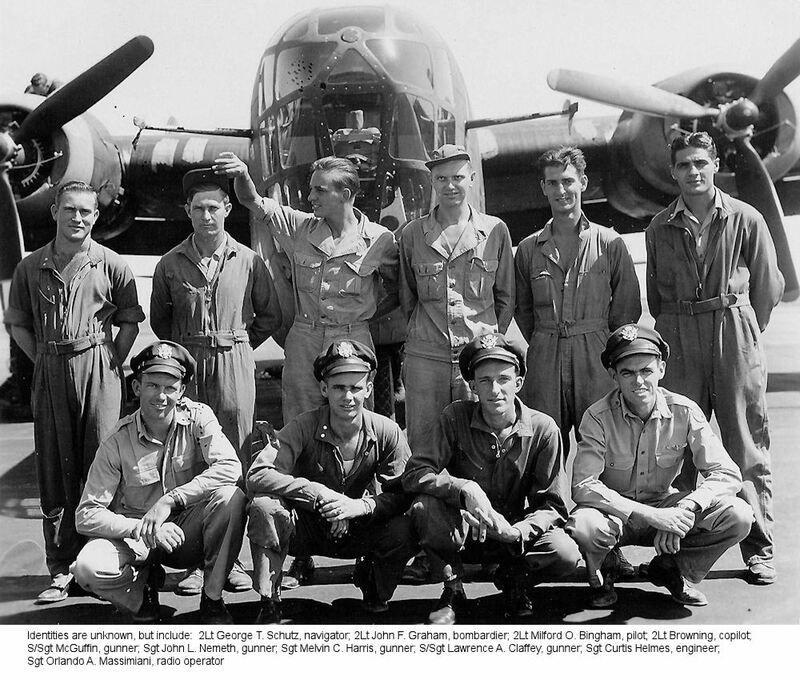 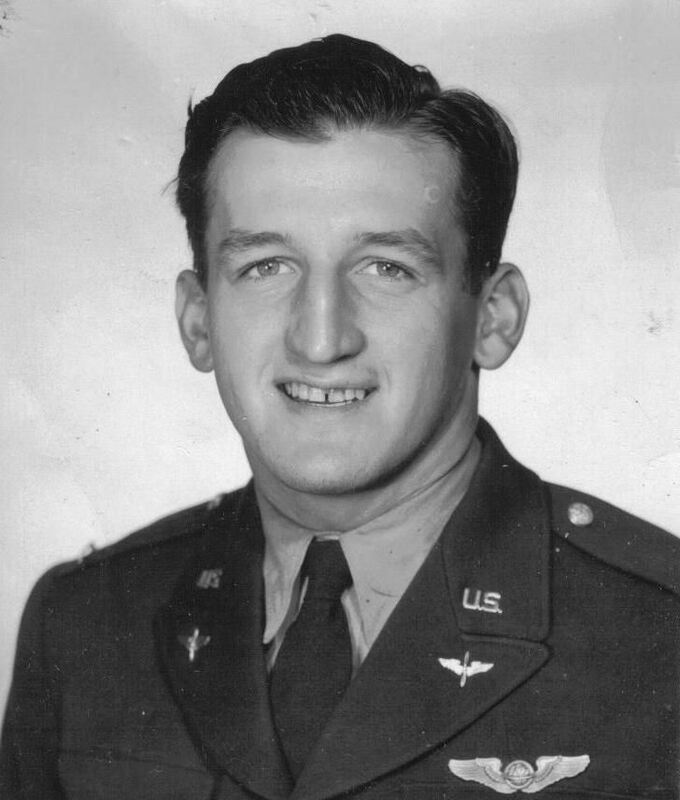 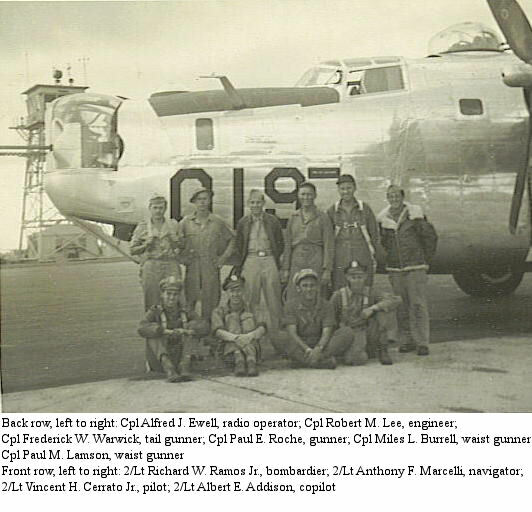 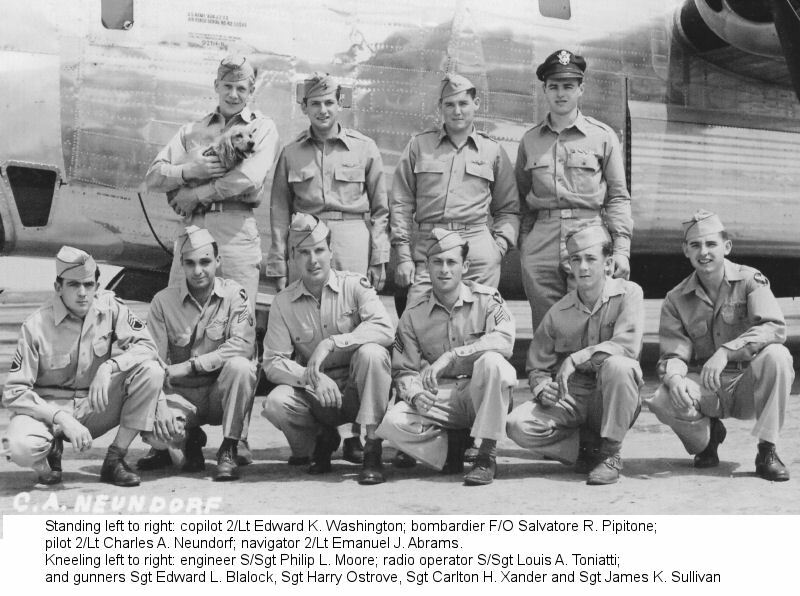 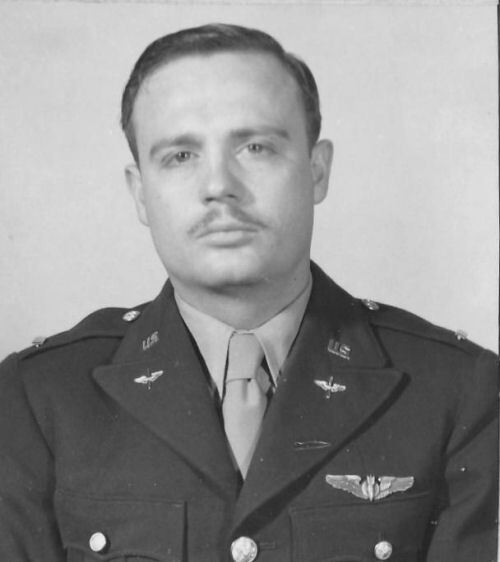 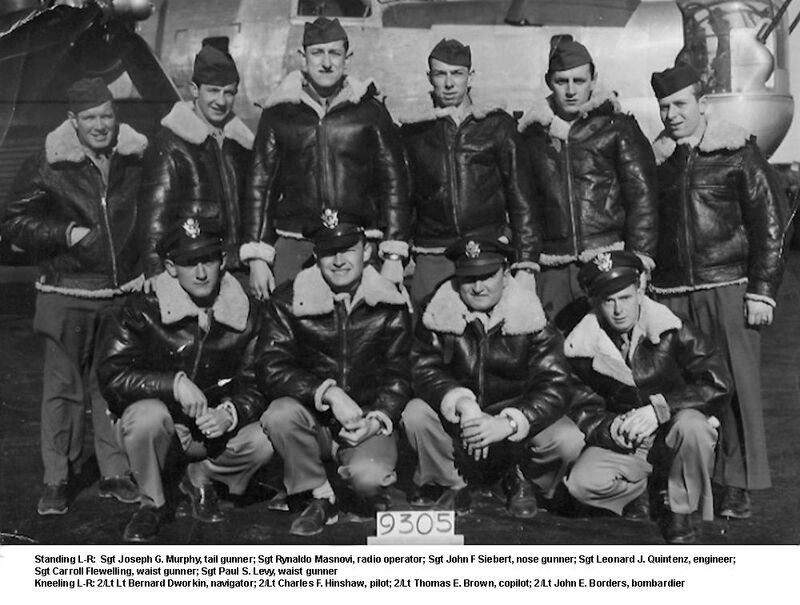 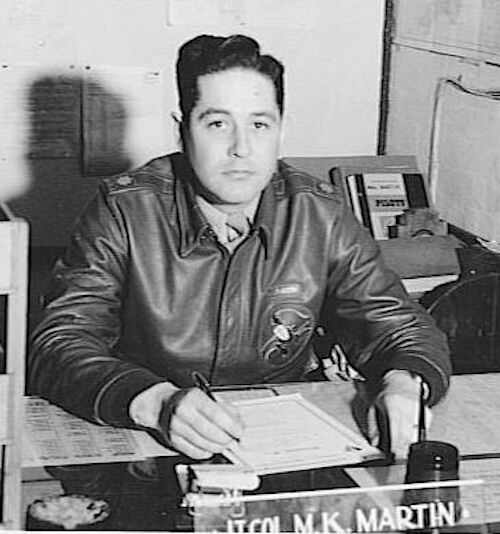 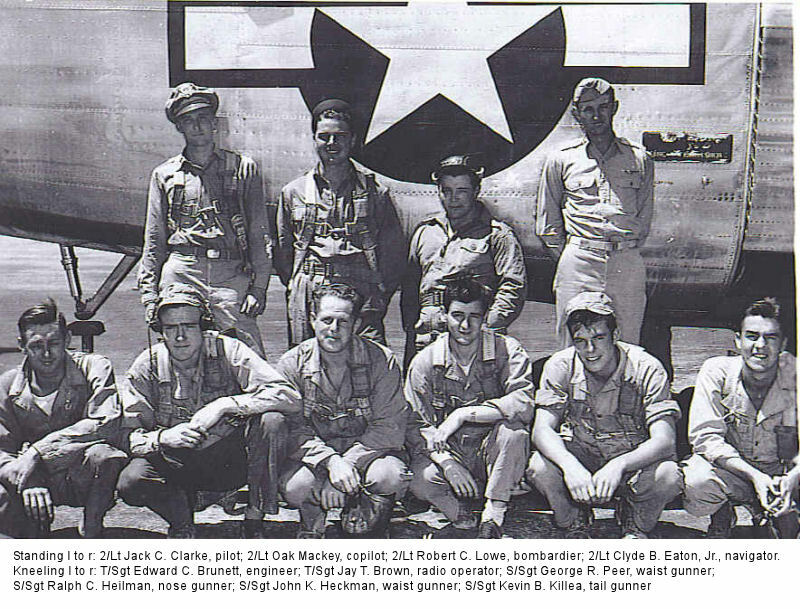 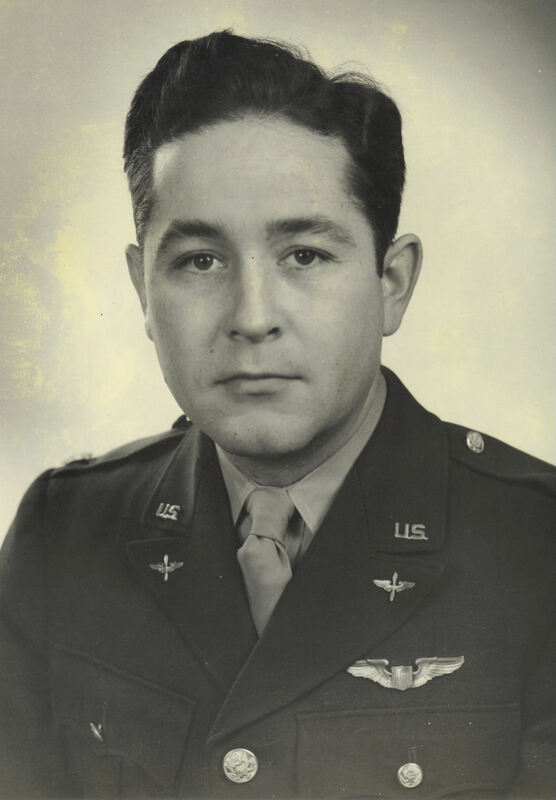 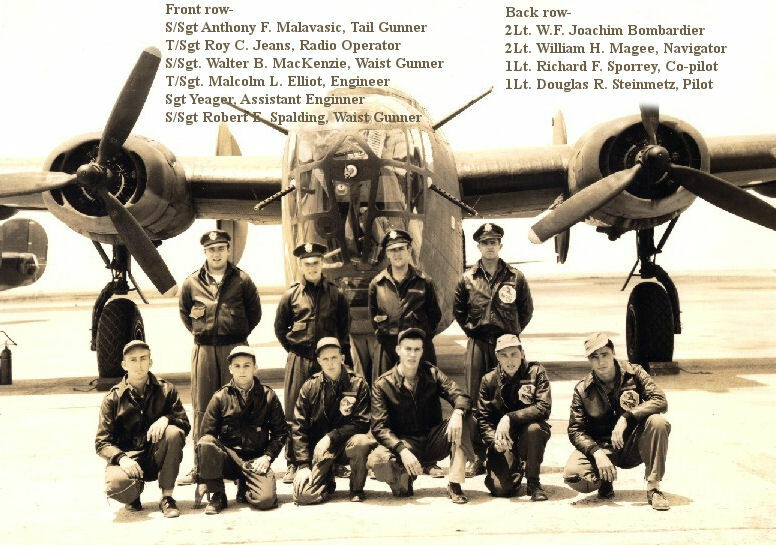 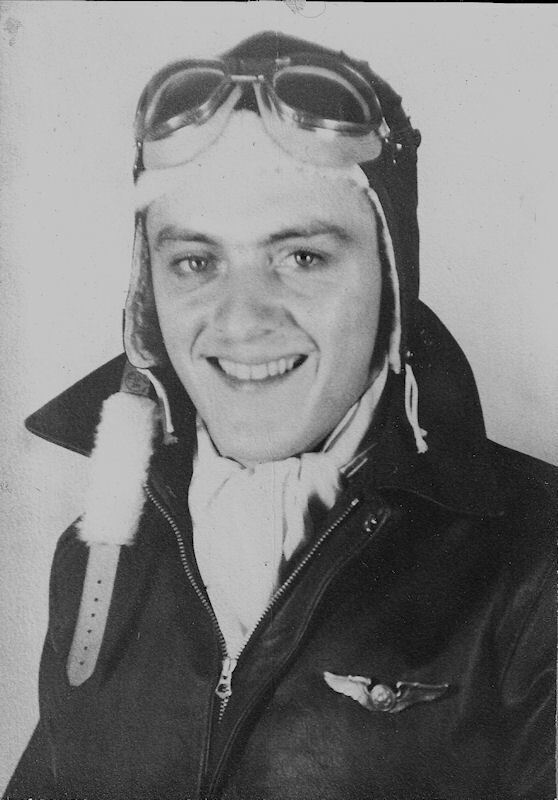 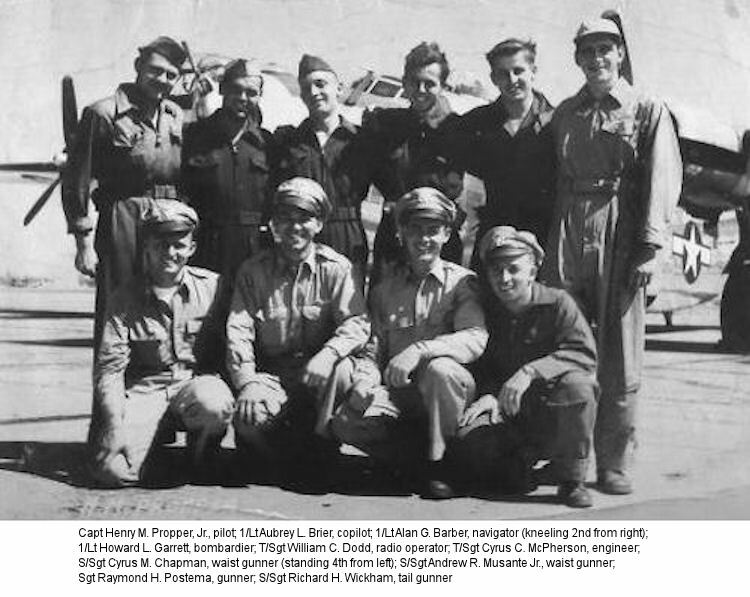 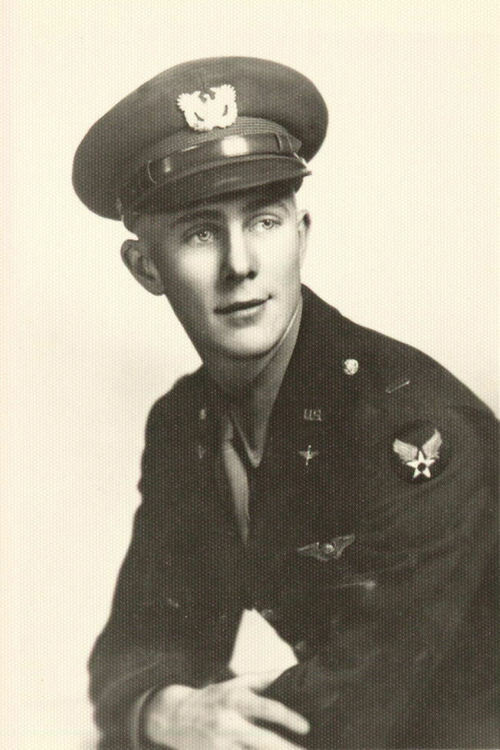 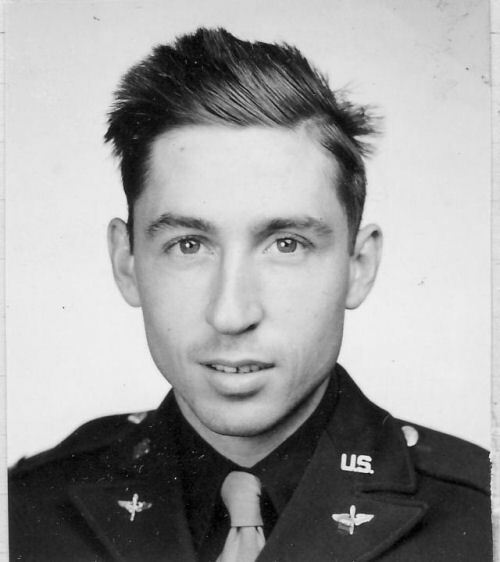 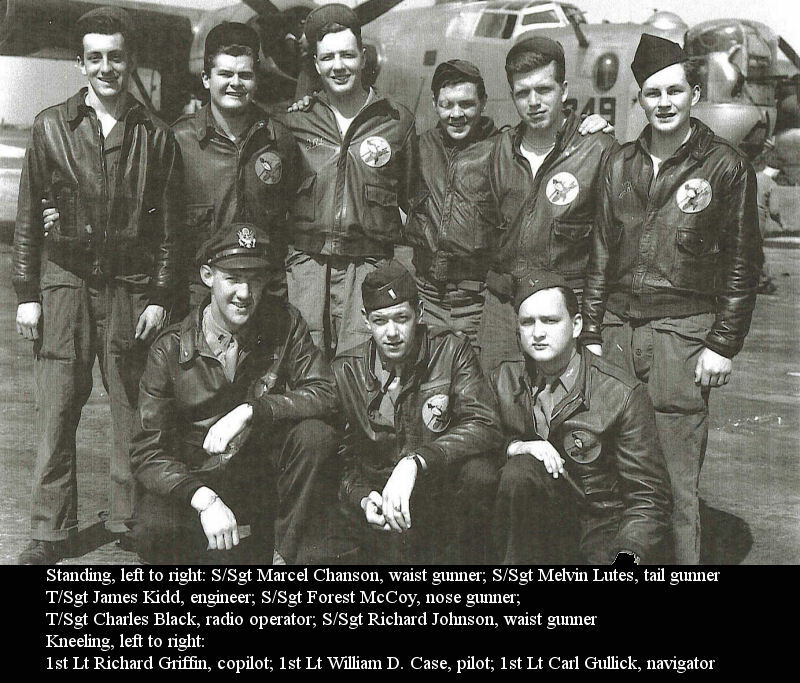 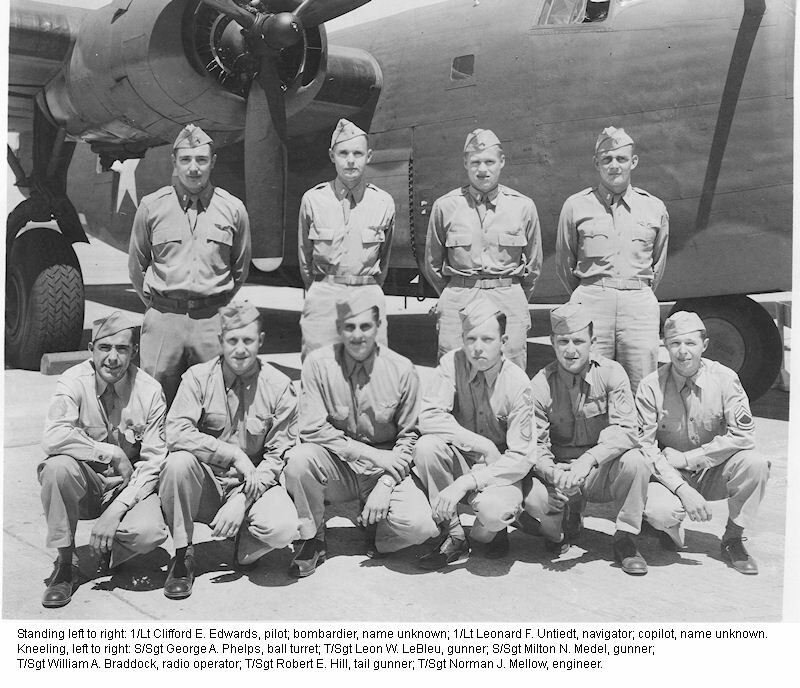 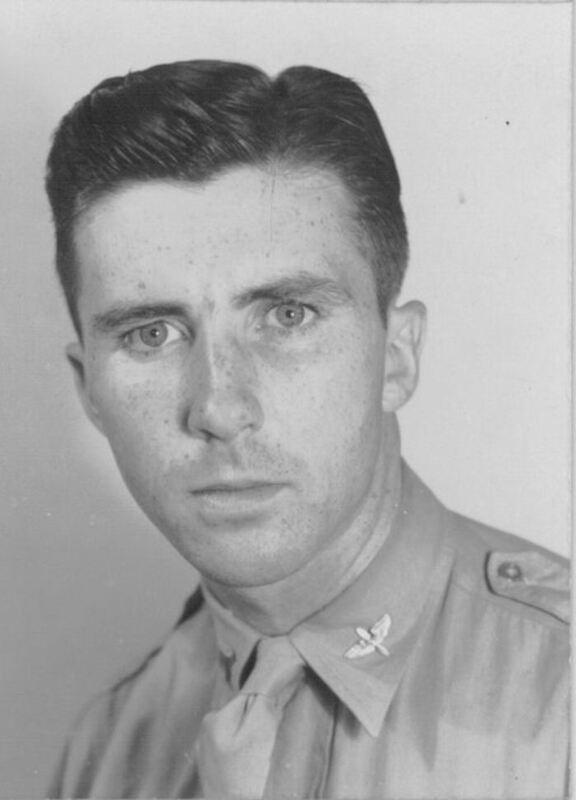 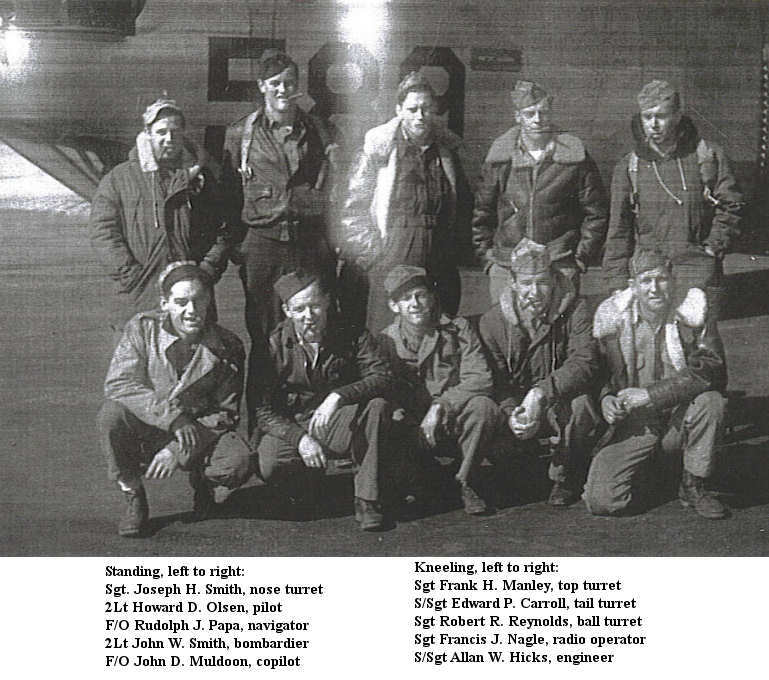 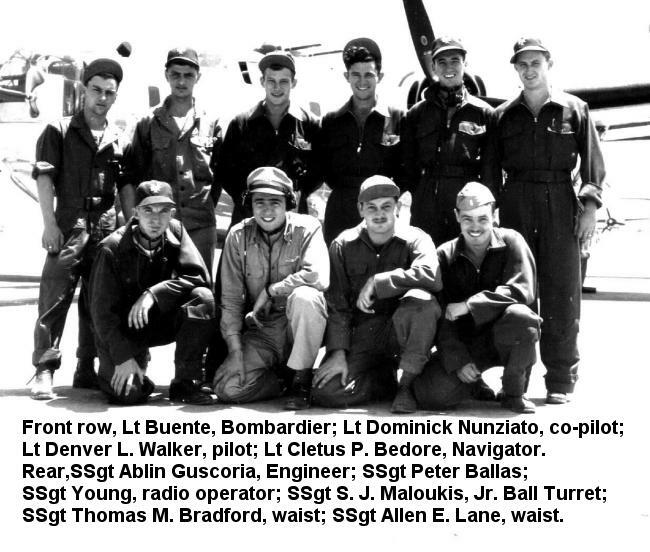 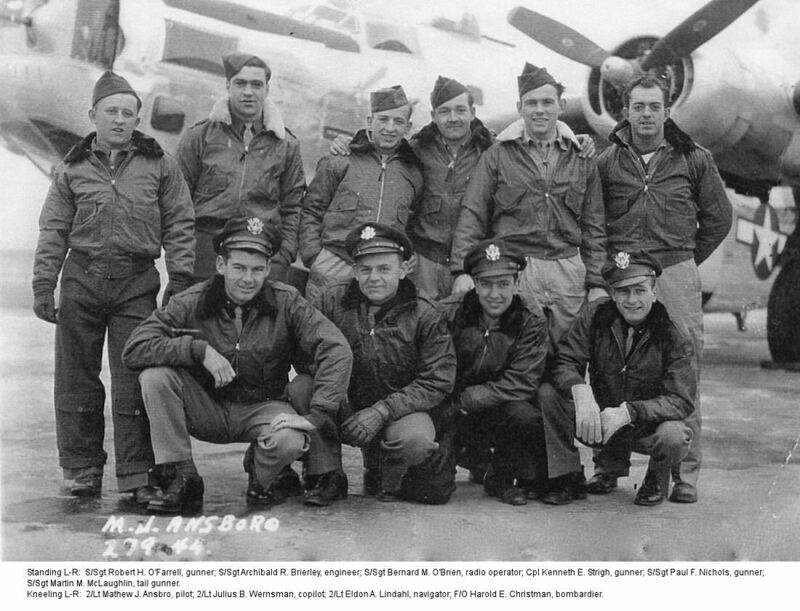 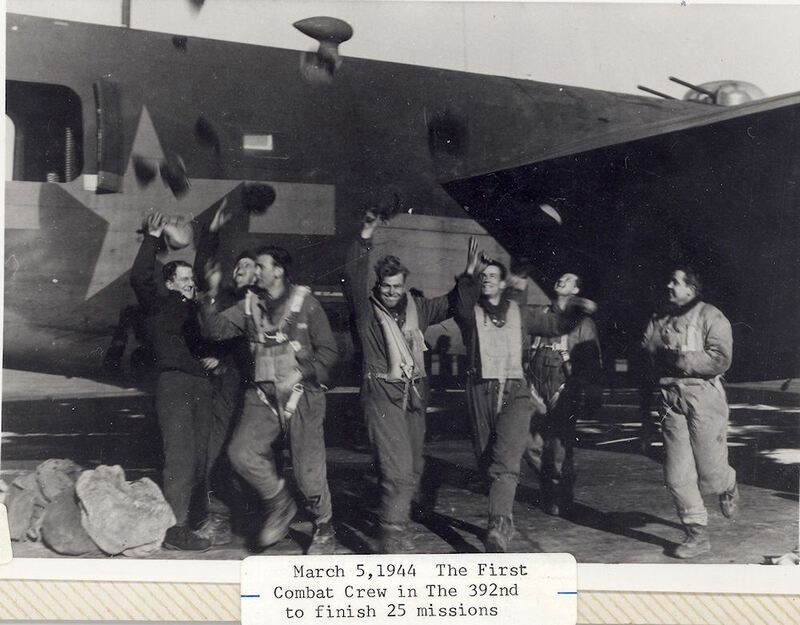 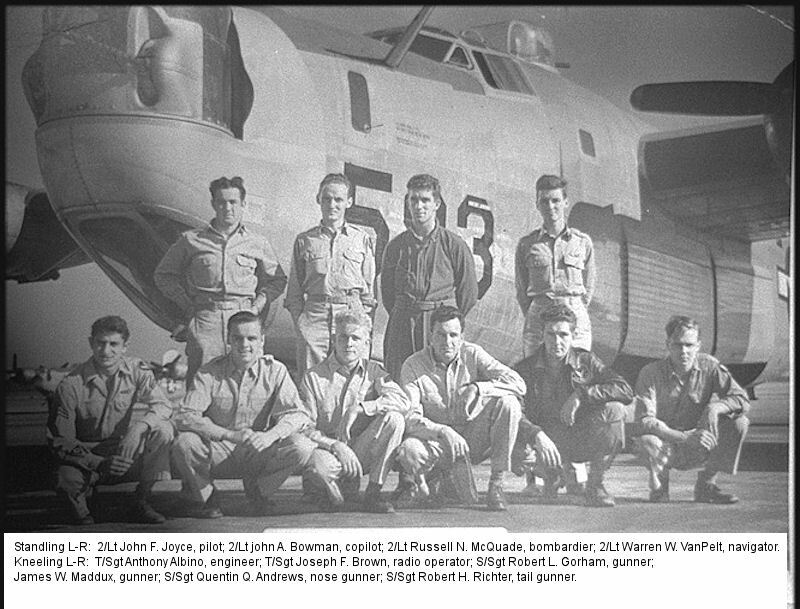 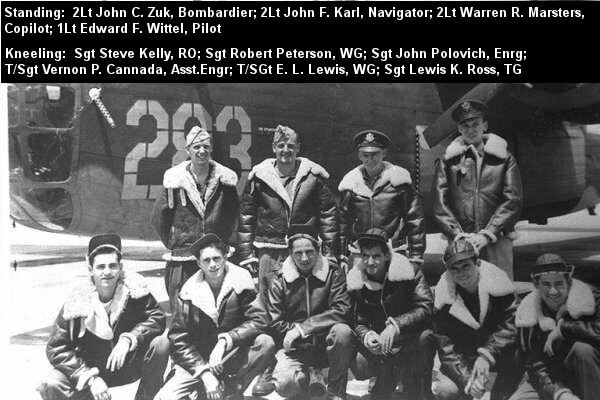 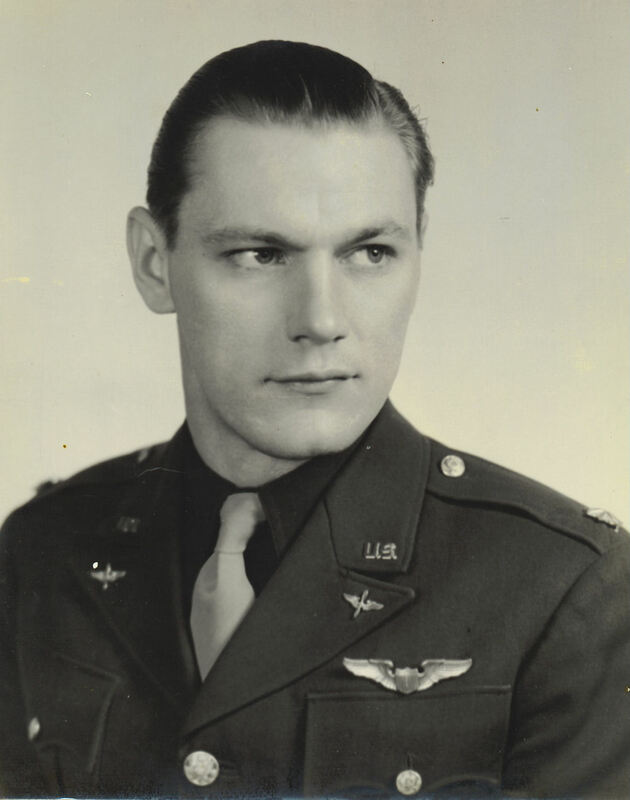 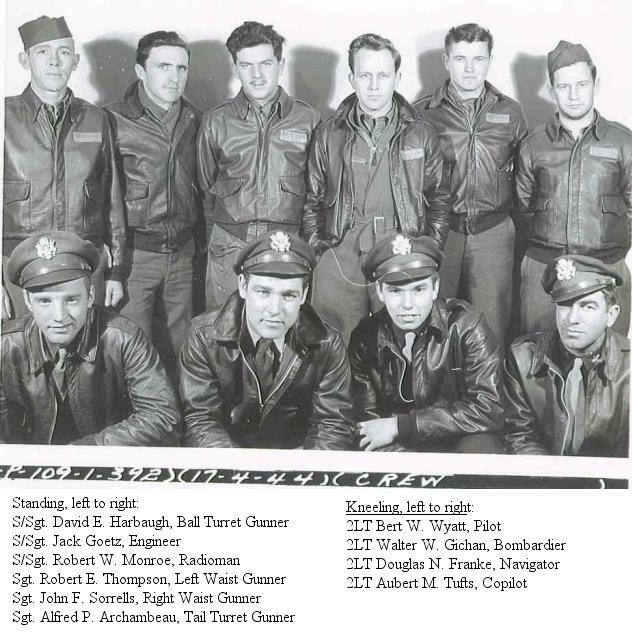 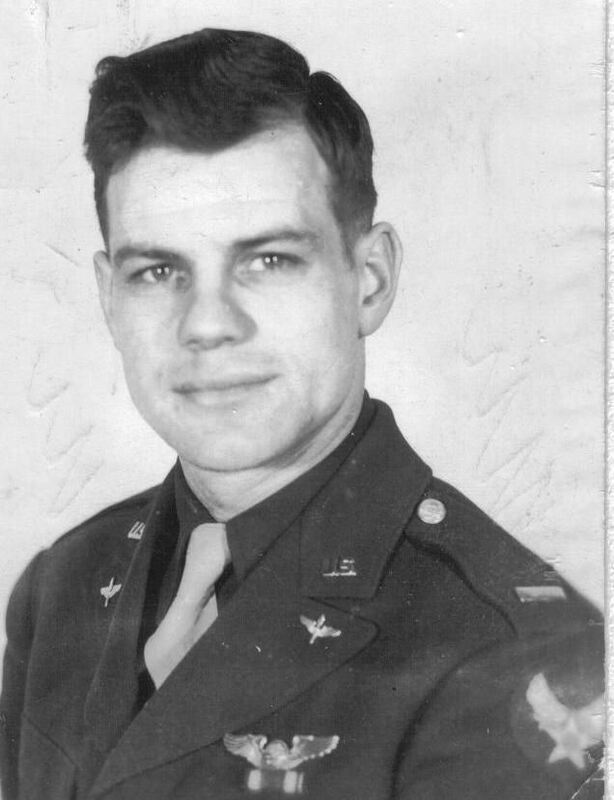 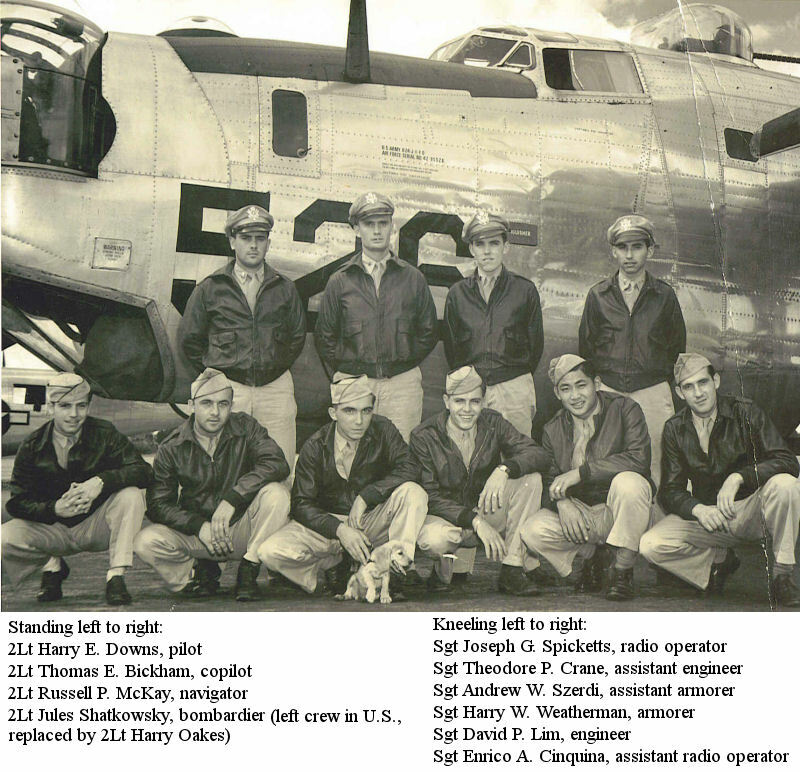 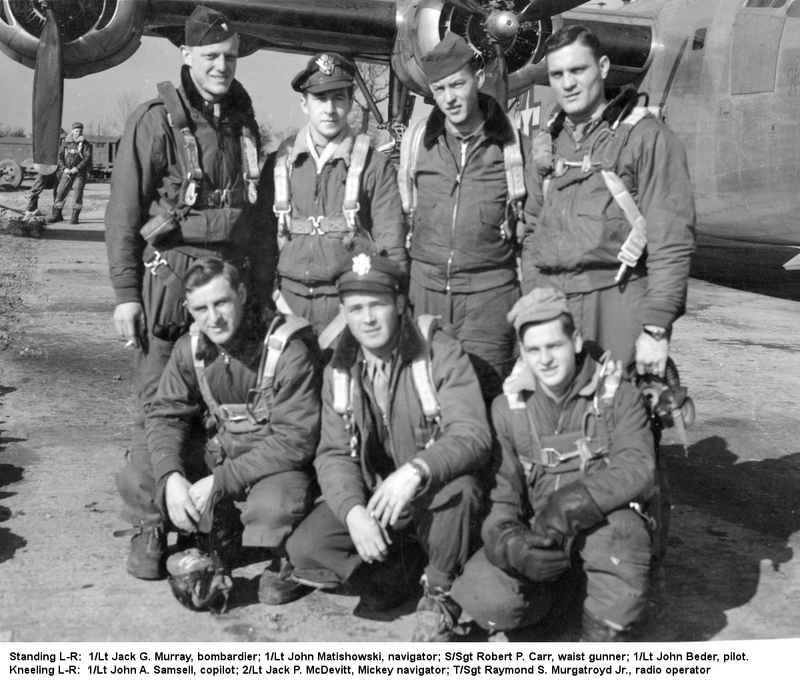 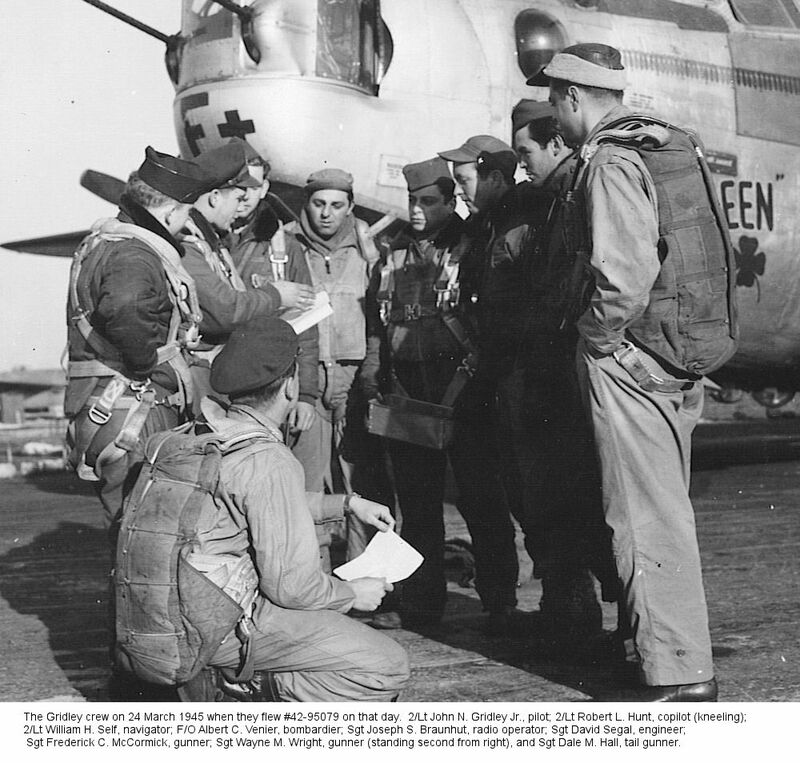 THE FOLLOWING IS OUR CURRENT LIST OF AIRMEN PHOTOS WITH LAST NAMES STARTING WITH "M"
Mackey, Oak 2/Lt Copilot Jack C. Clarke crew #2 Personal Acct. 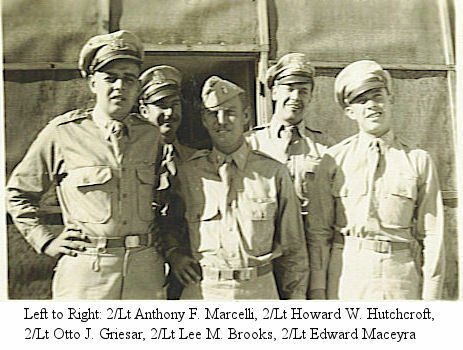 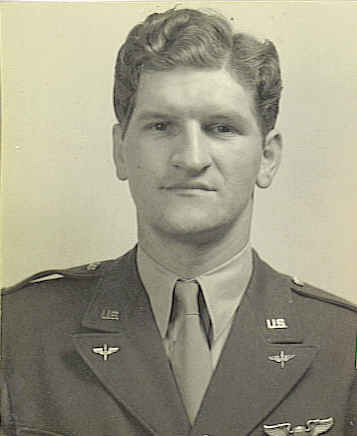 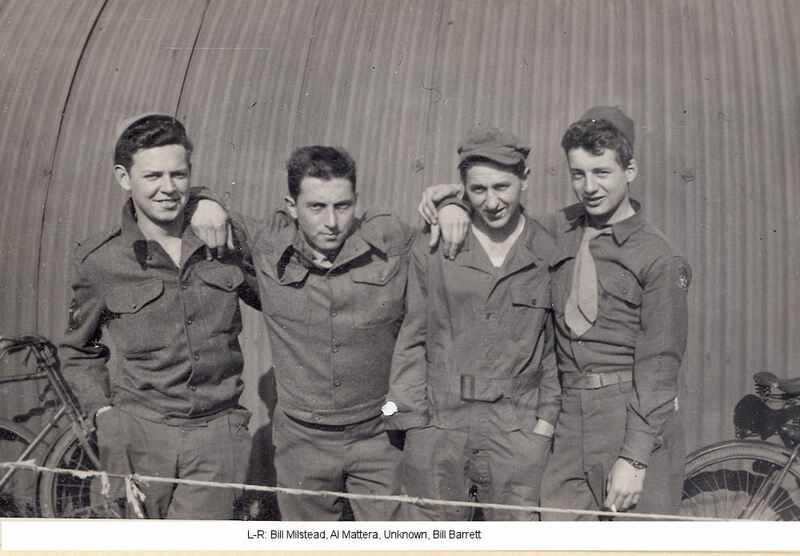 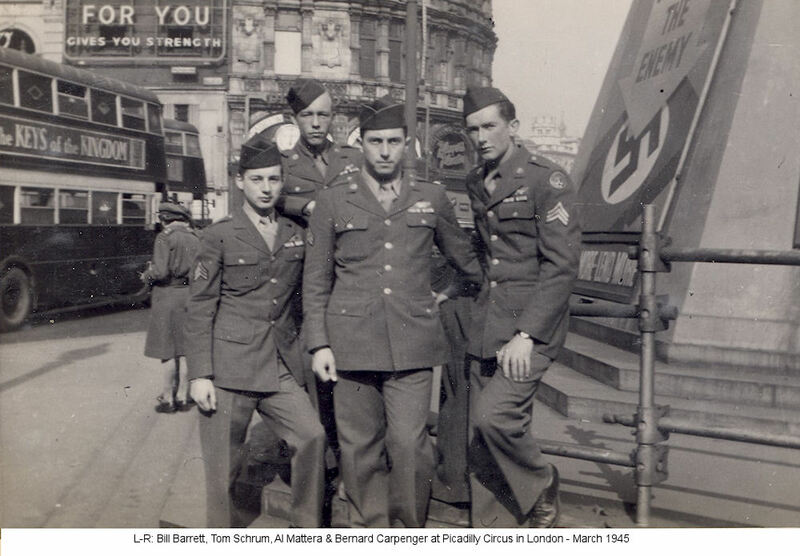 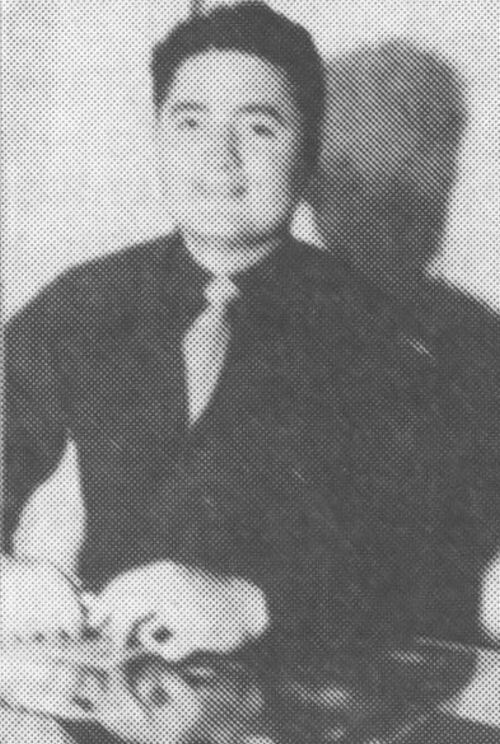 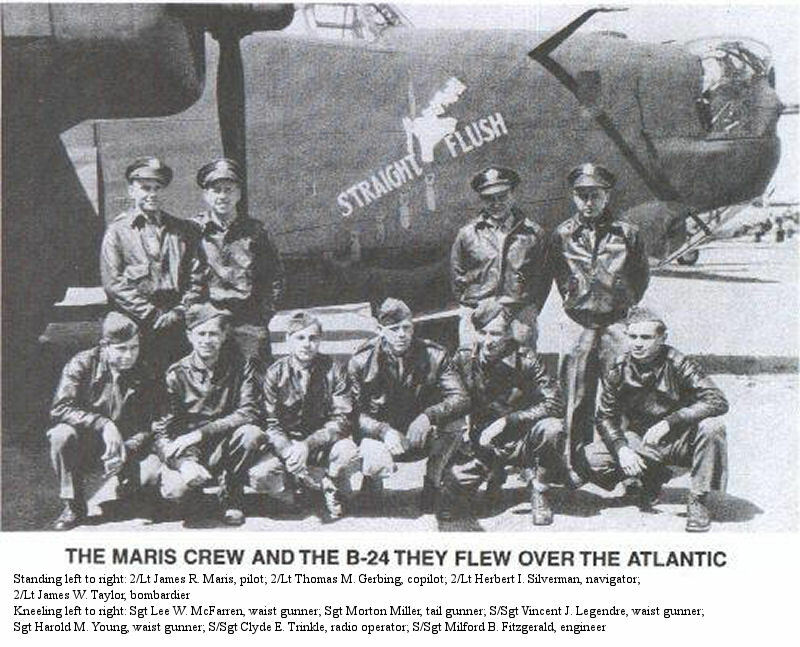 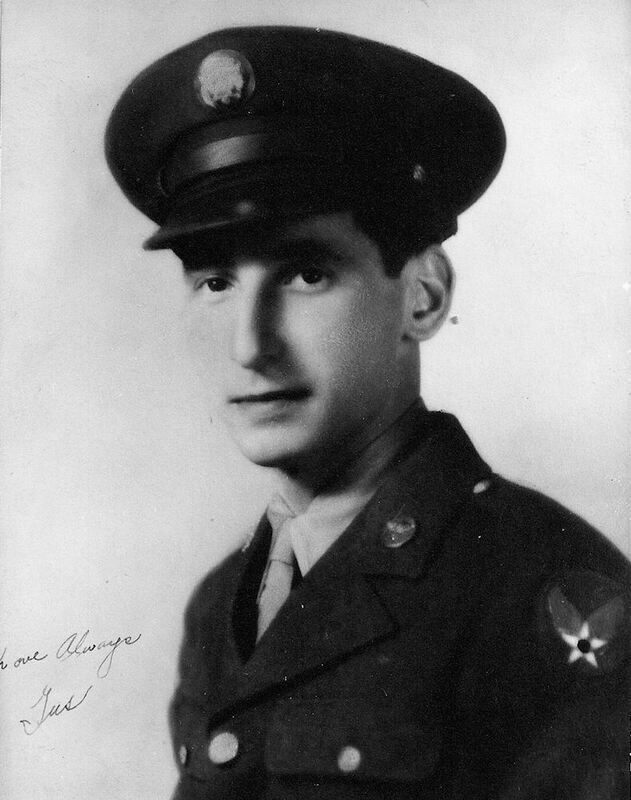 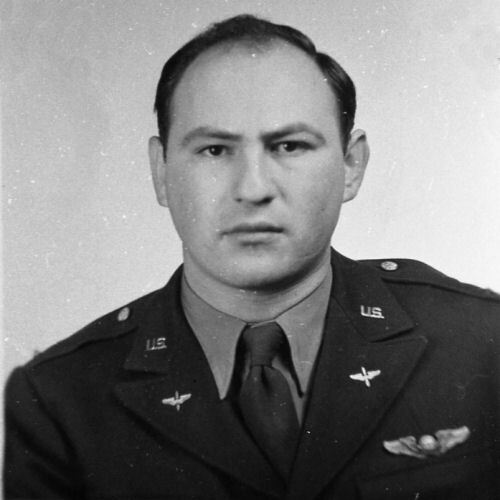 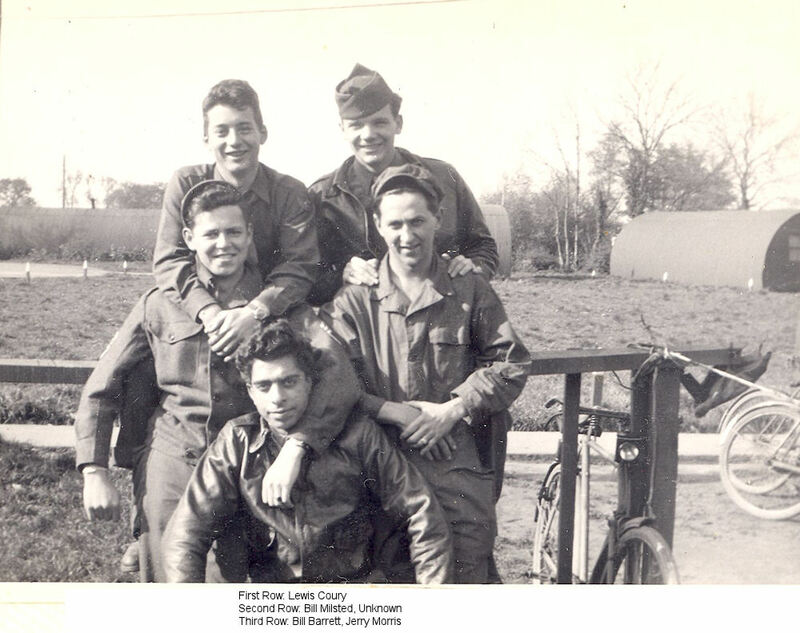 Mandell, Nicholas T/Sgt Radio Operator Marx crew Personal Acct. 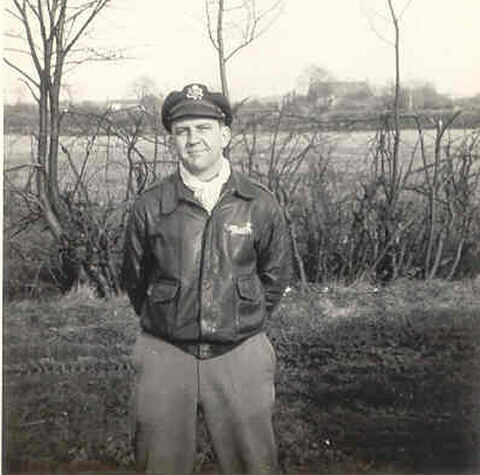 McCutcheon, James 2/Lt Navigator Holliday crew Individual photo Personal Acct. 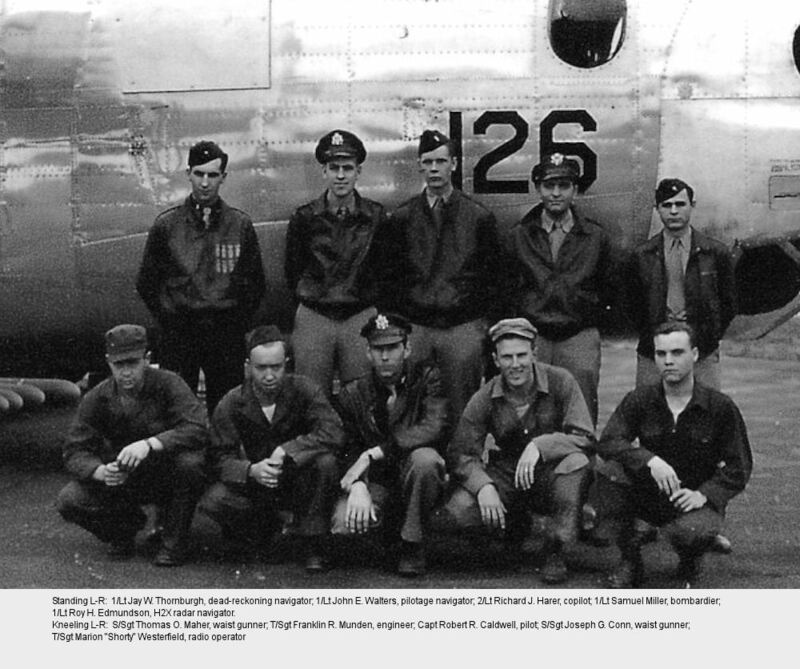 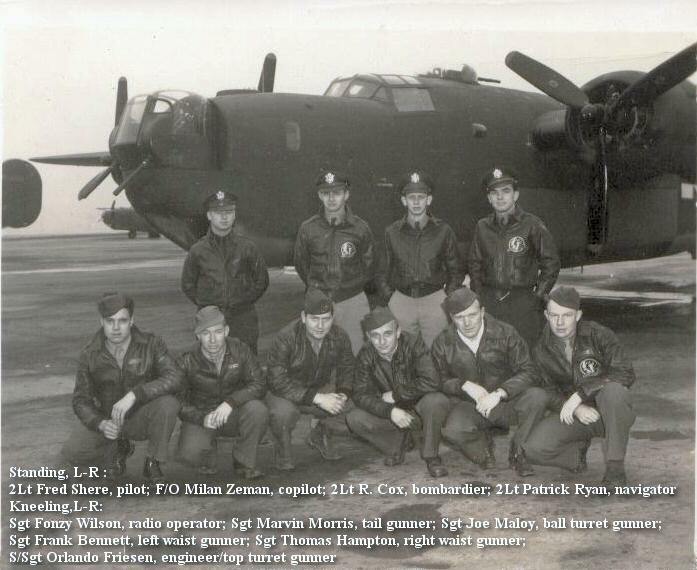 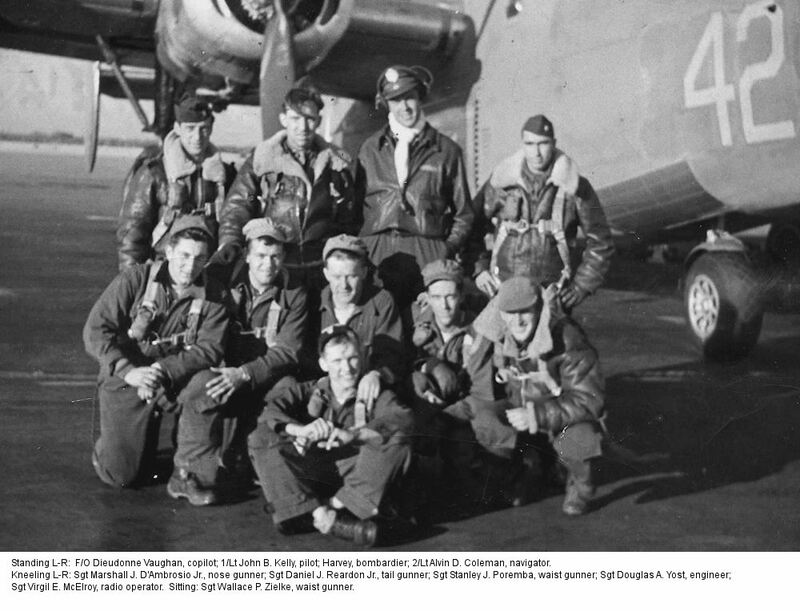 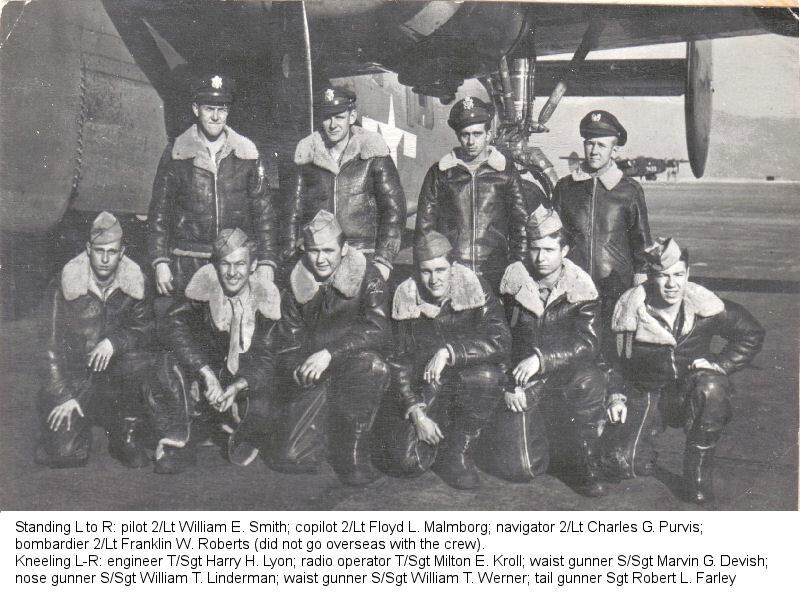 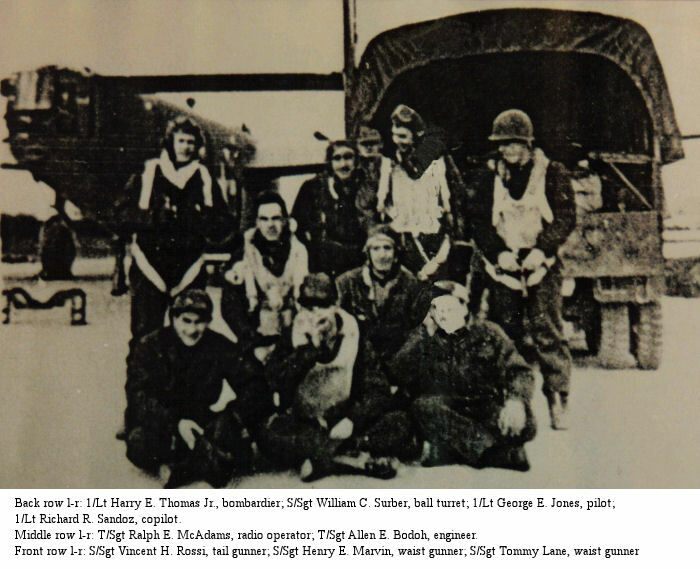 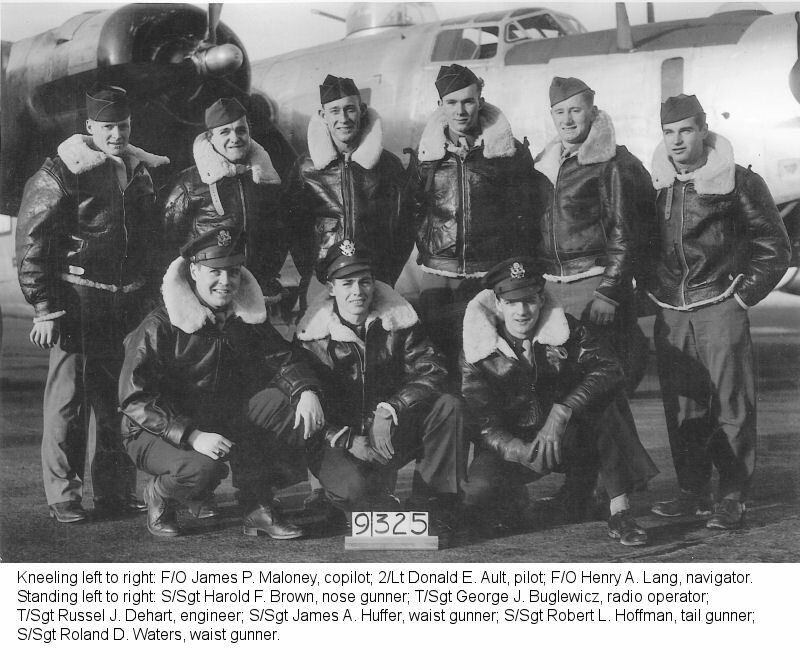 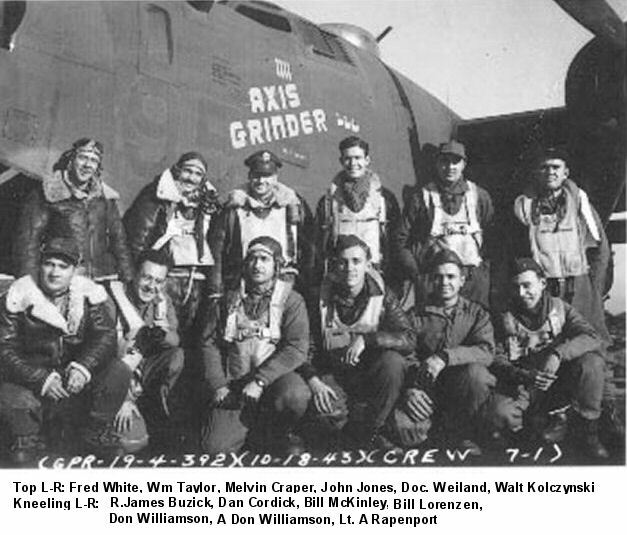 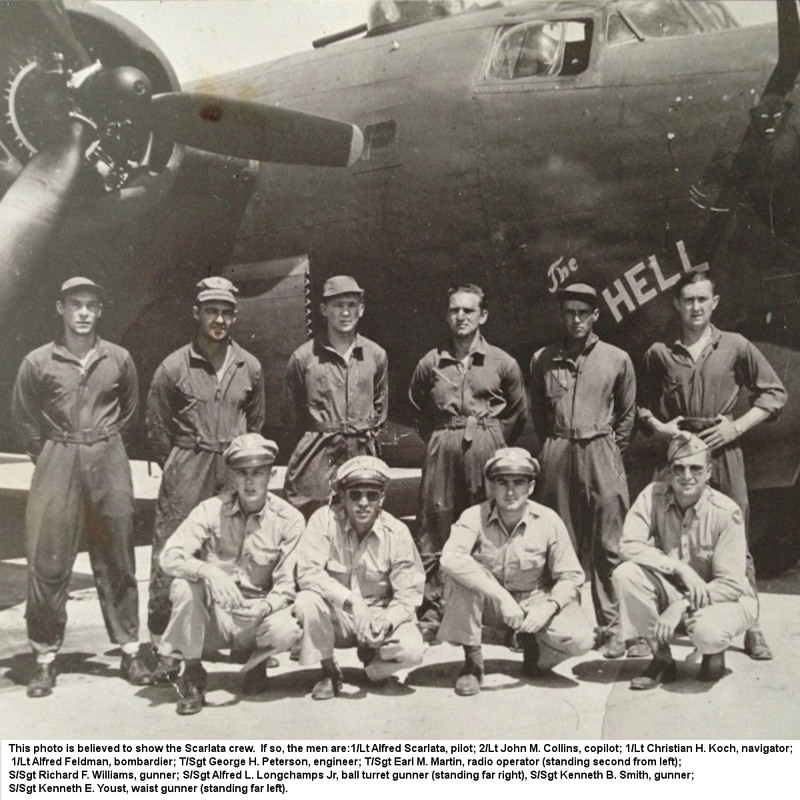 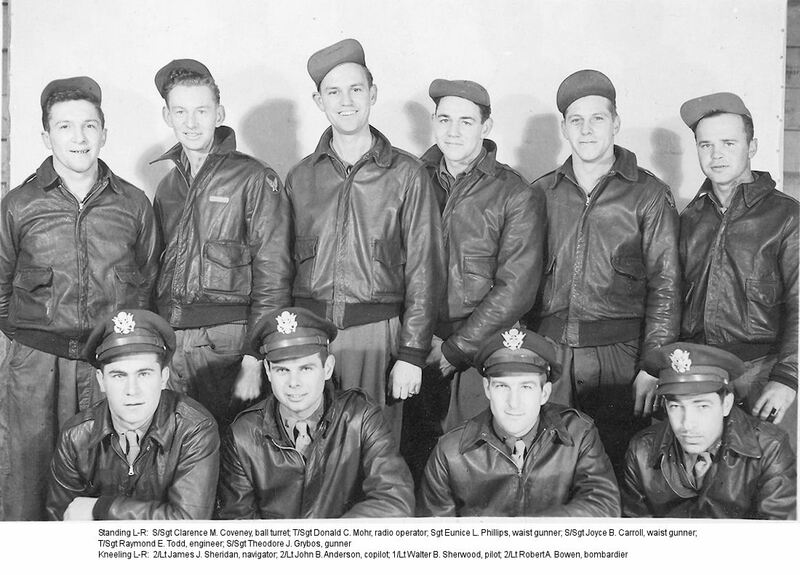 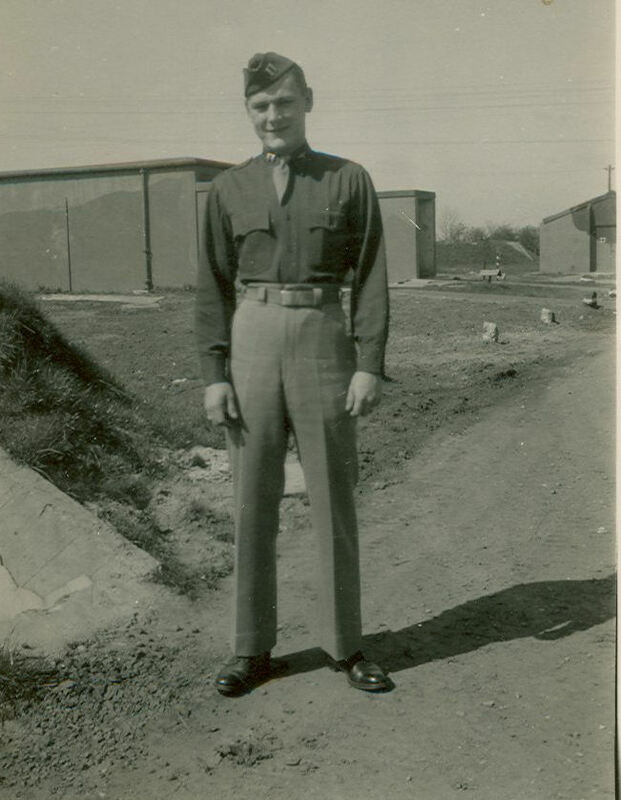 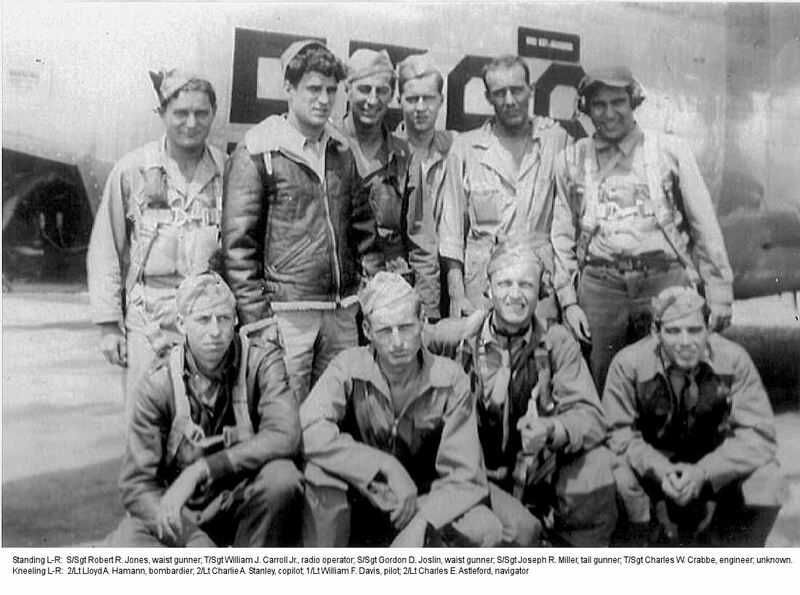 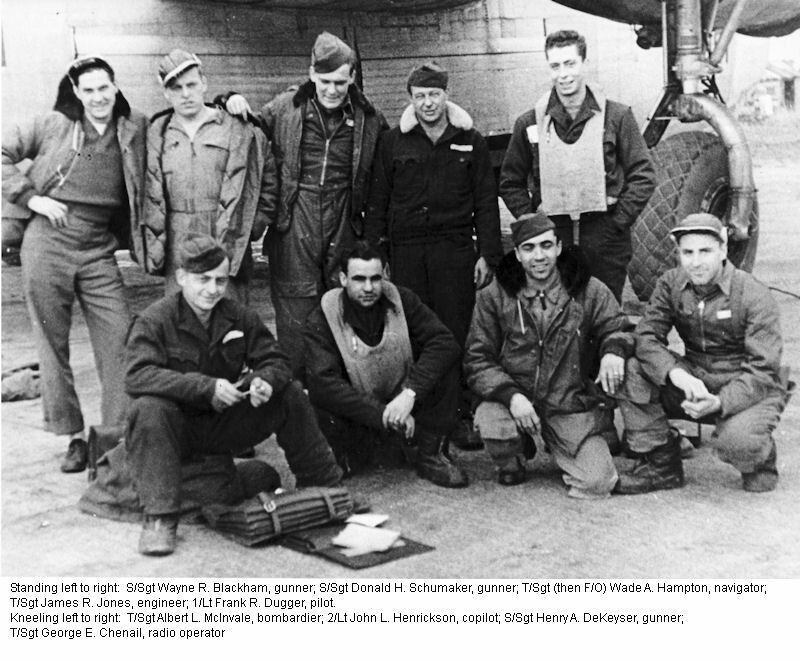 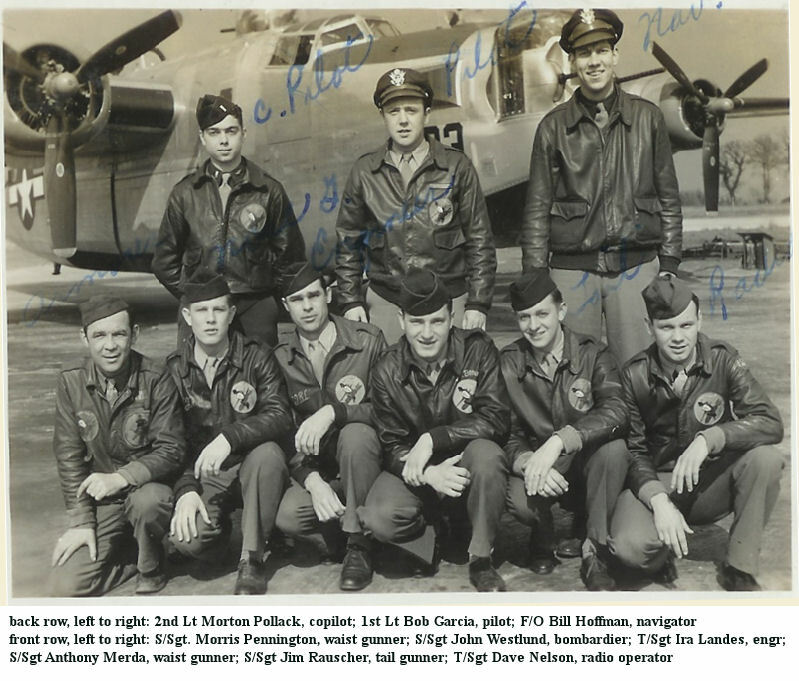 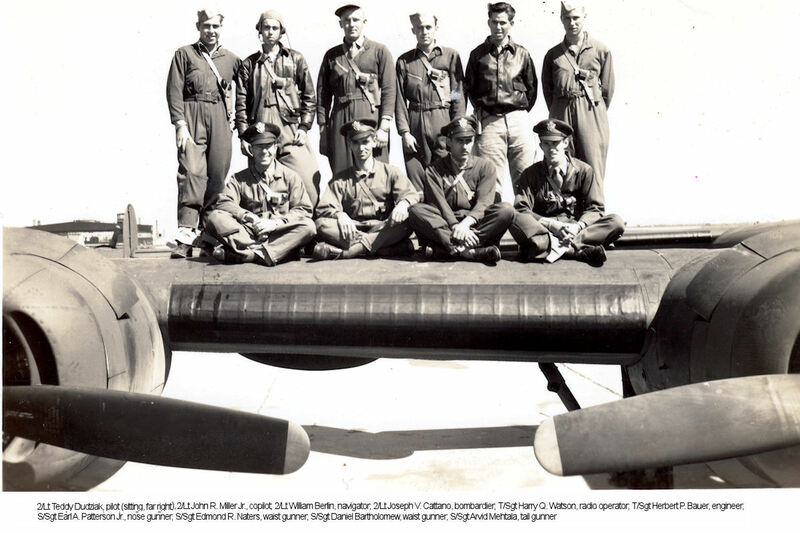 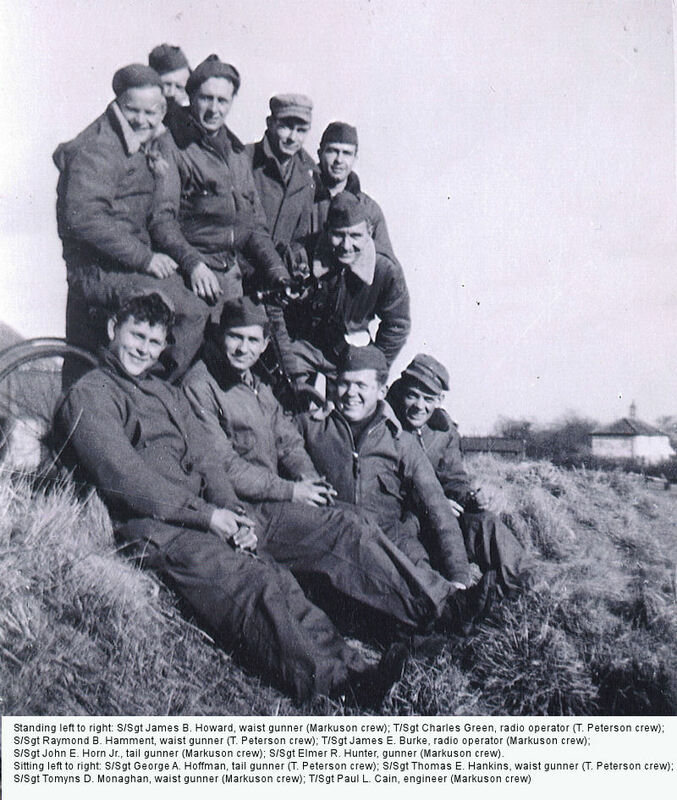 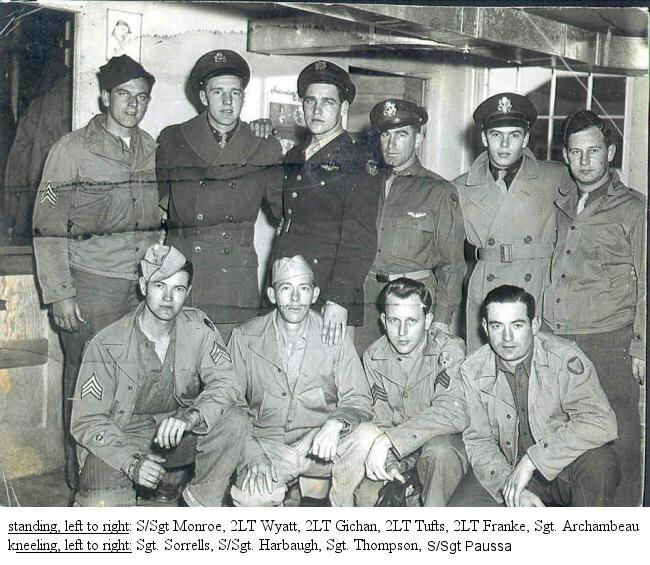 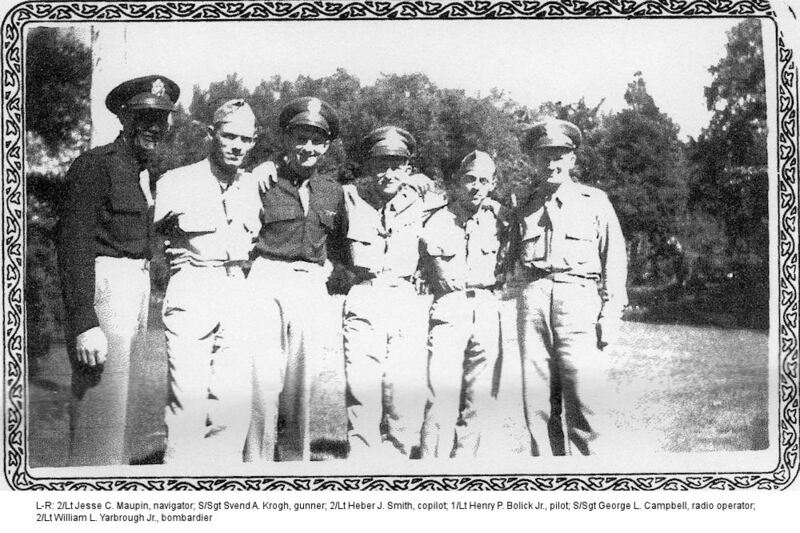 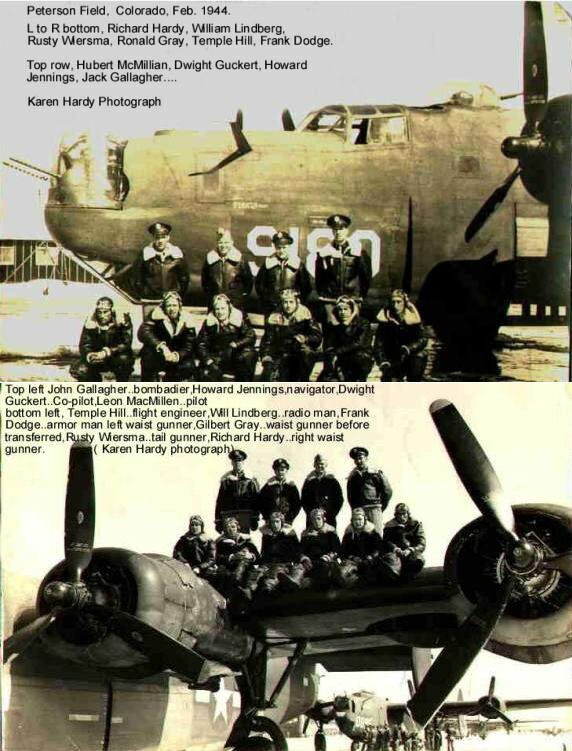 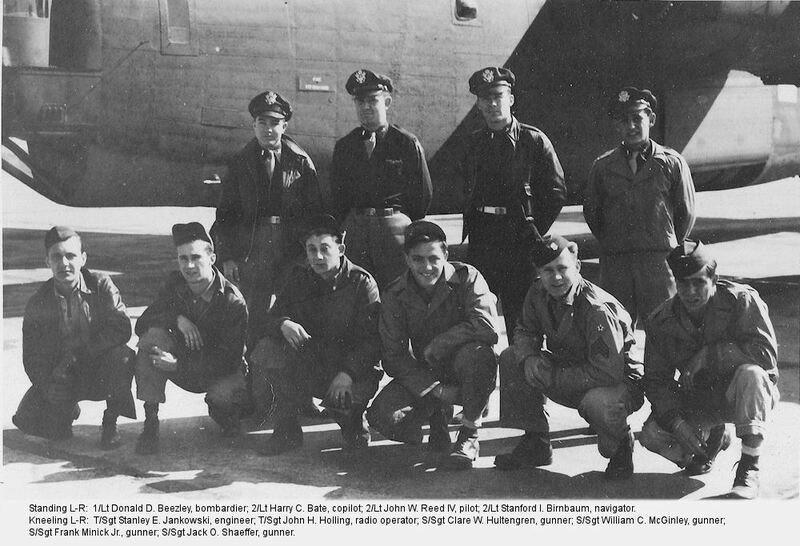 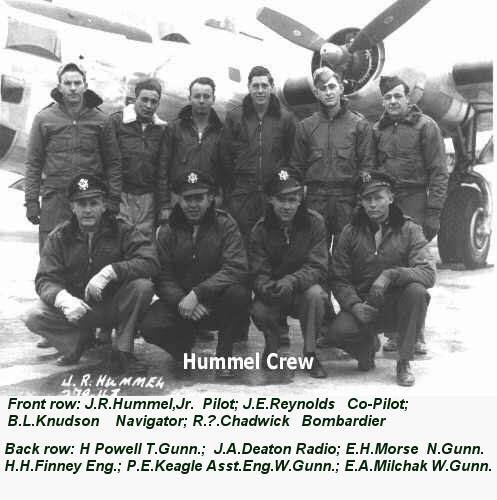 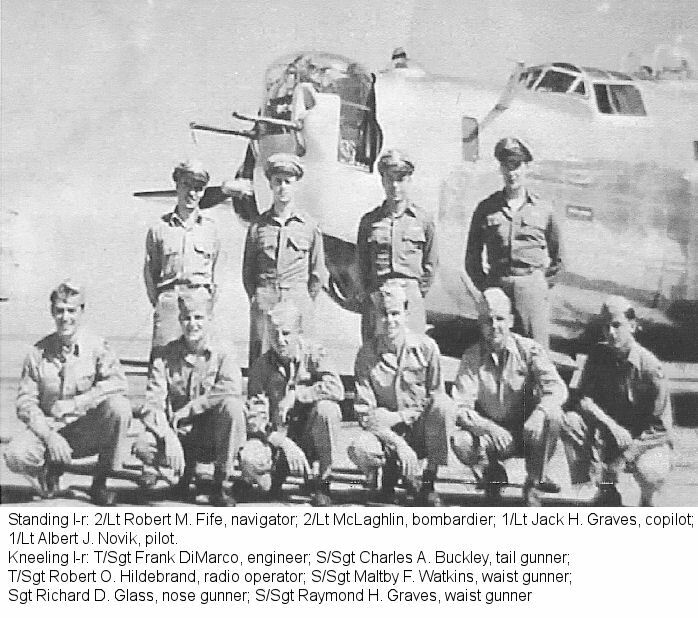 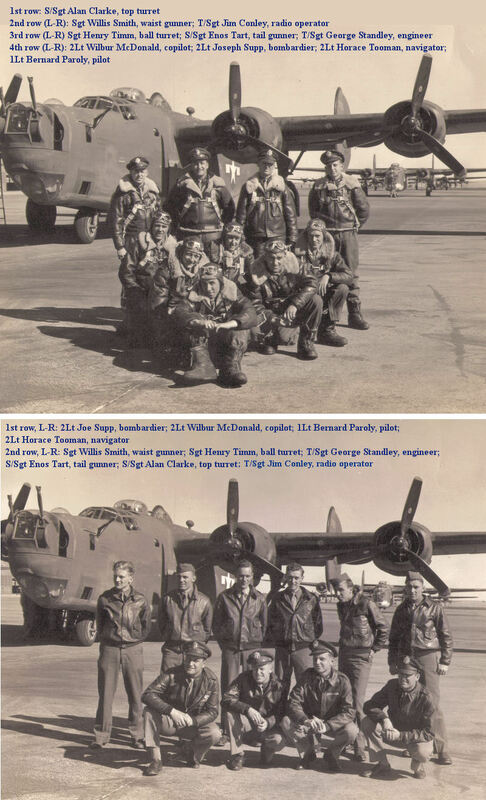 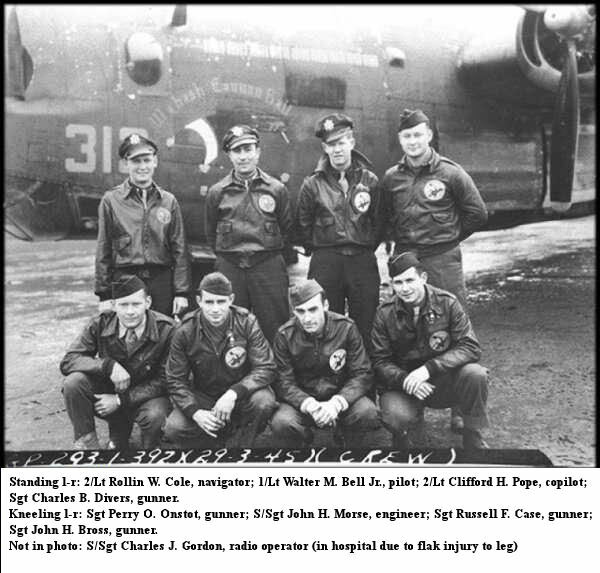 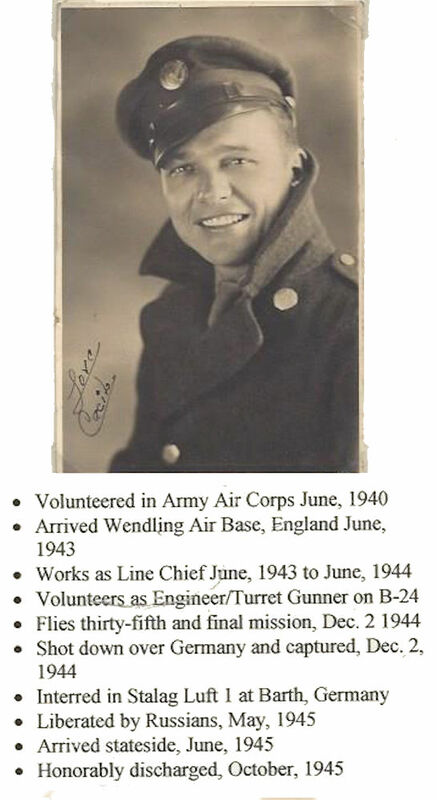 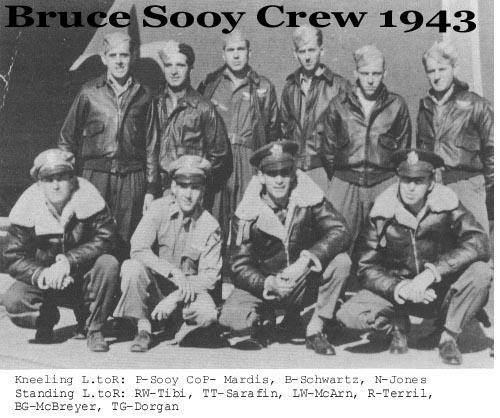 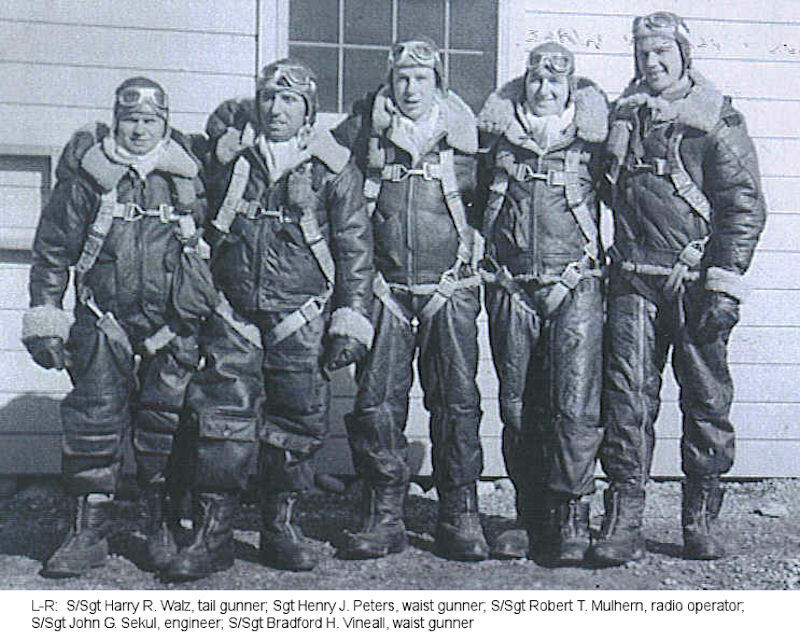 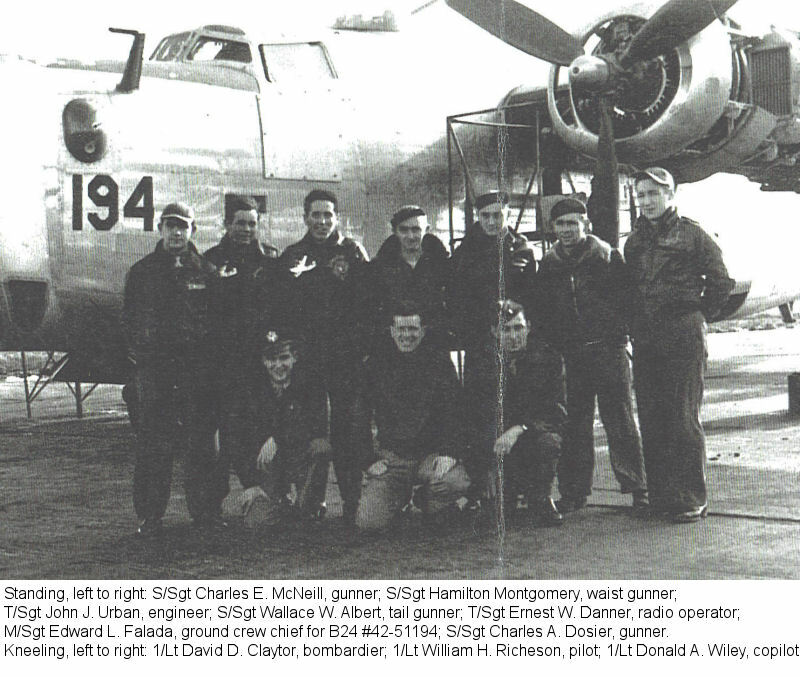 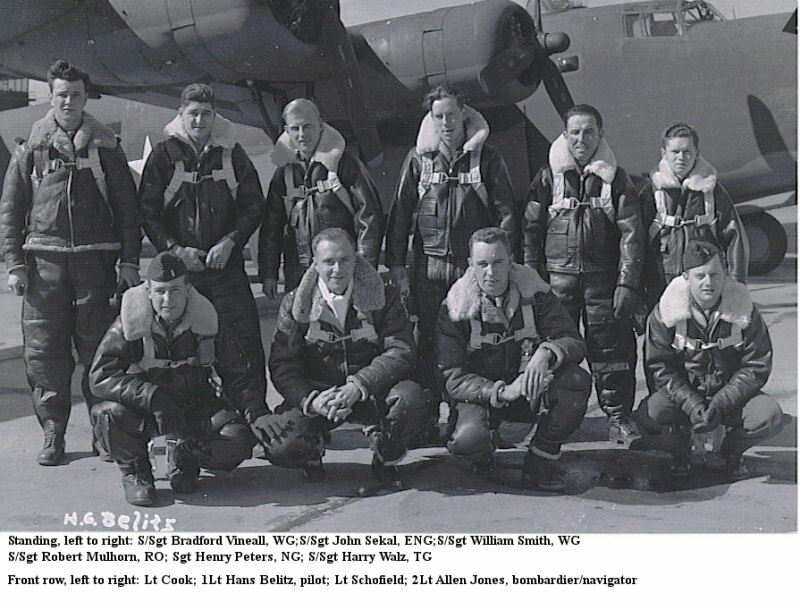 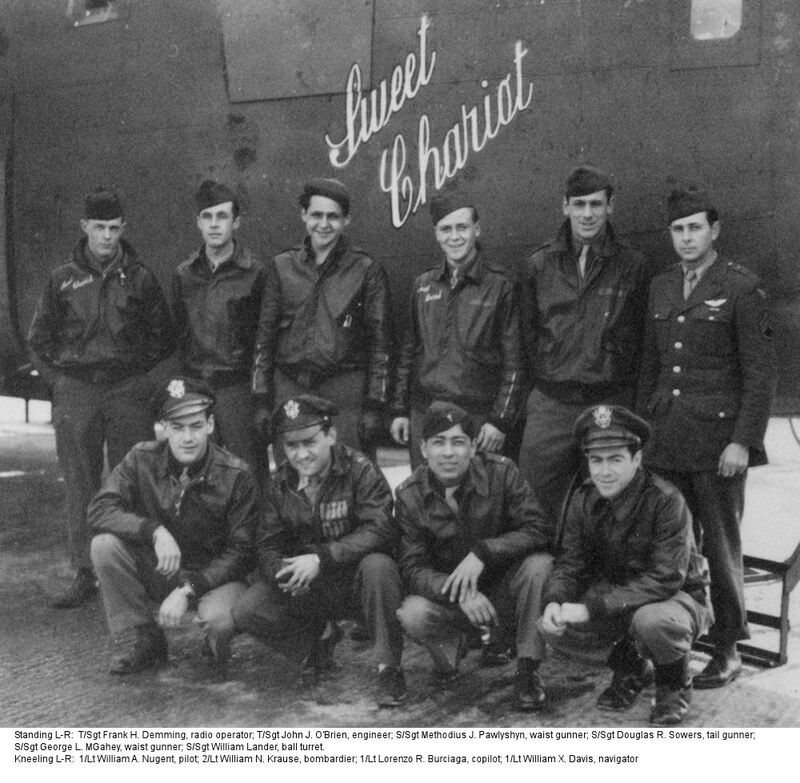 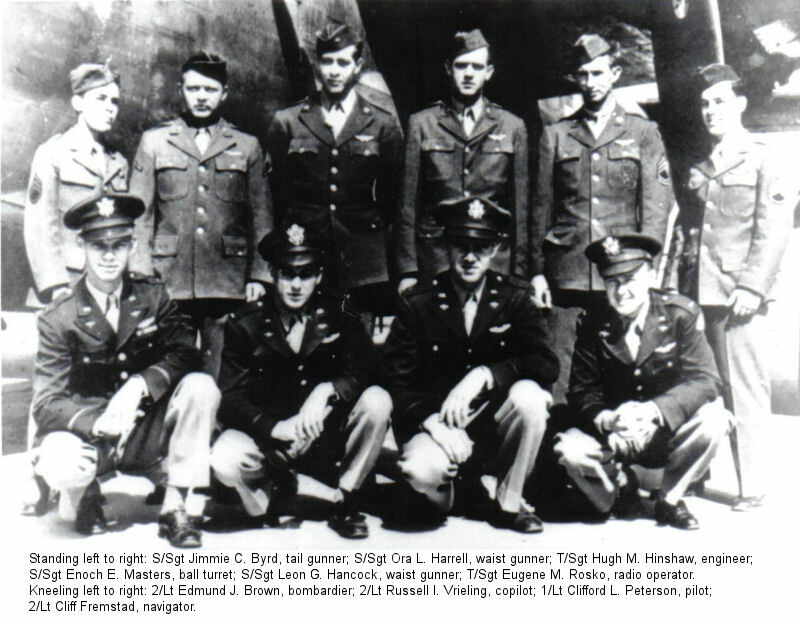 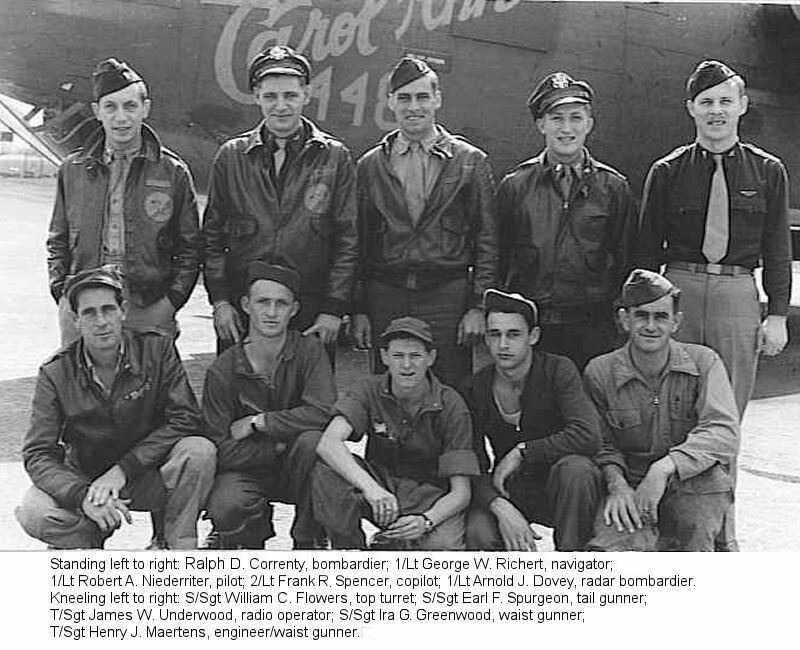 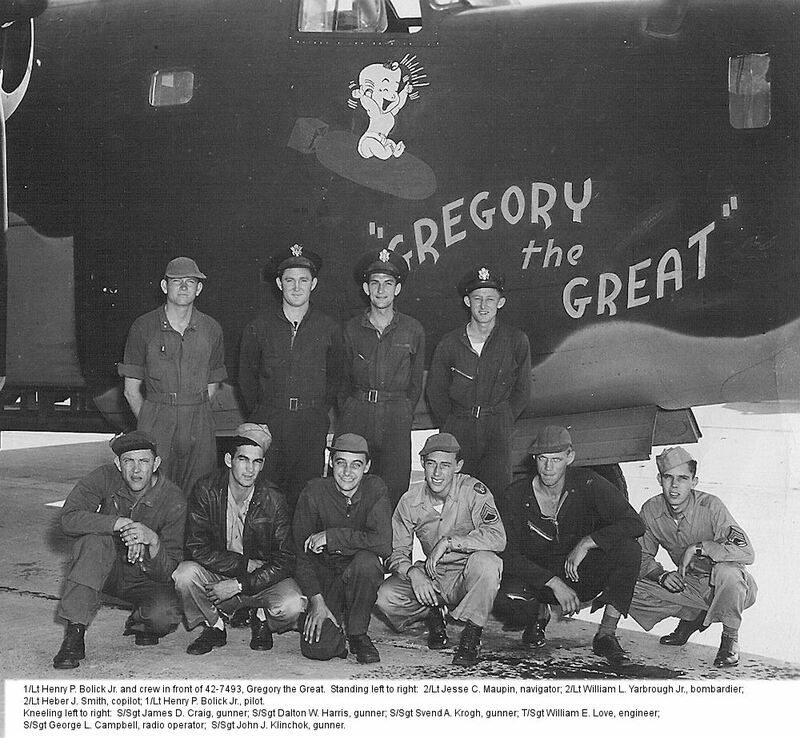 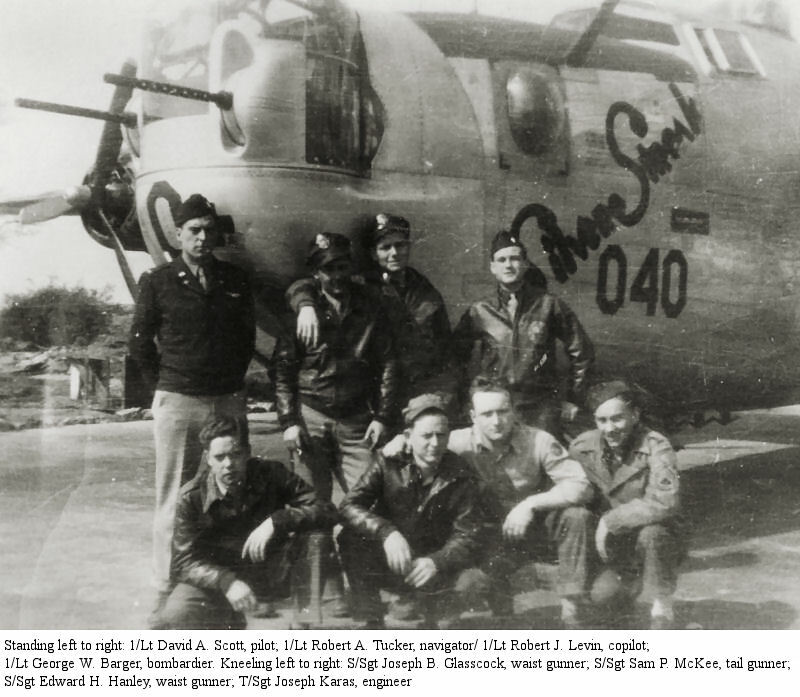 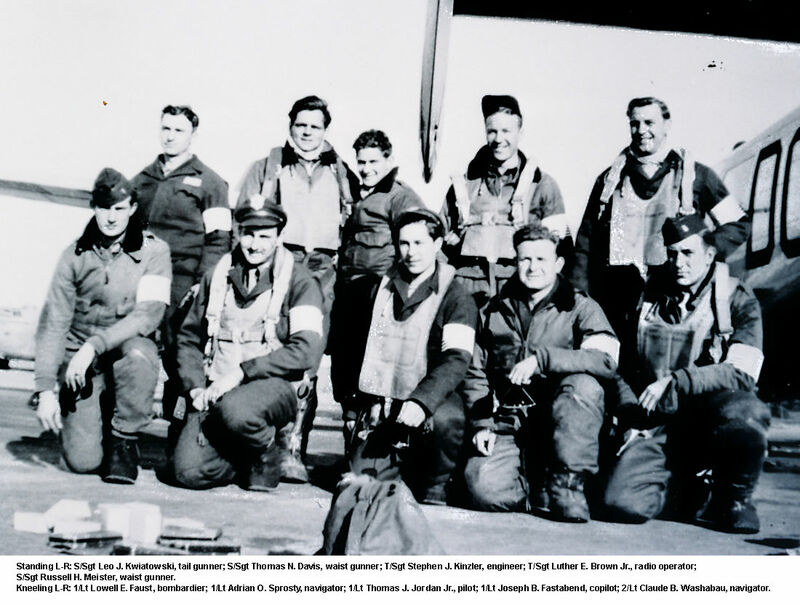 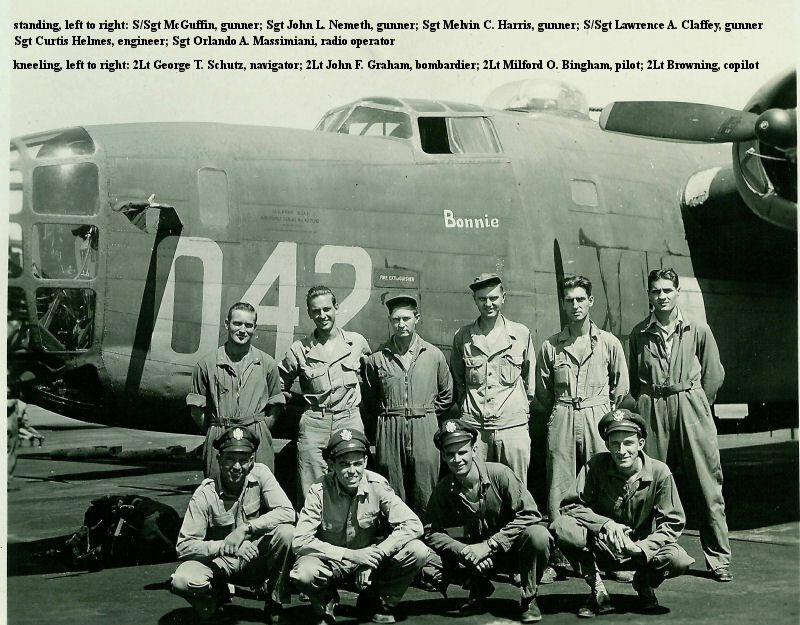 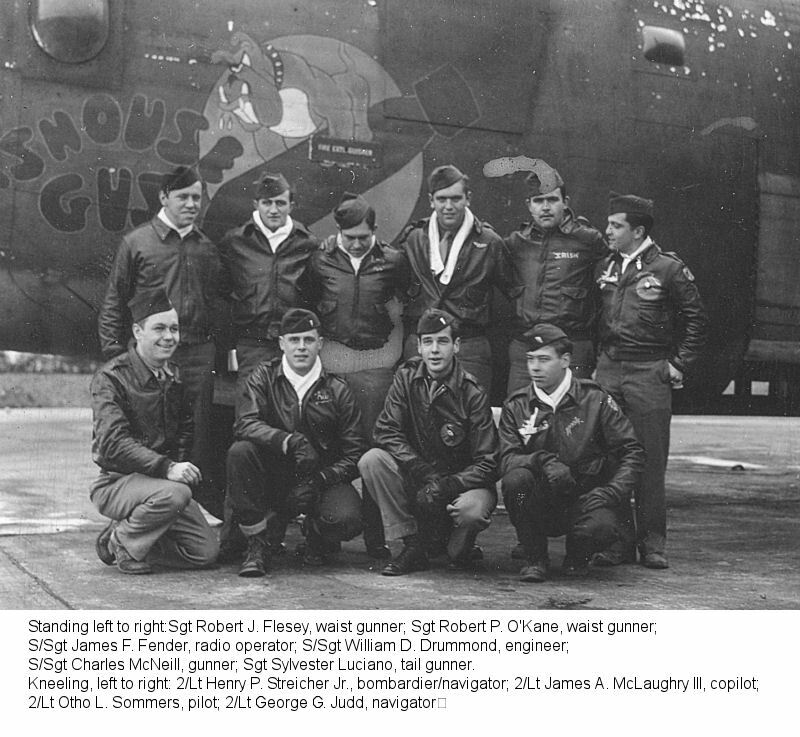 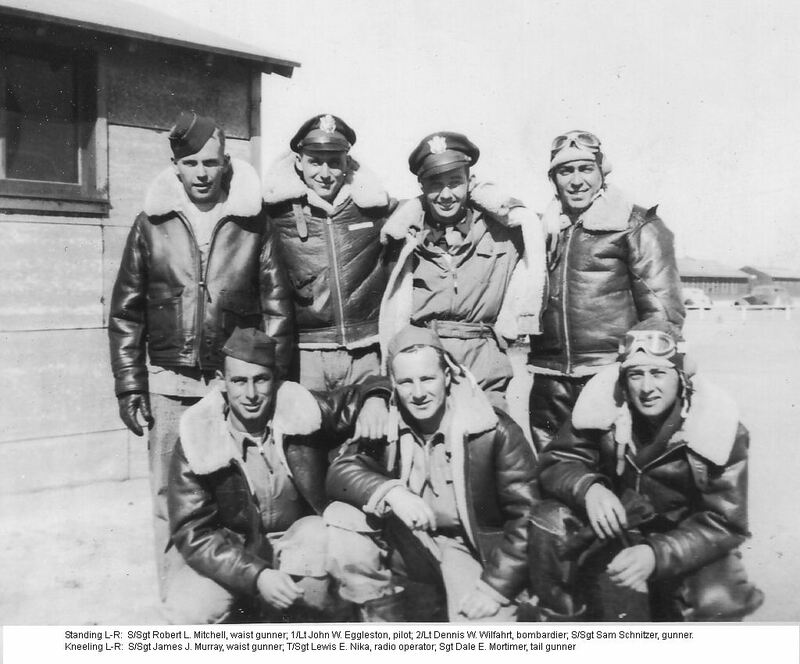 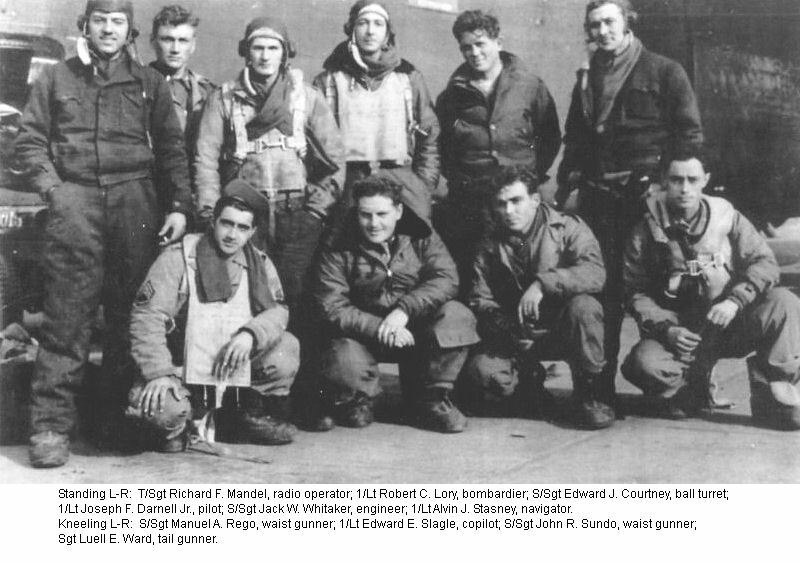 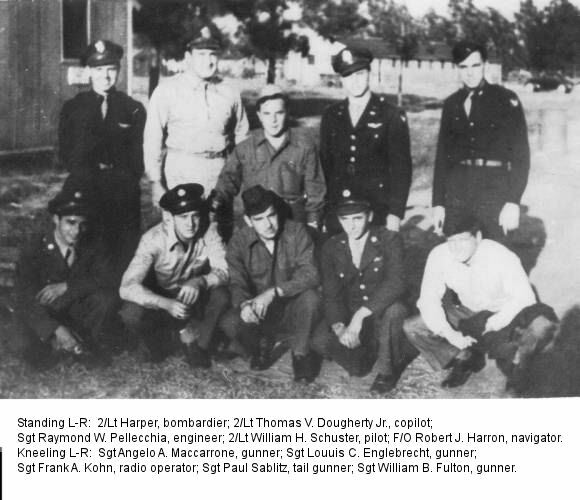 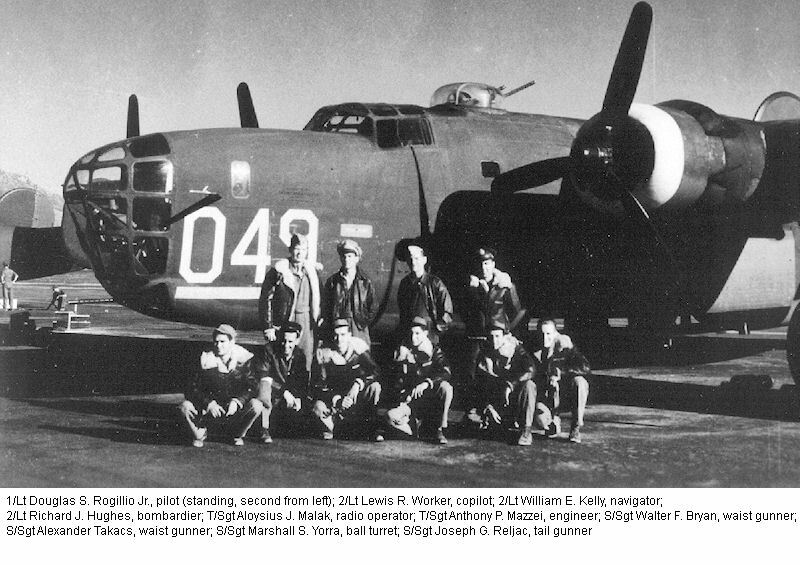 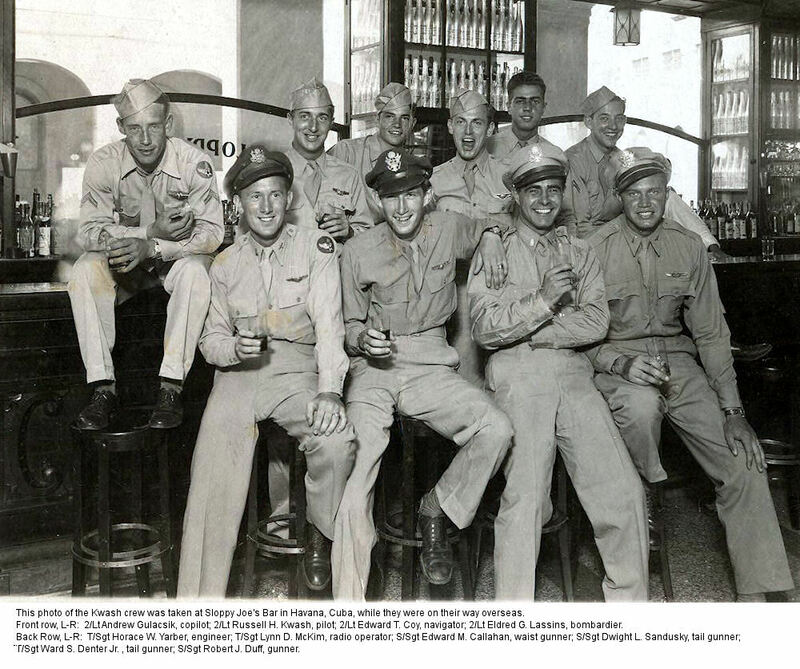 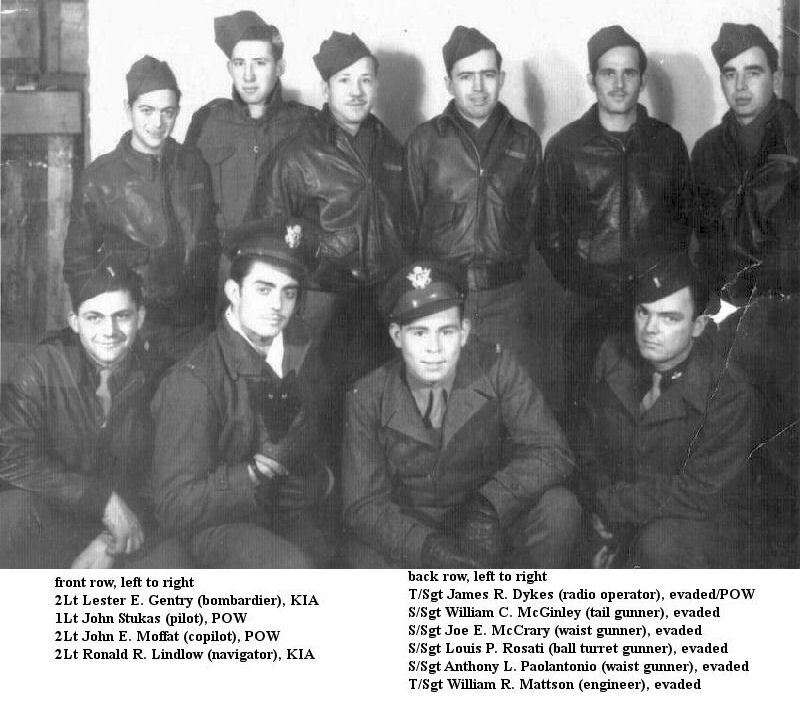 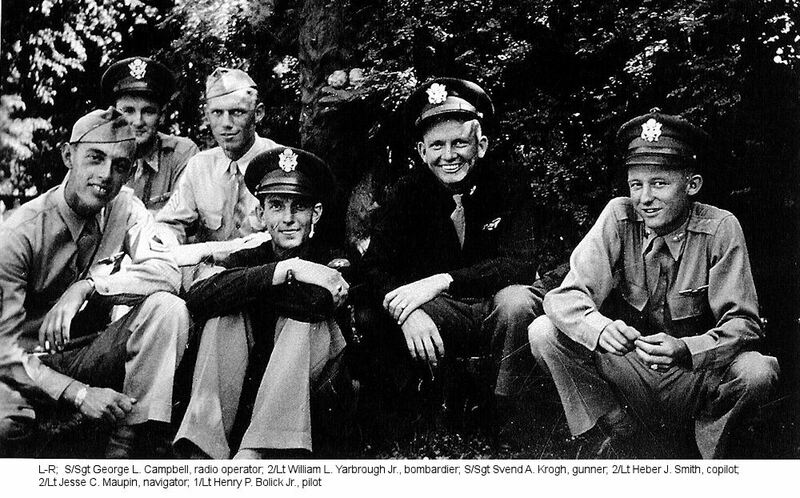 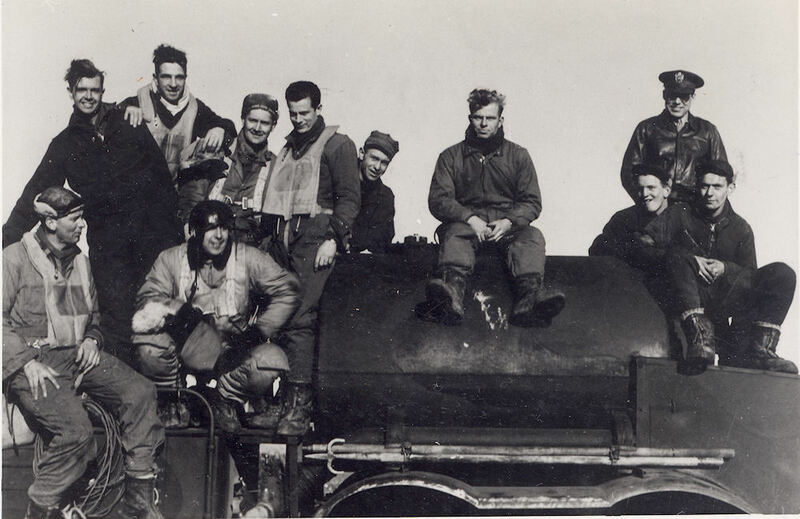 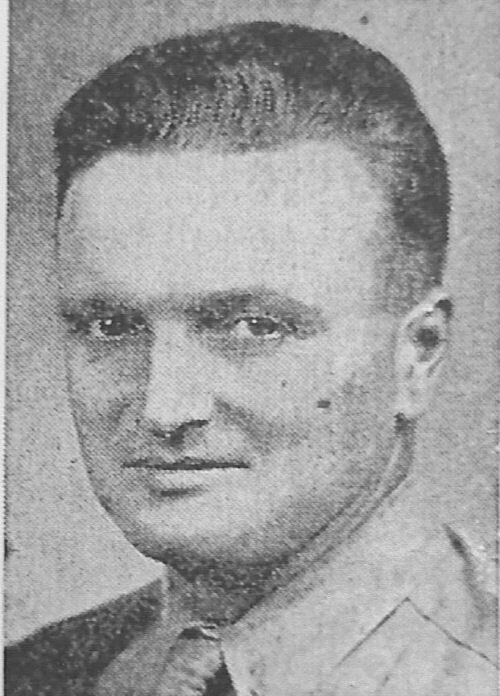 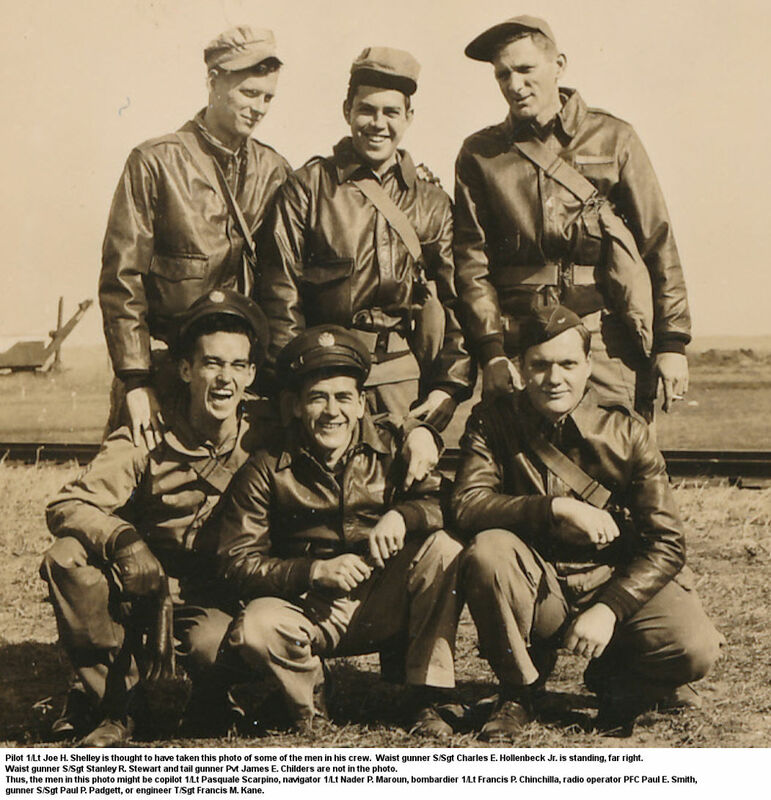 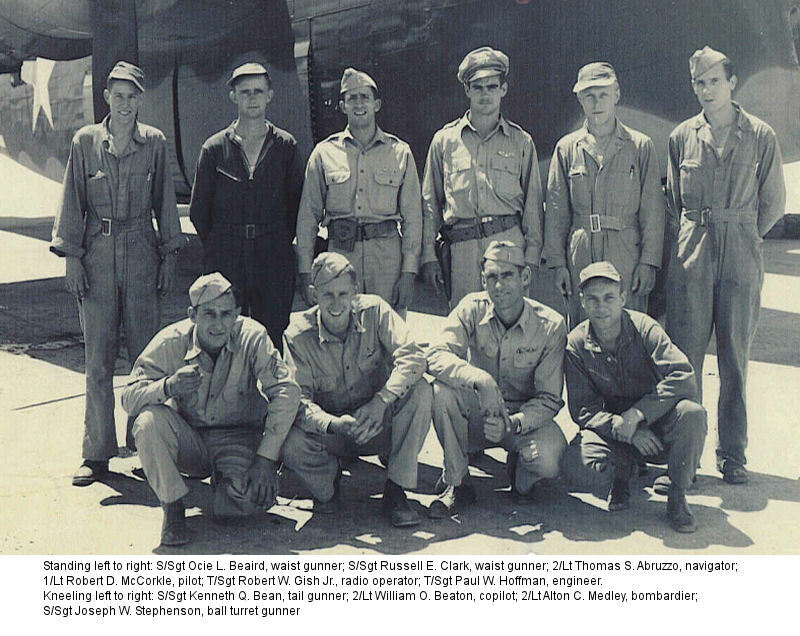 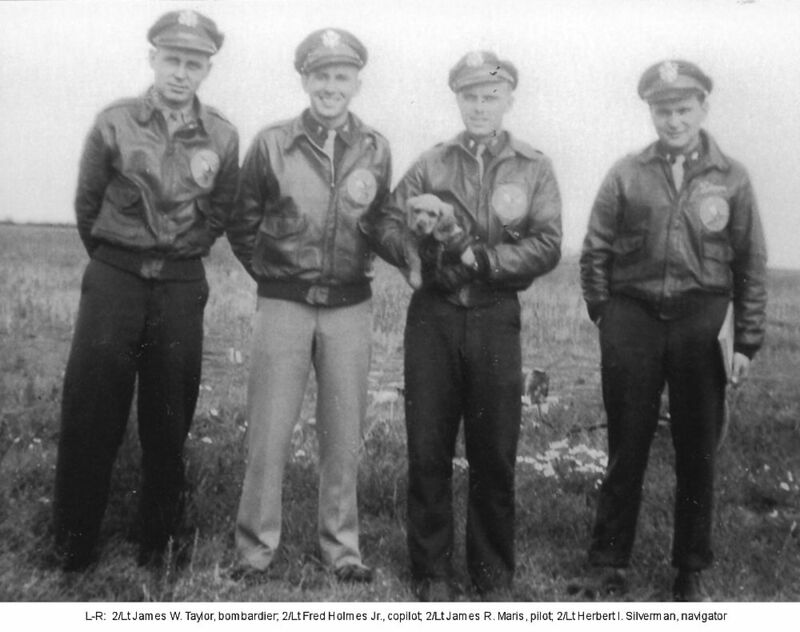 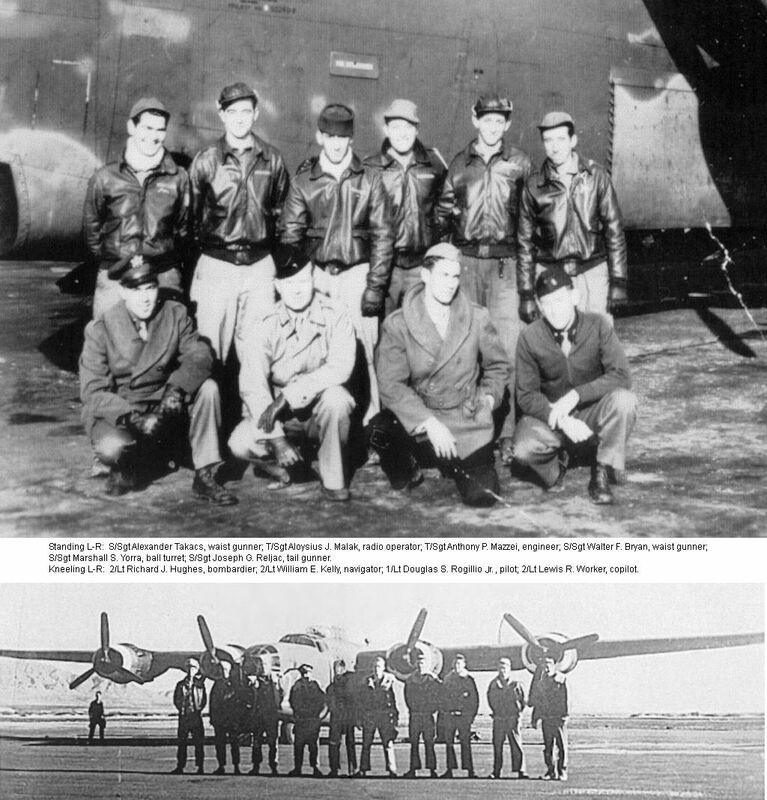 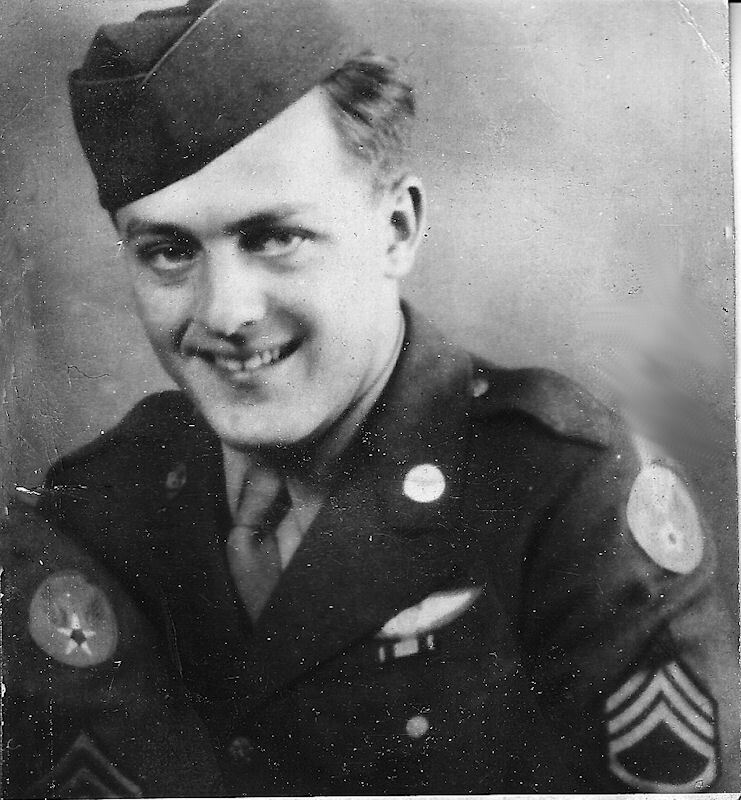 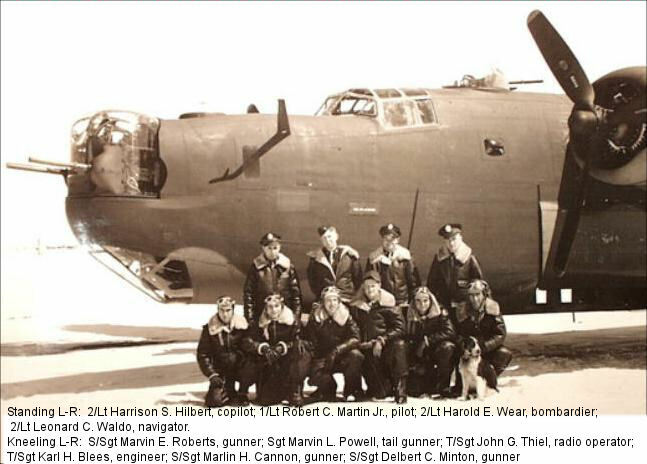 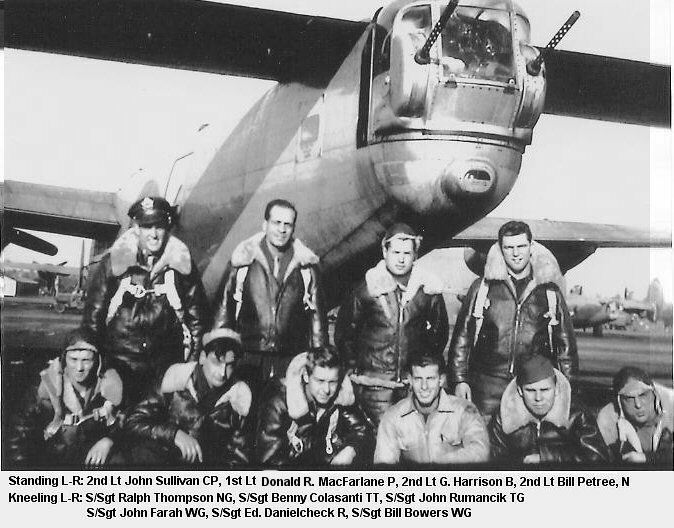 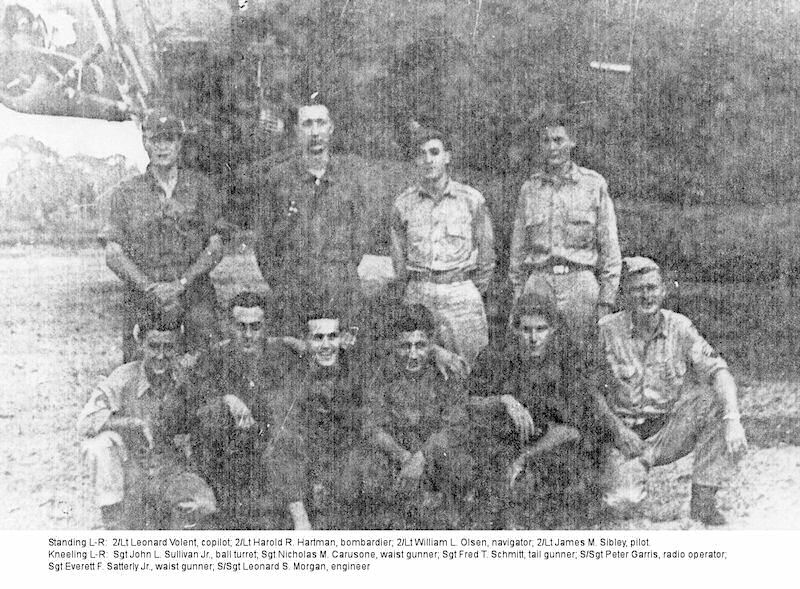 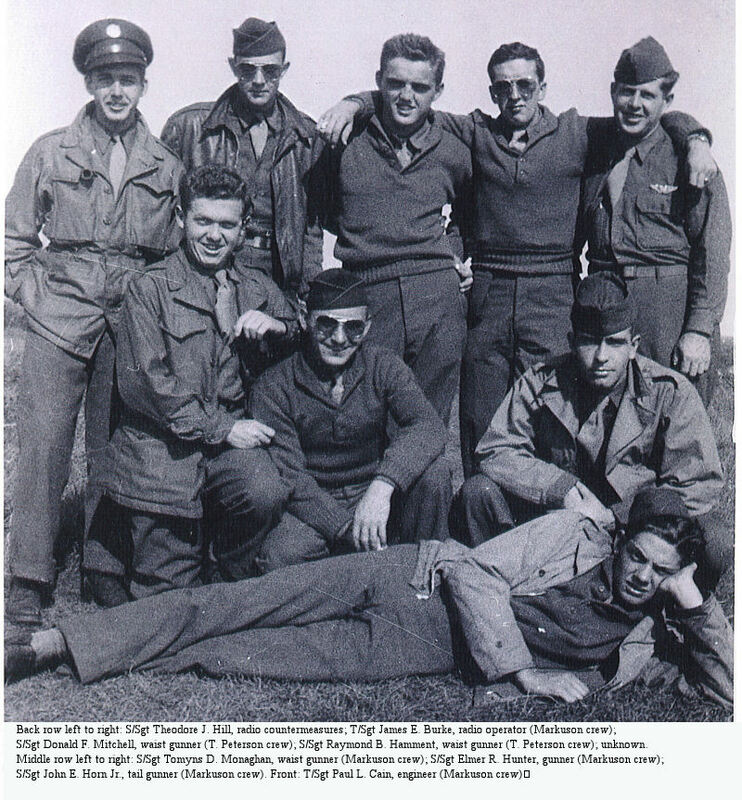 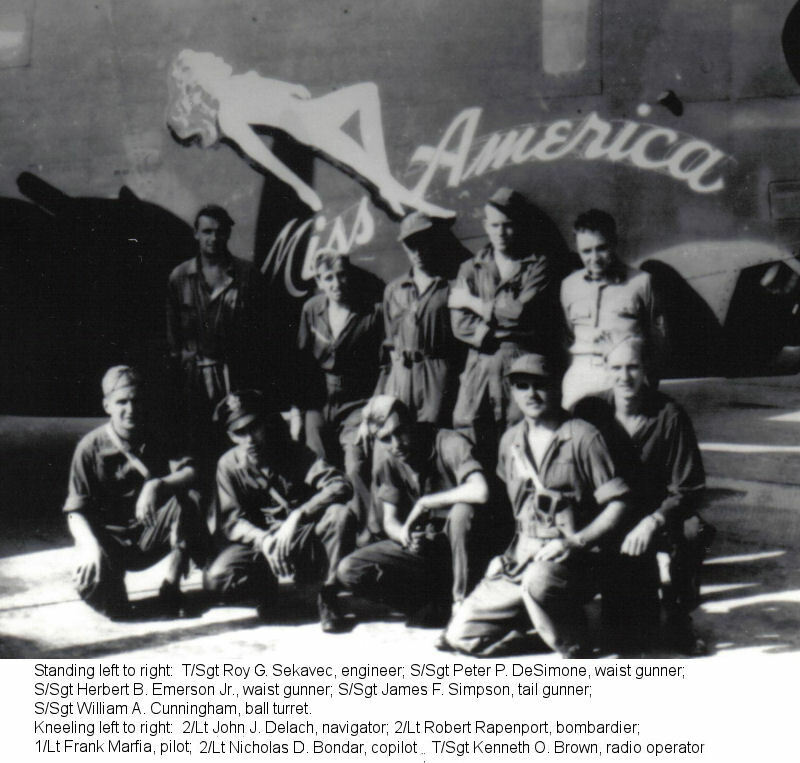 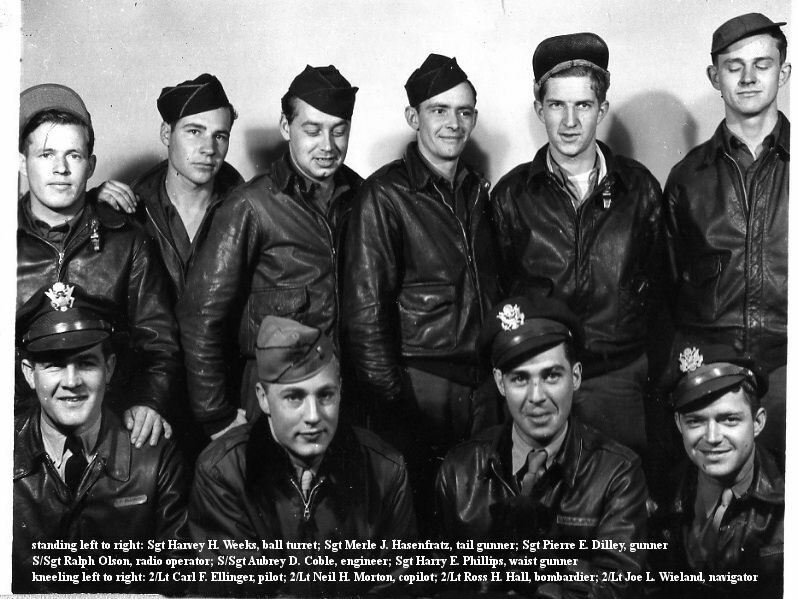 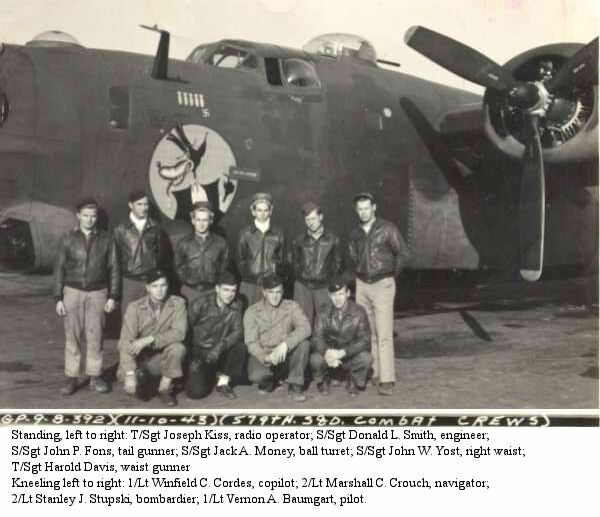 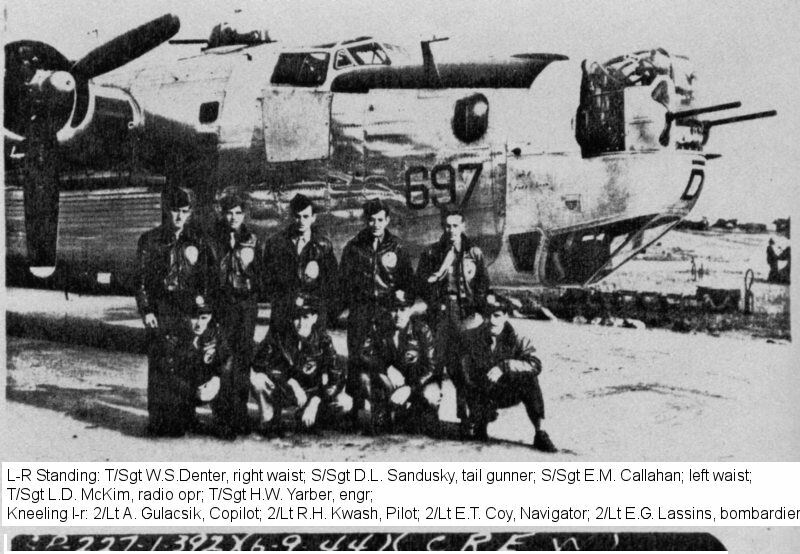 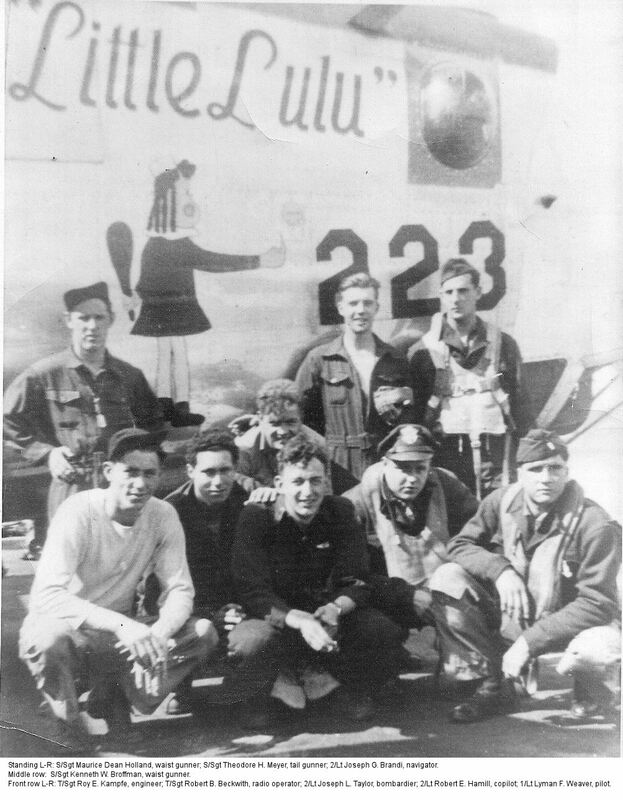 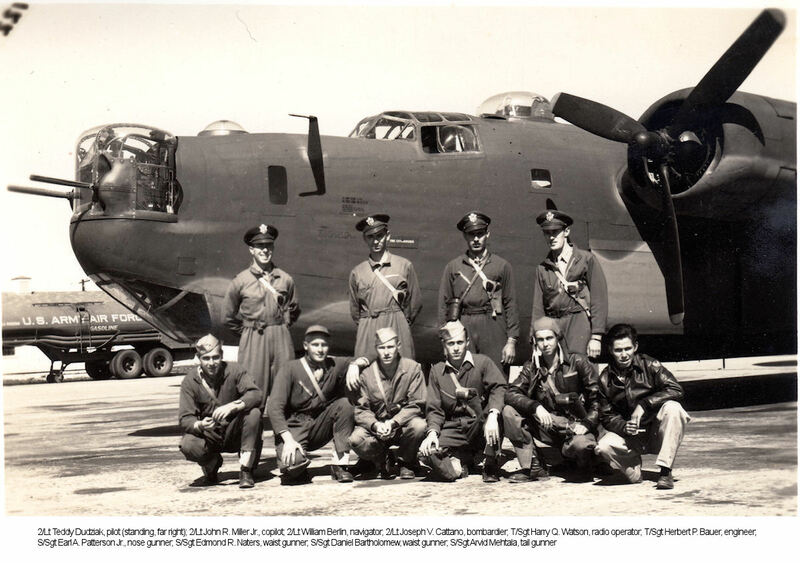 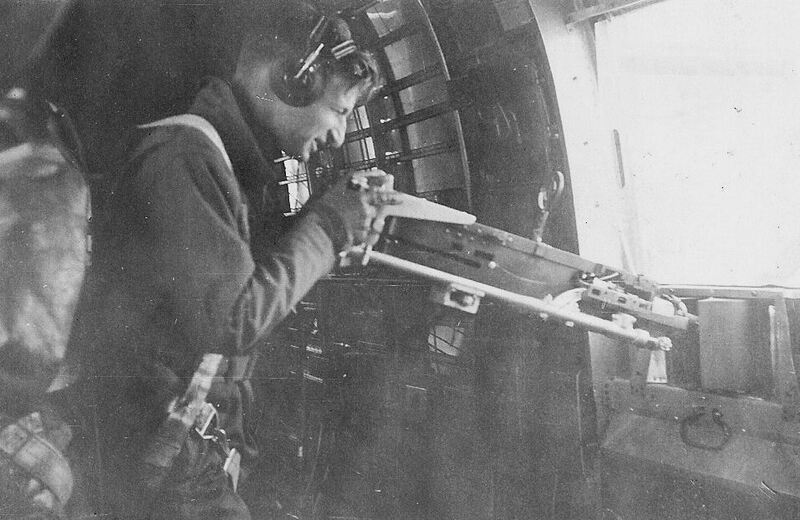 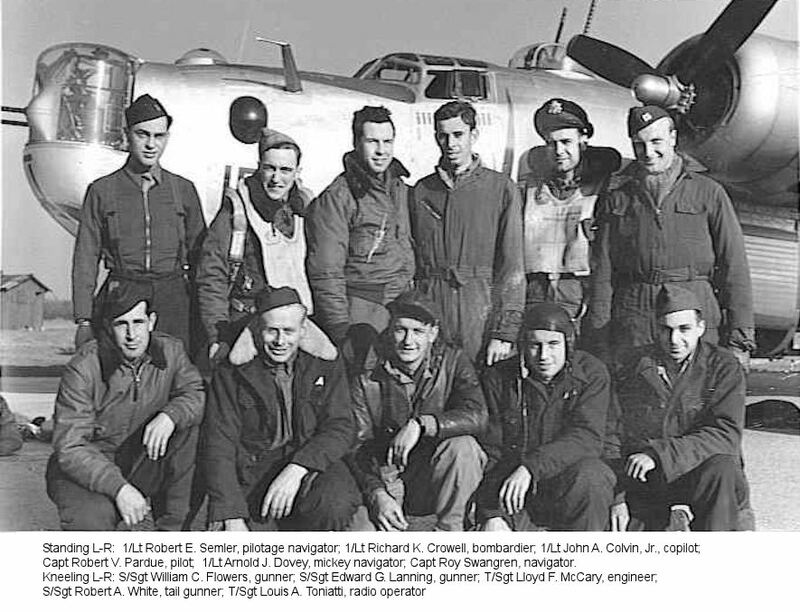 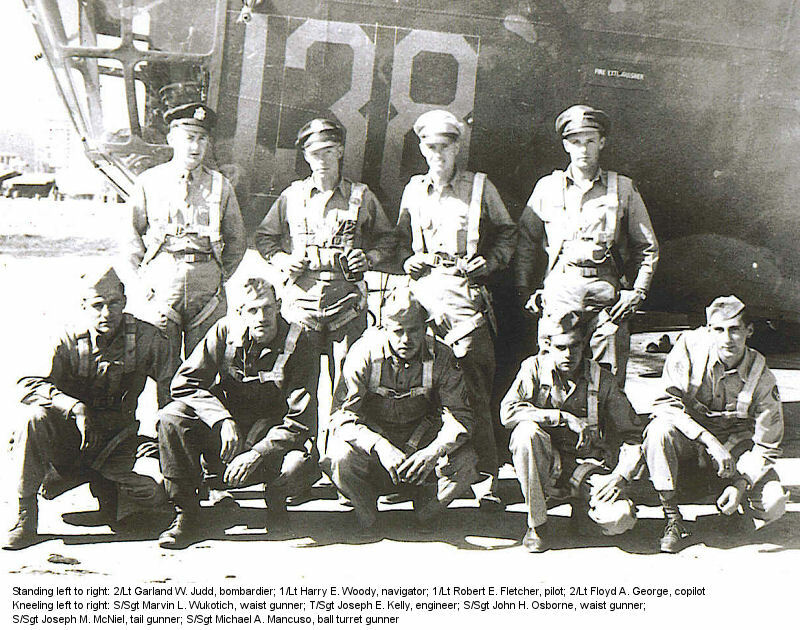 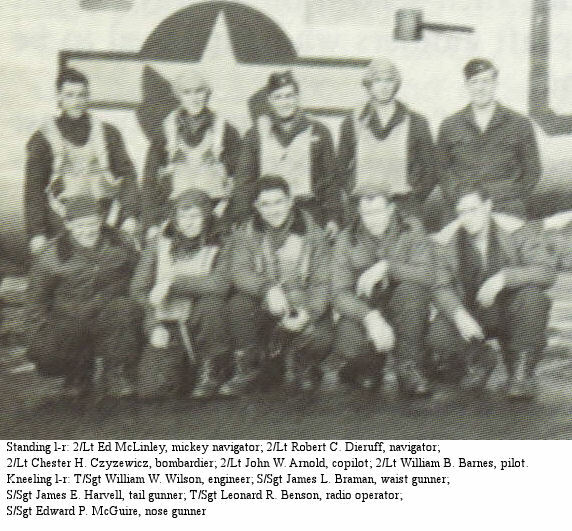 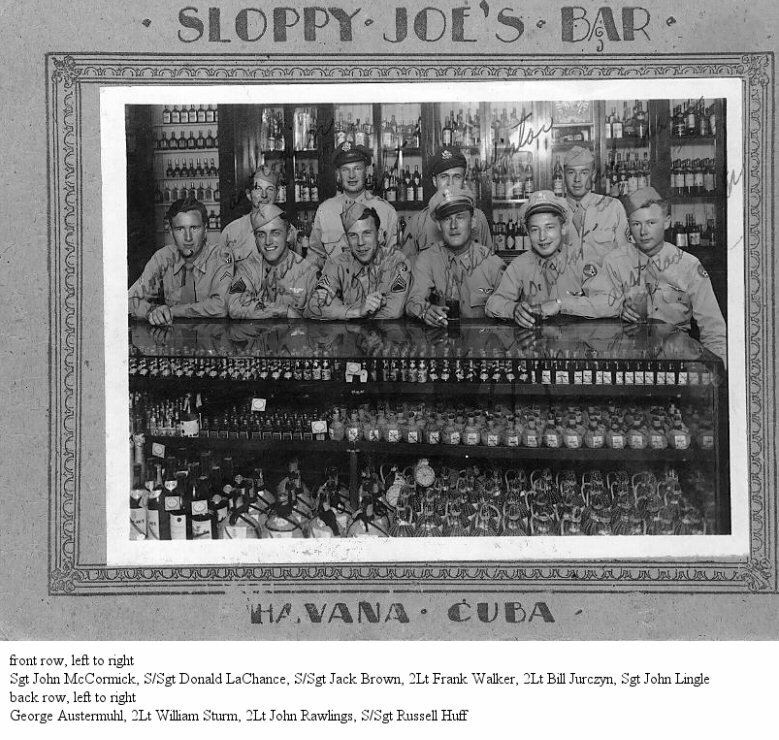 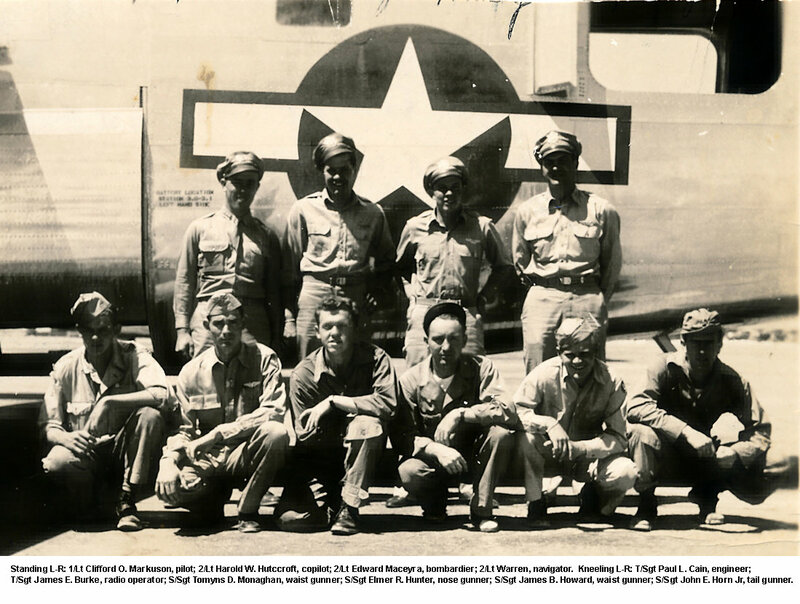 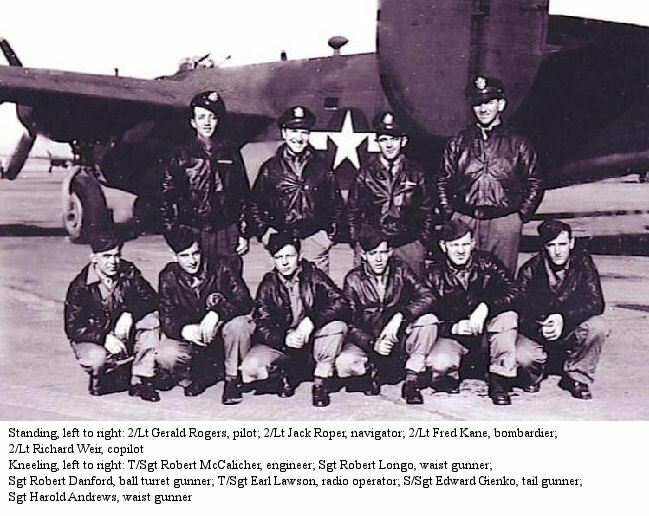 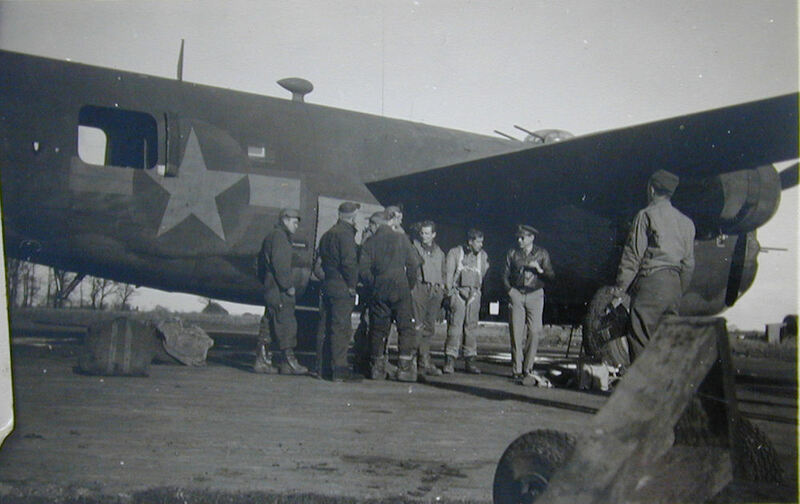 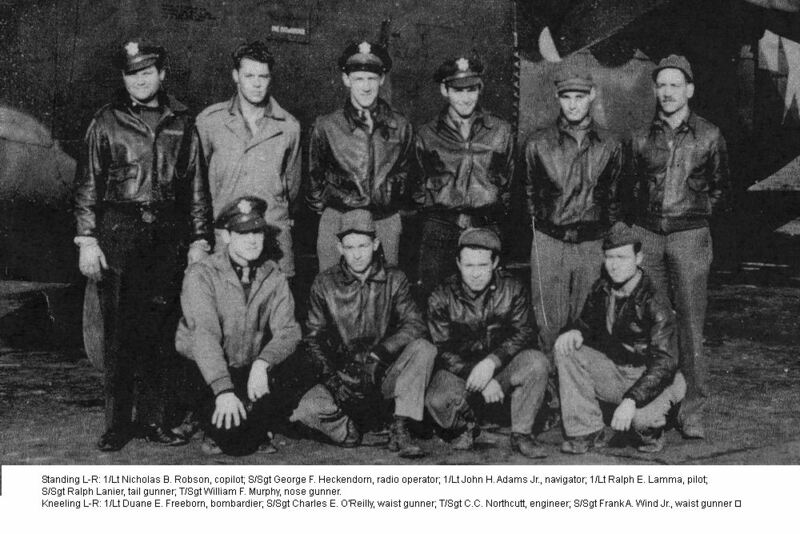 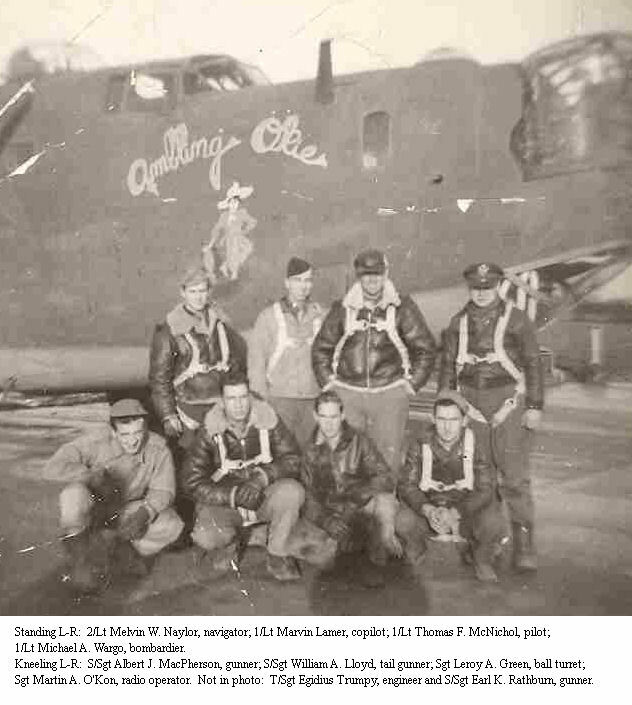 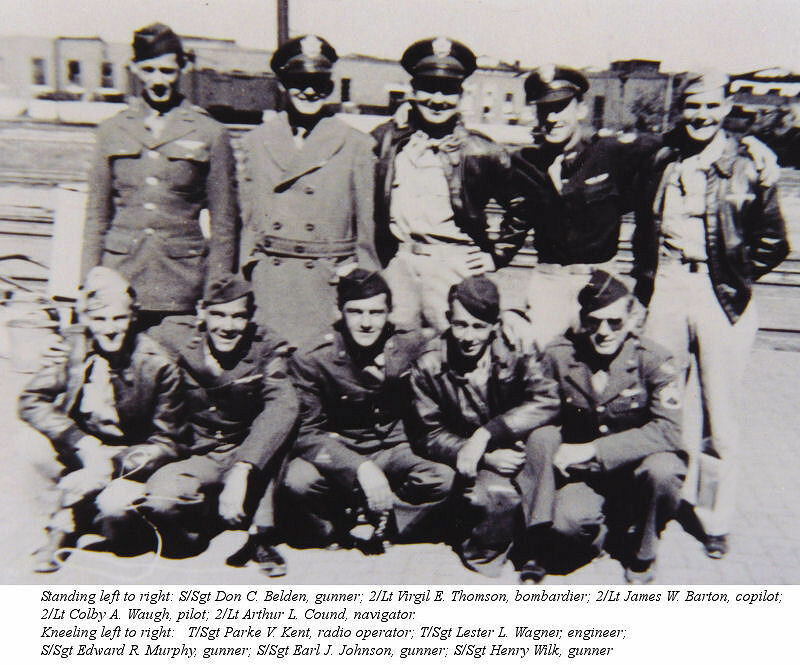 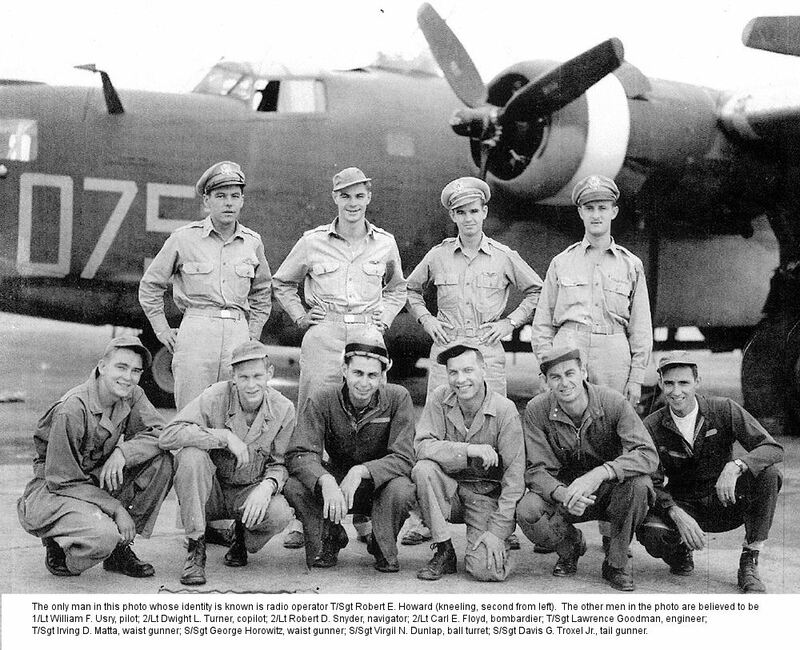 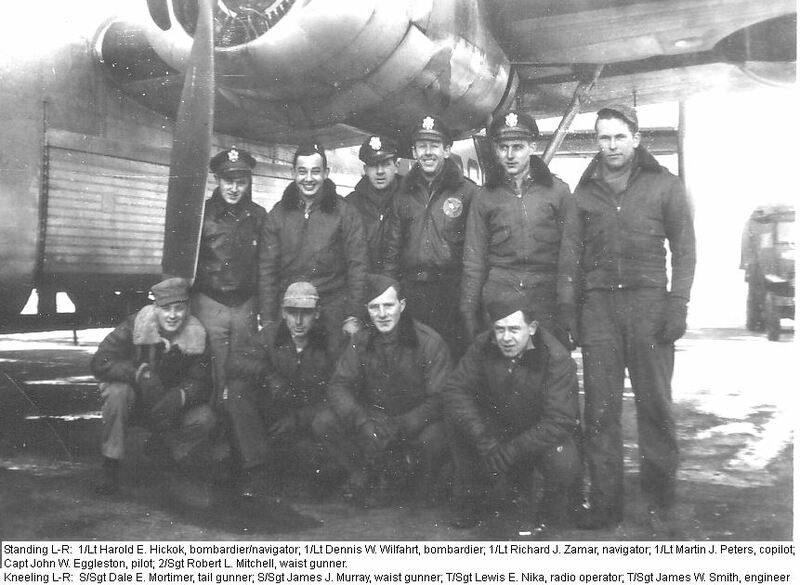 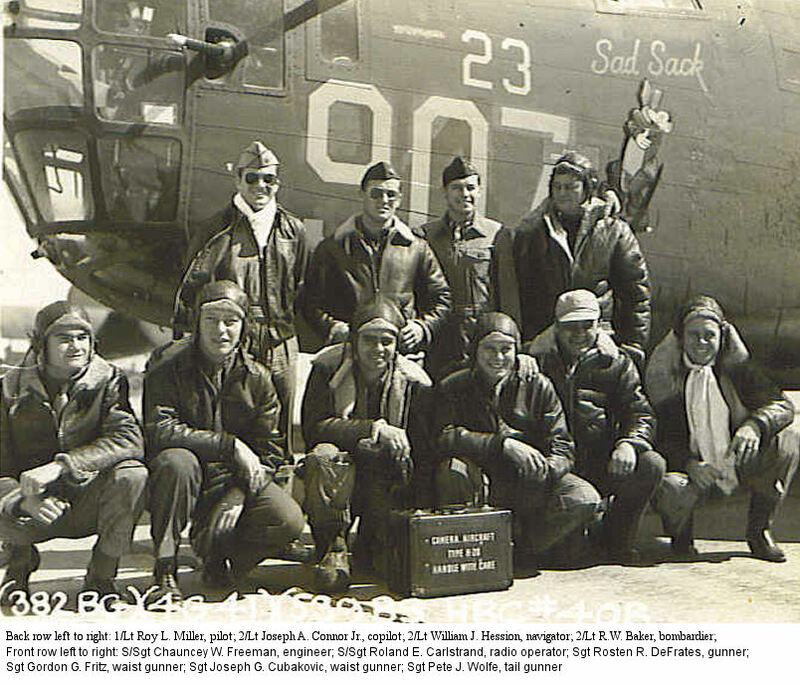 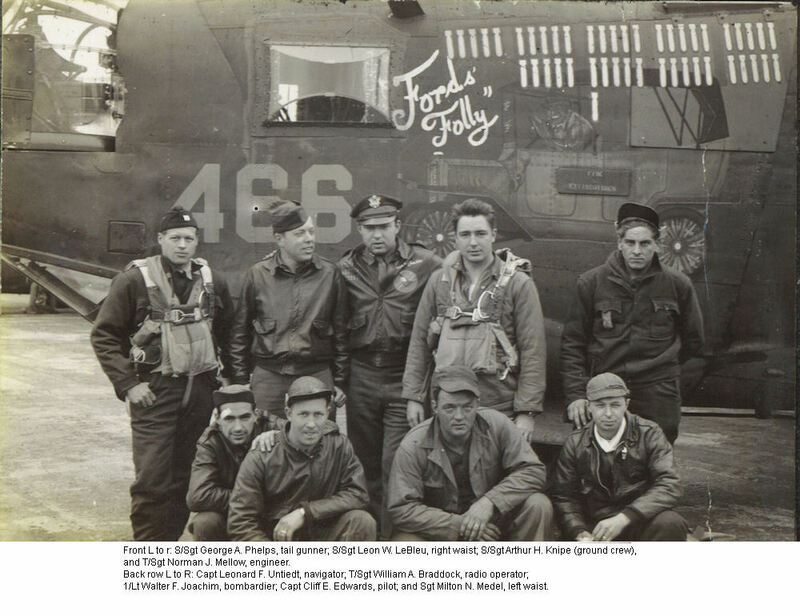 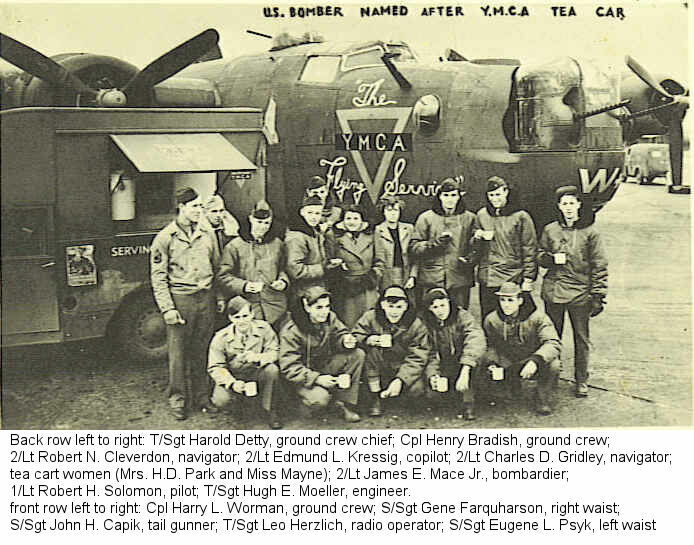 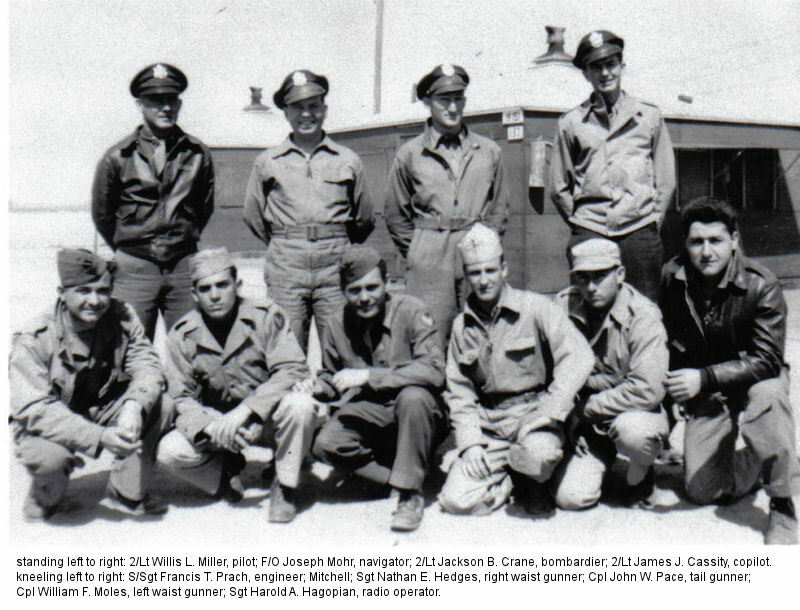 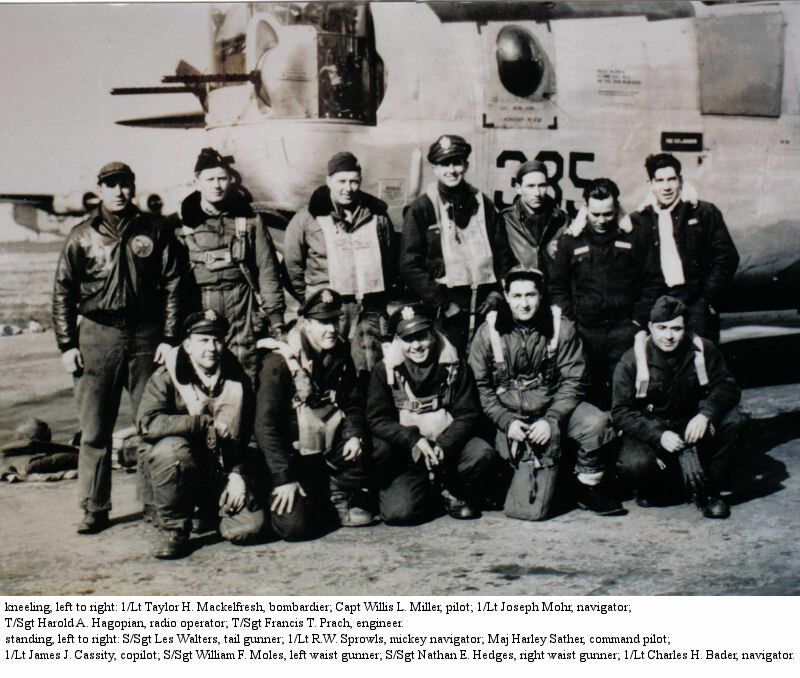 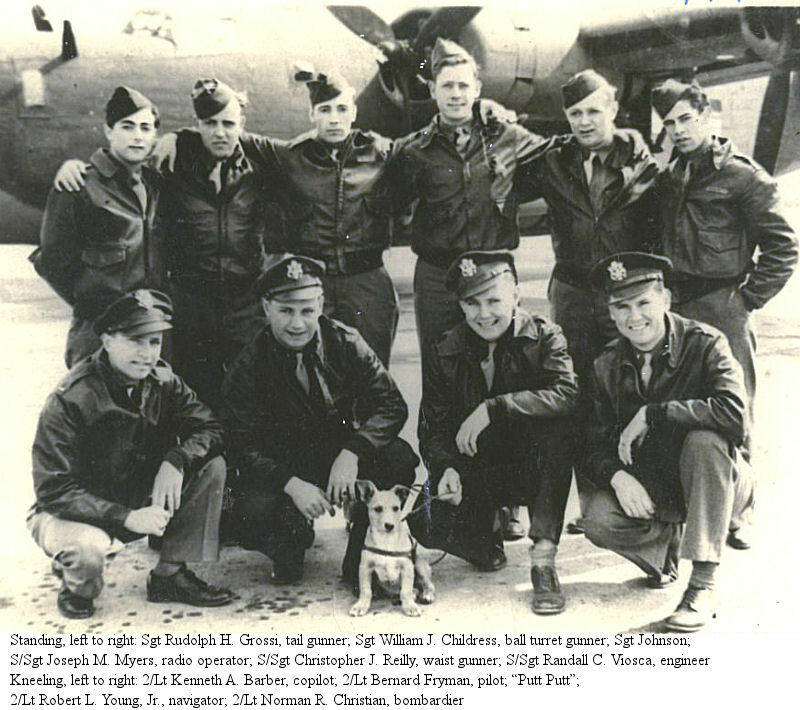 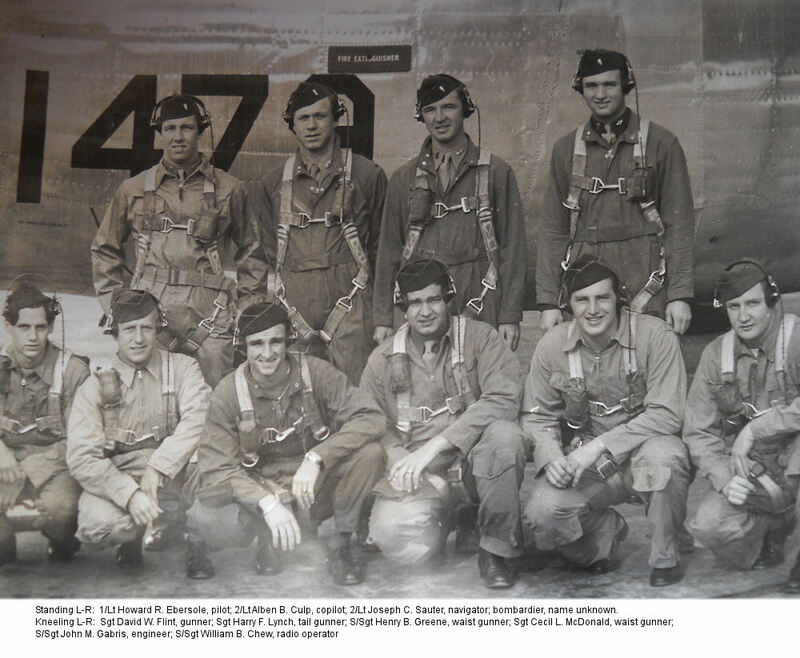 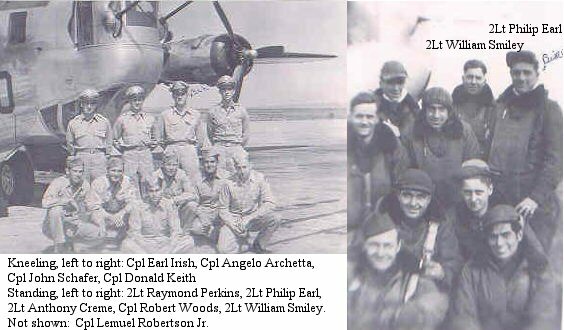 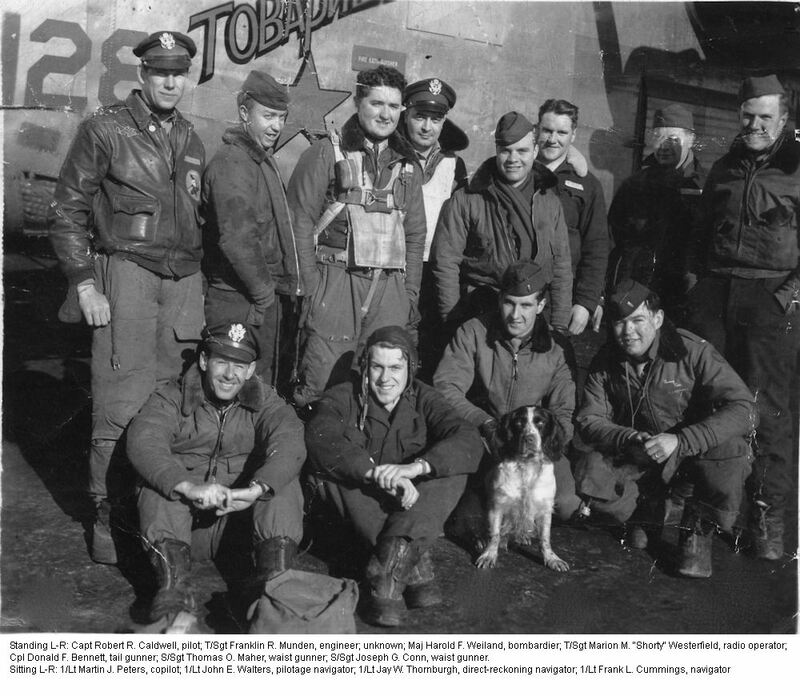 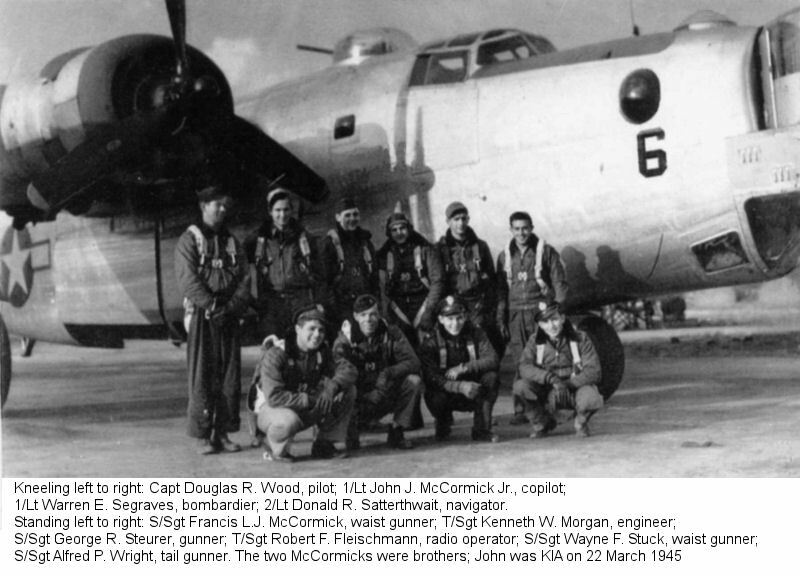 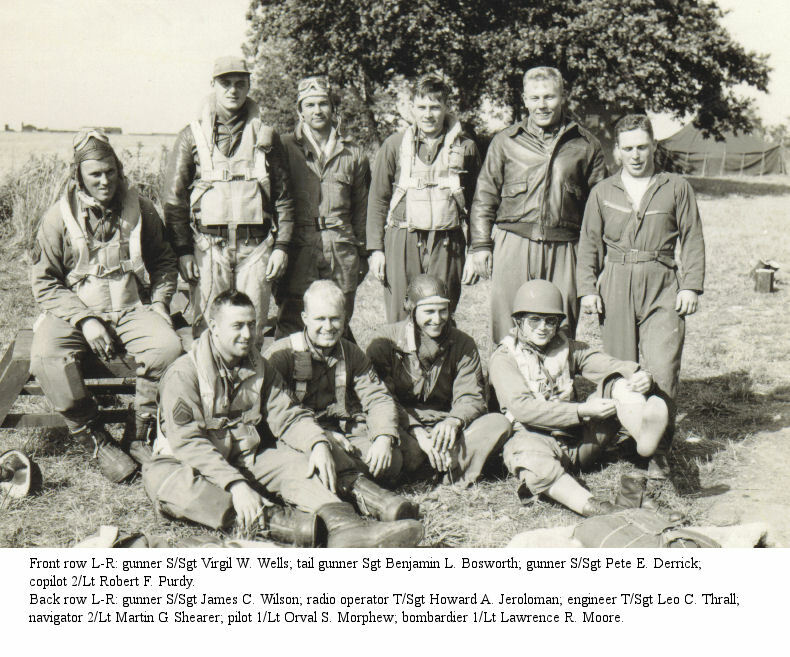 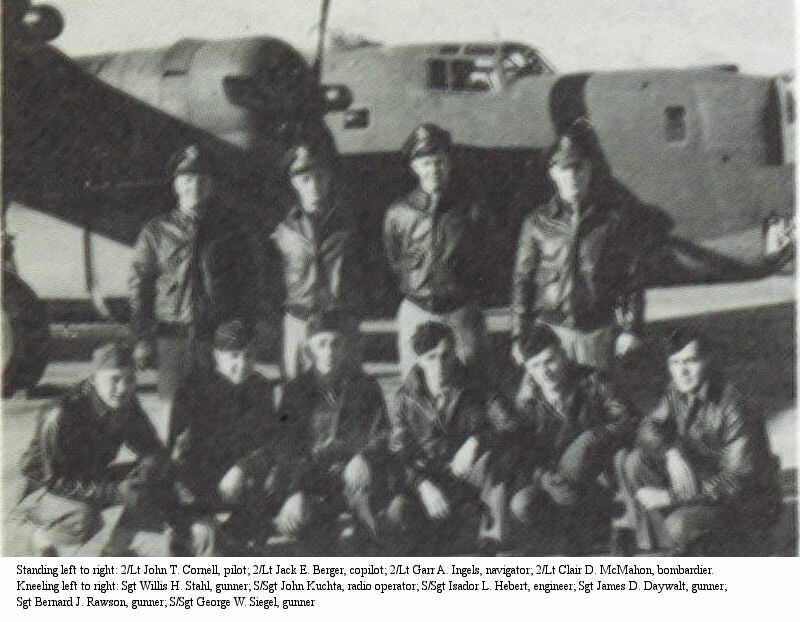 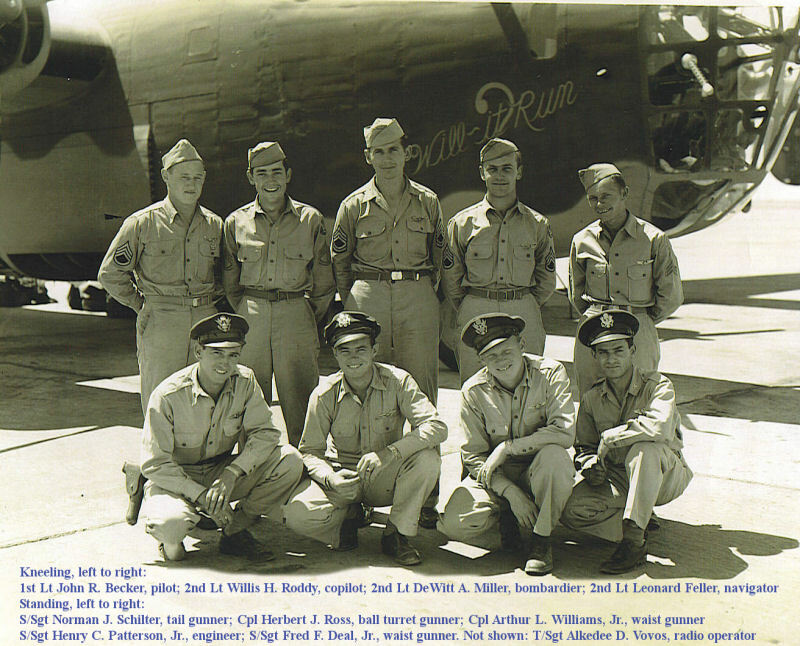 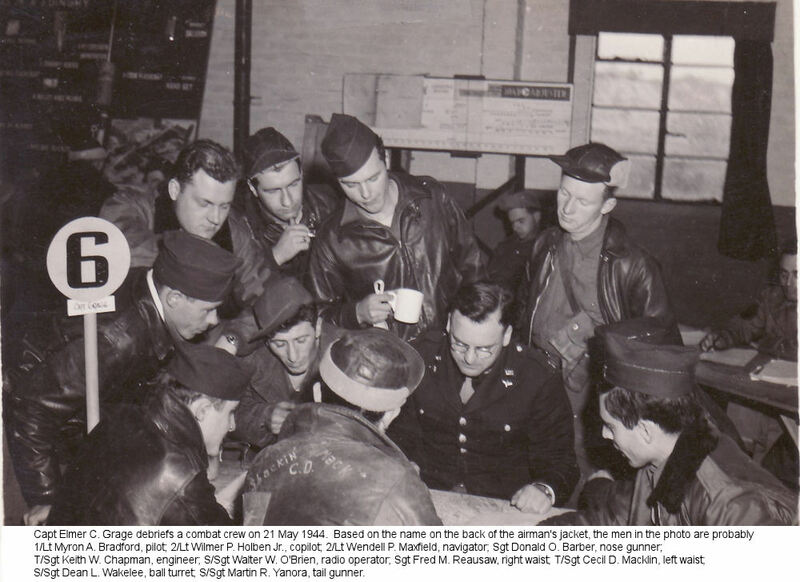 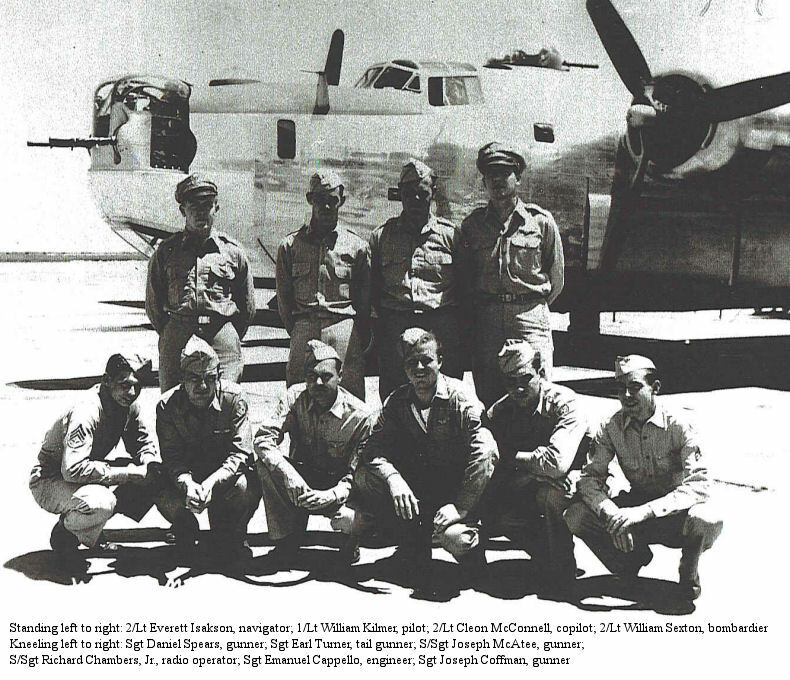 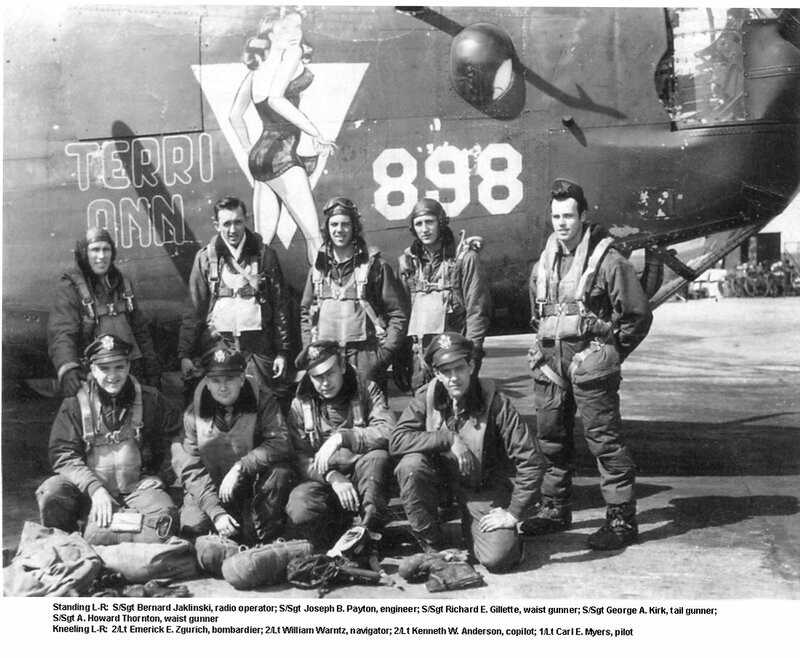 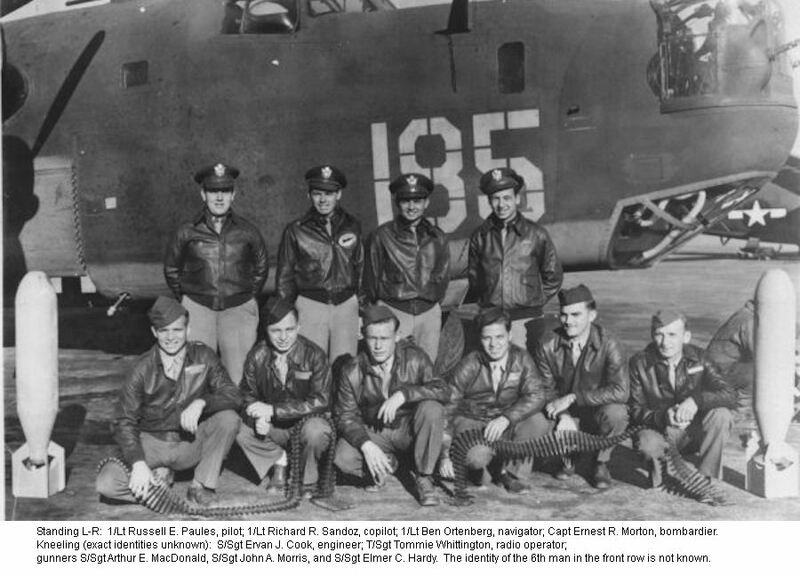 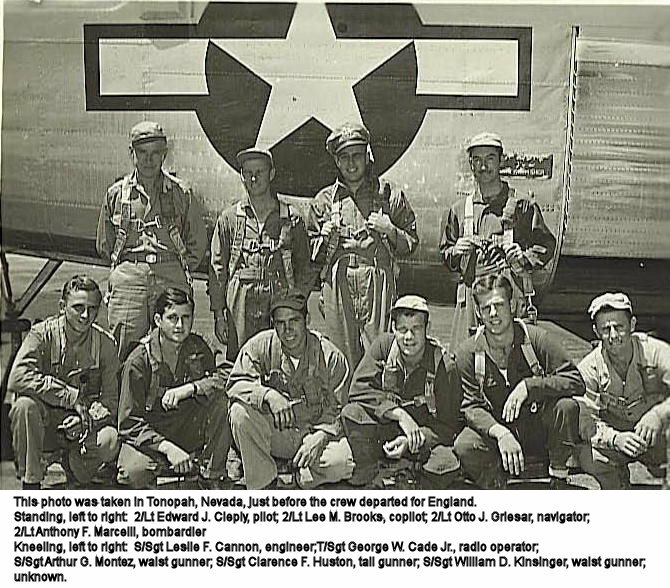 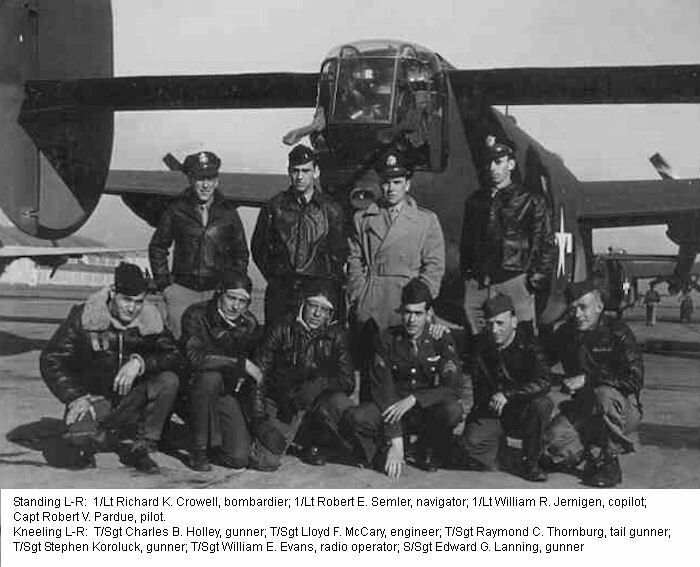 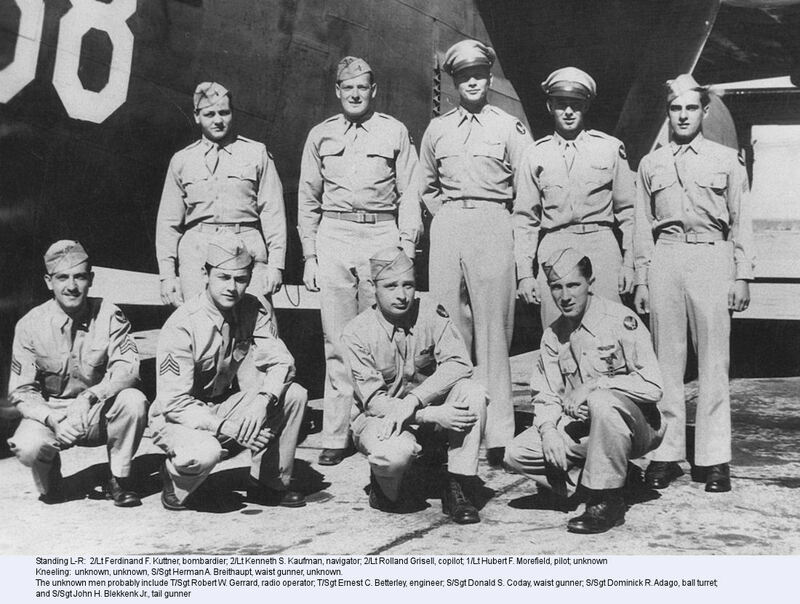 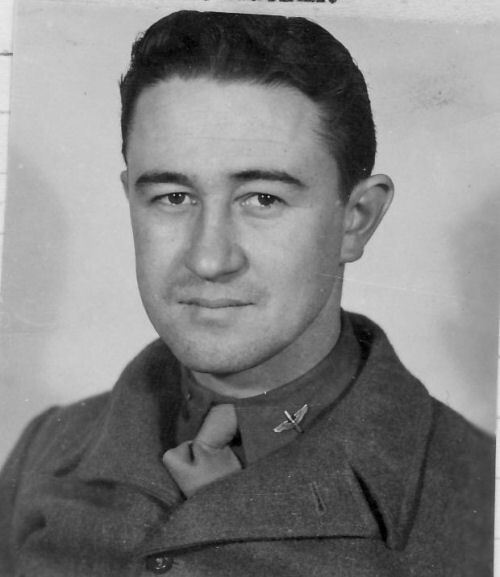 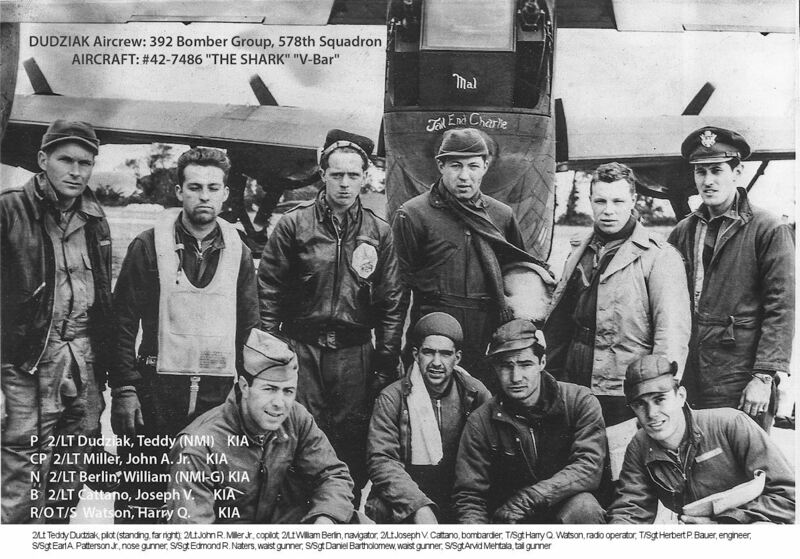 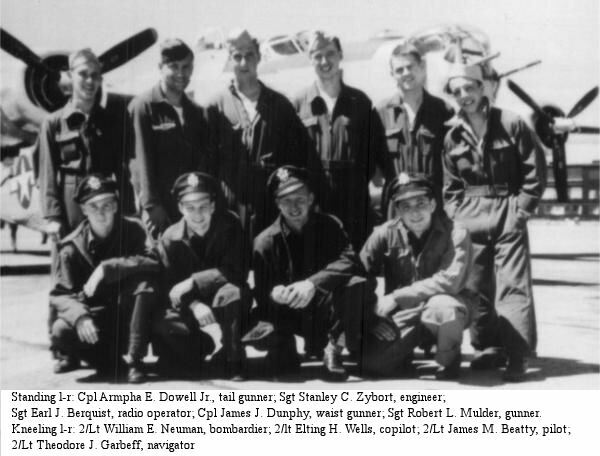 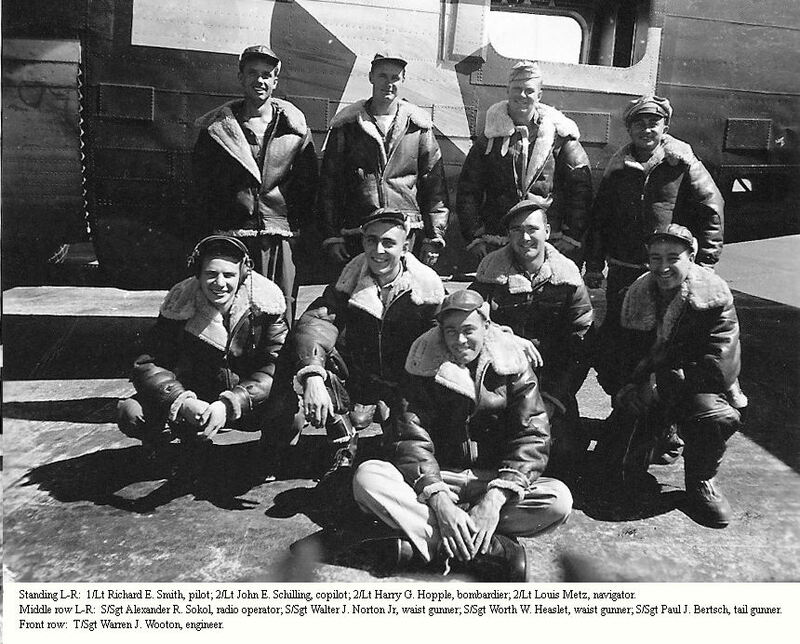 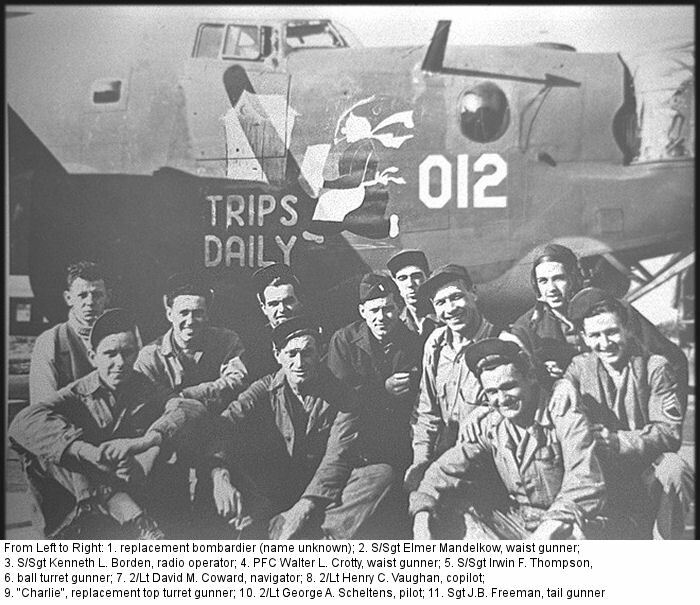 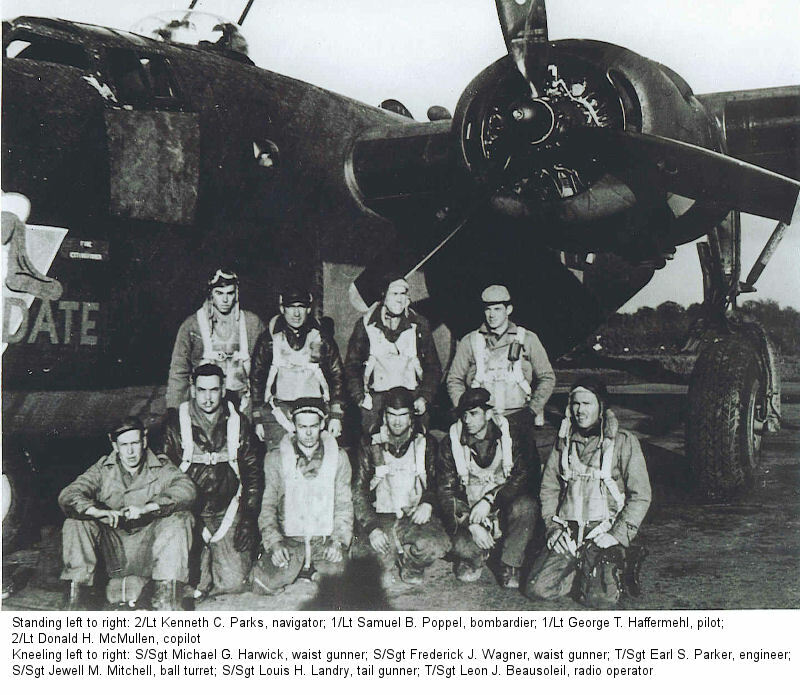 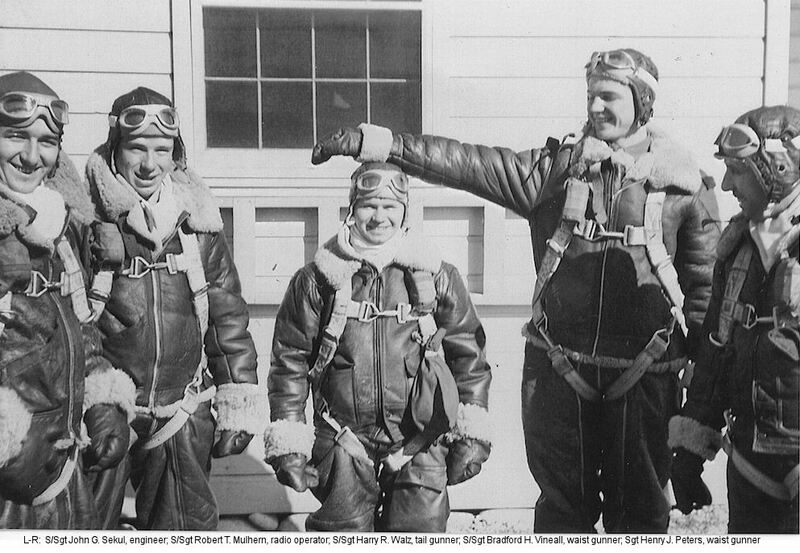 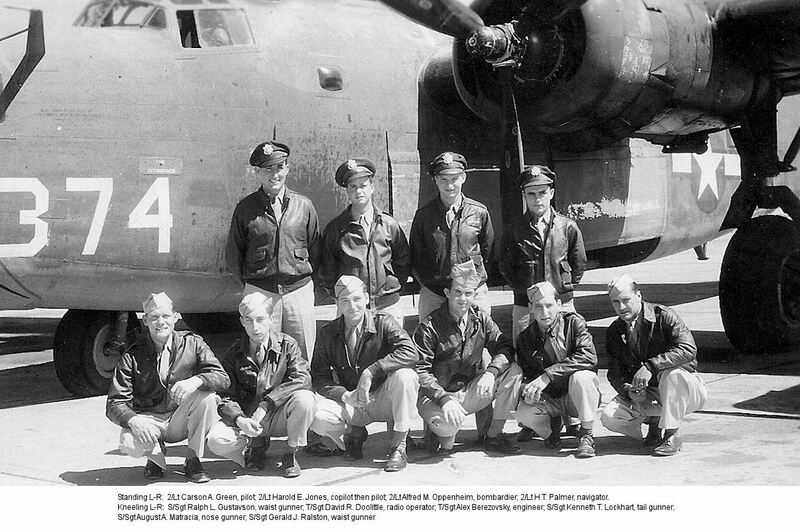 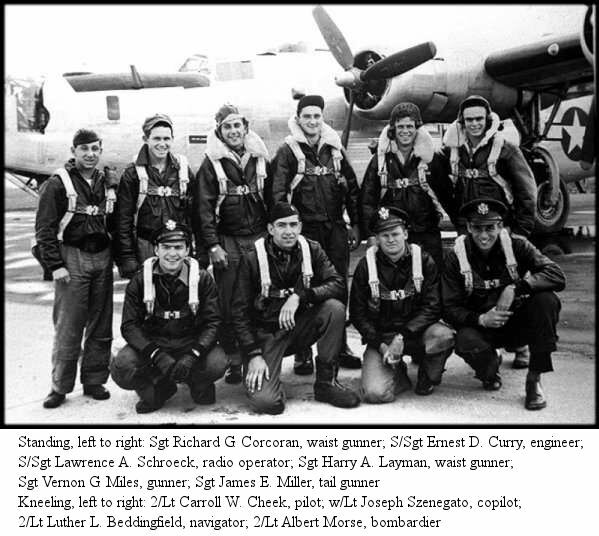 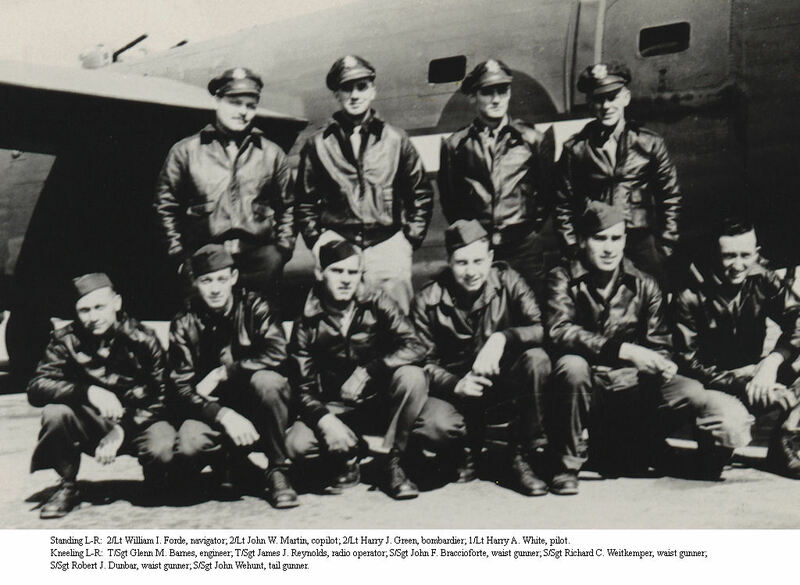 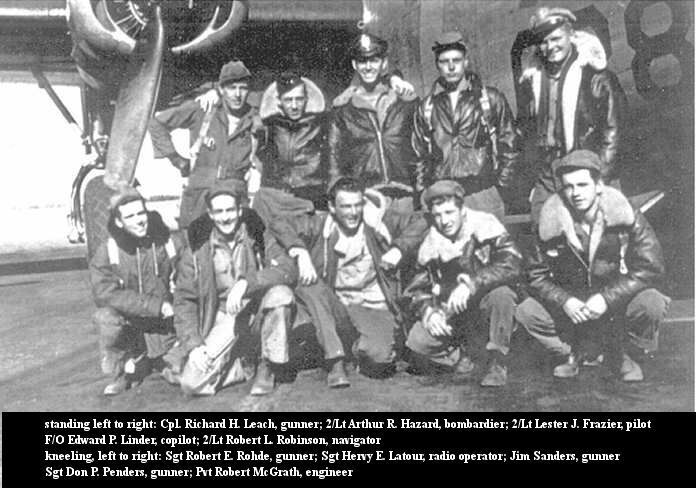 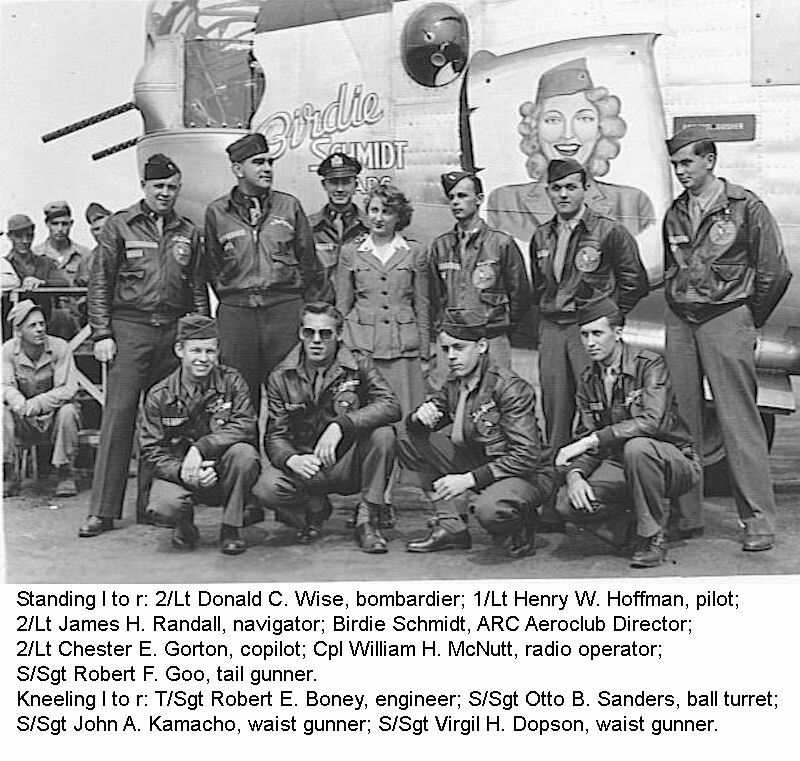 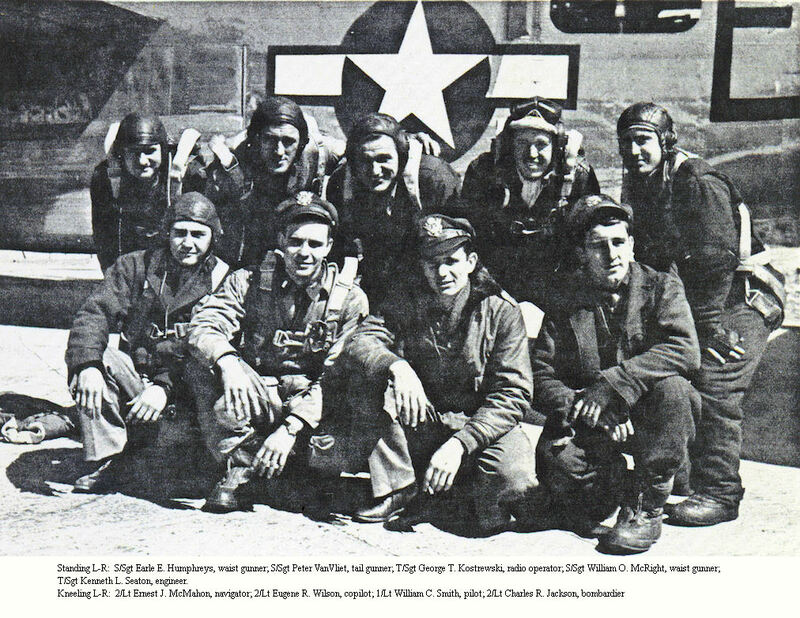 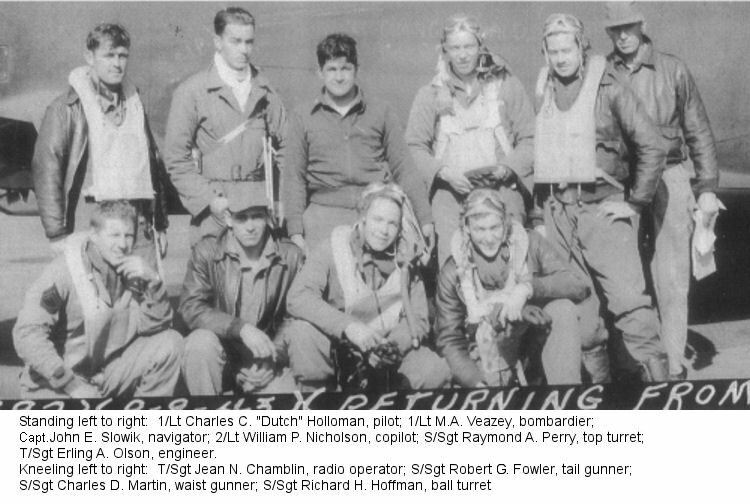 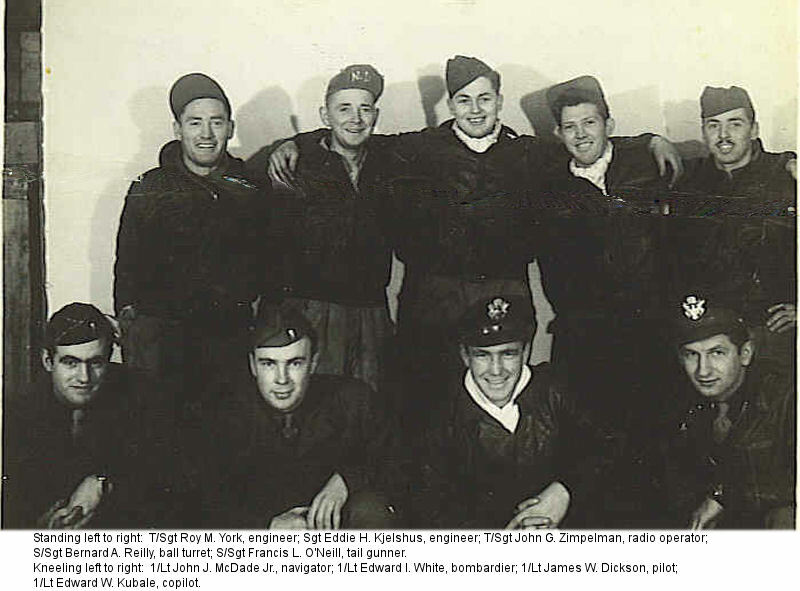 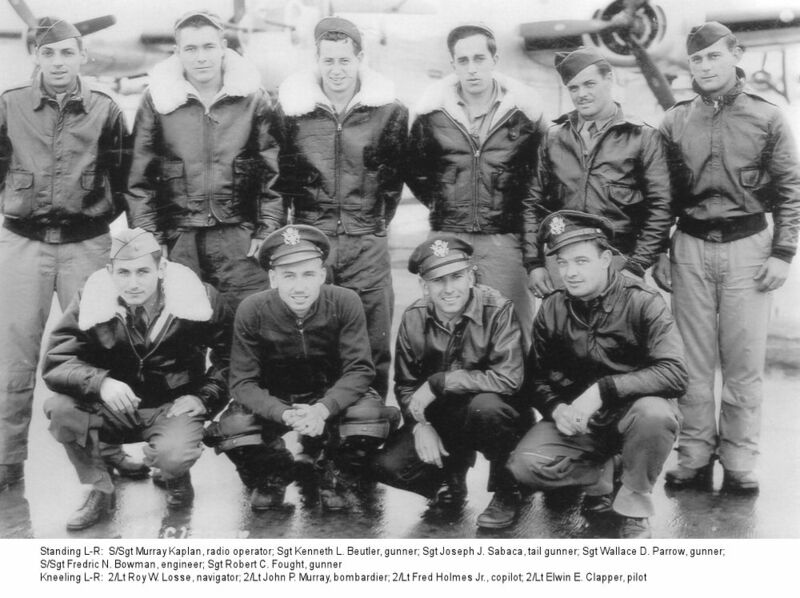 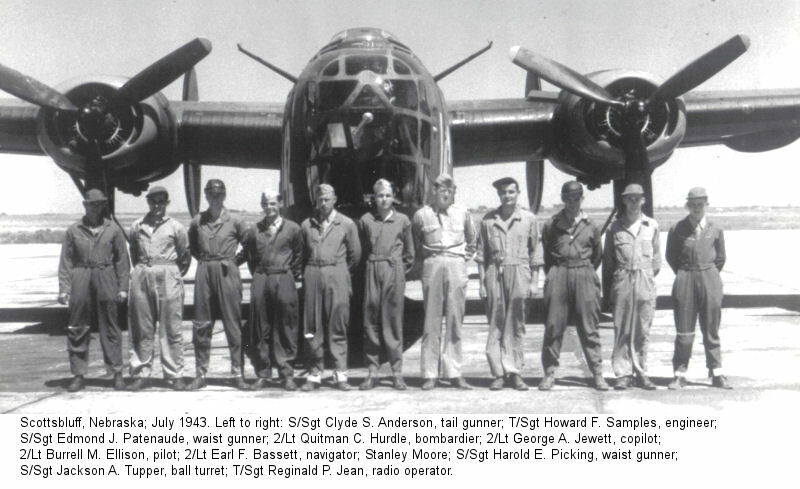 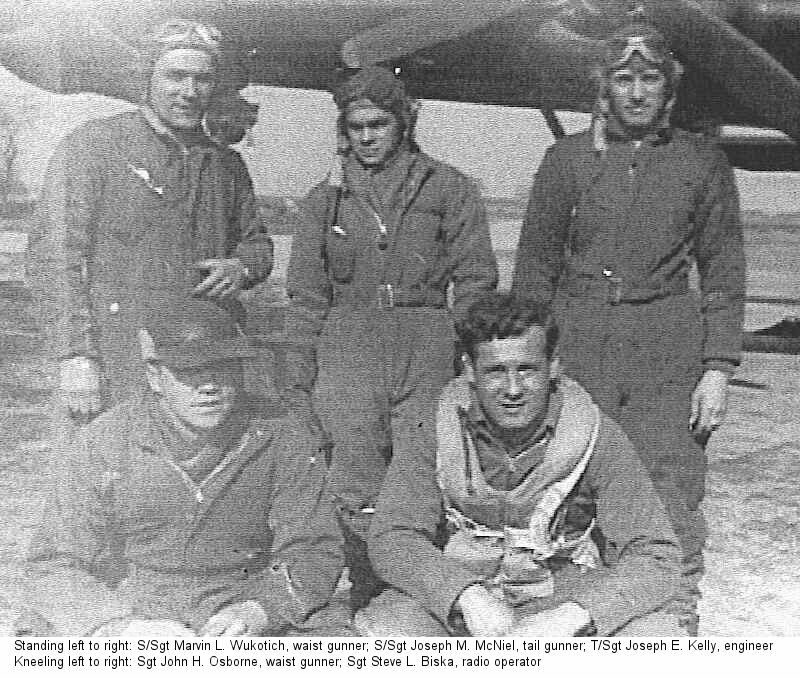 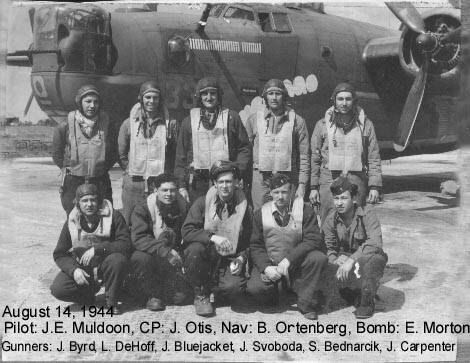 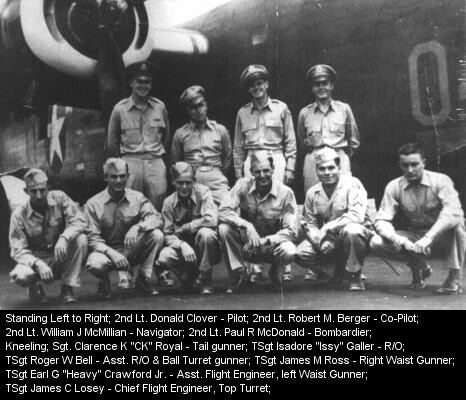 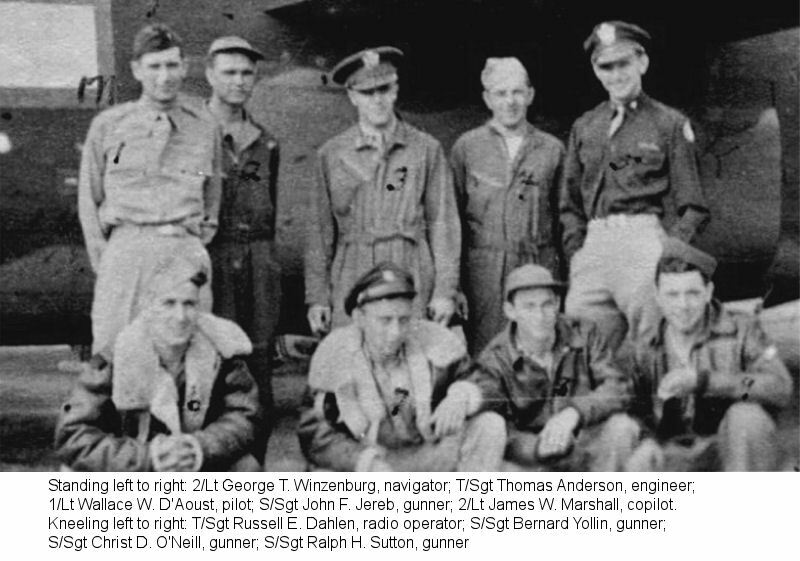 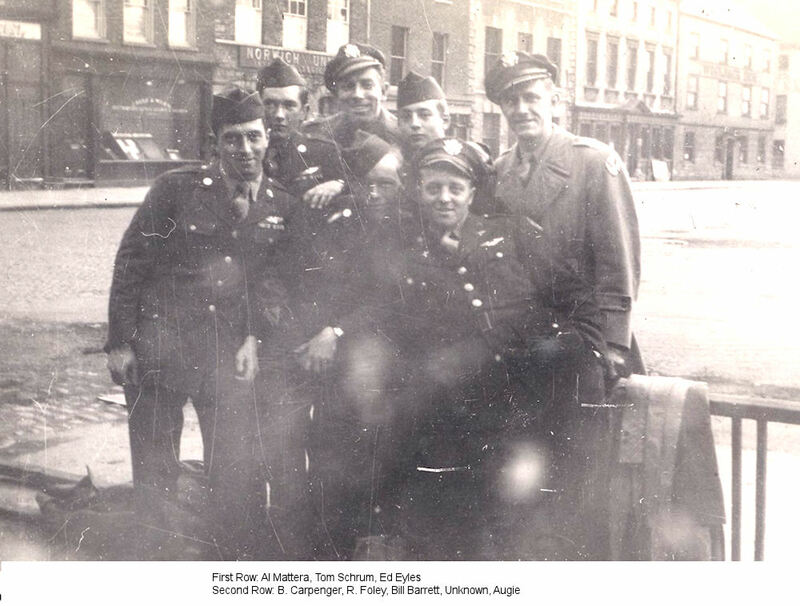 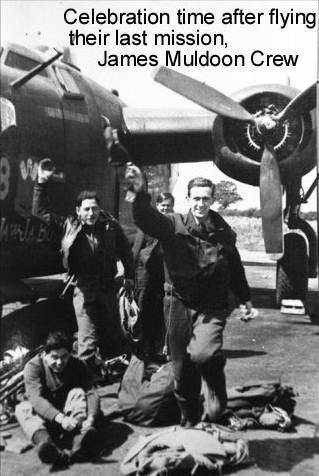 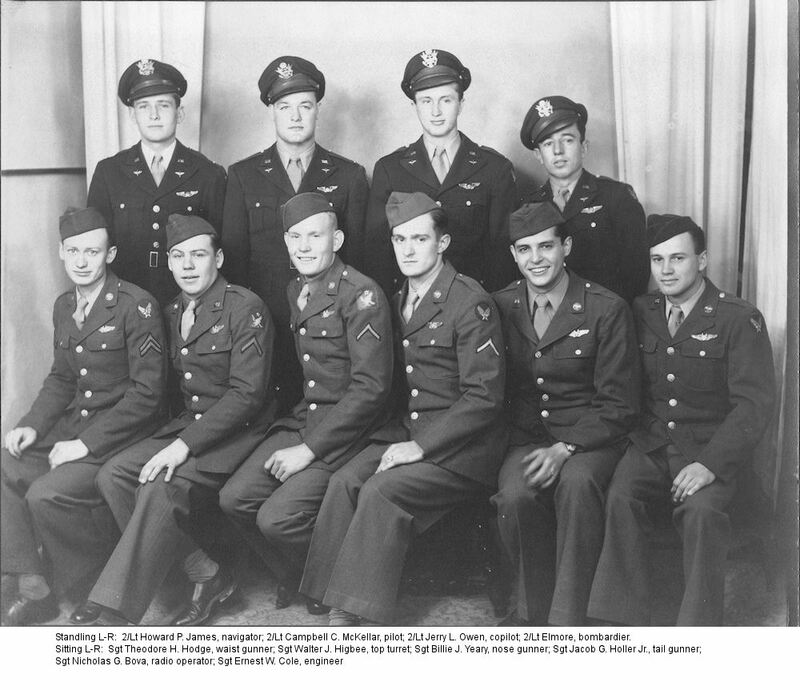 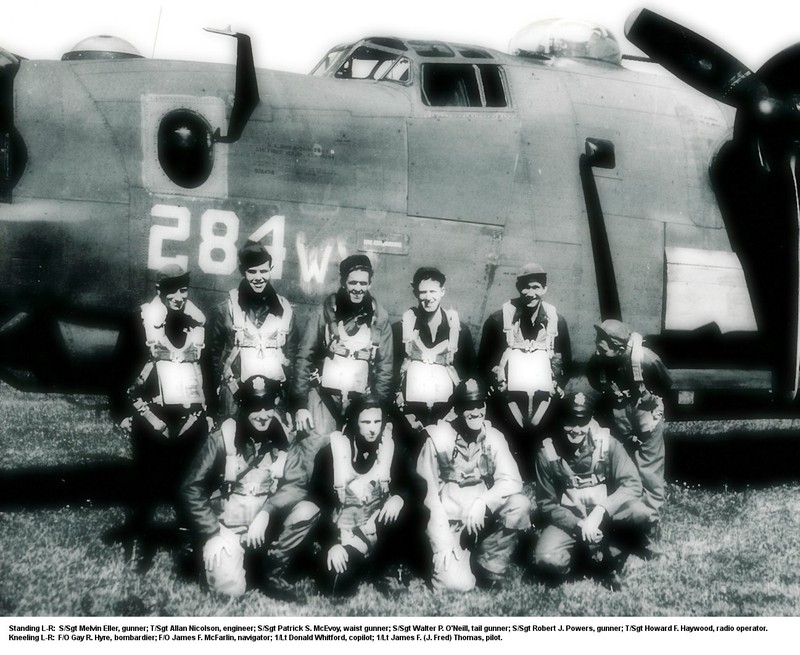 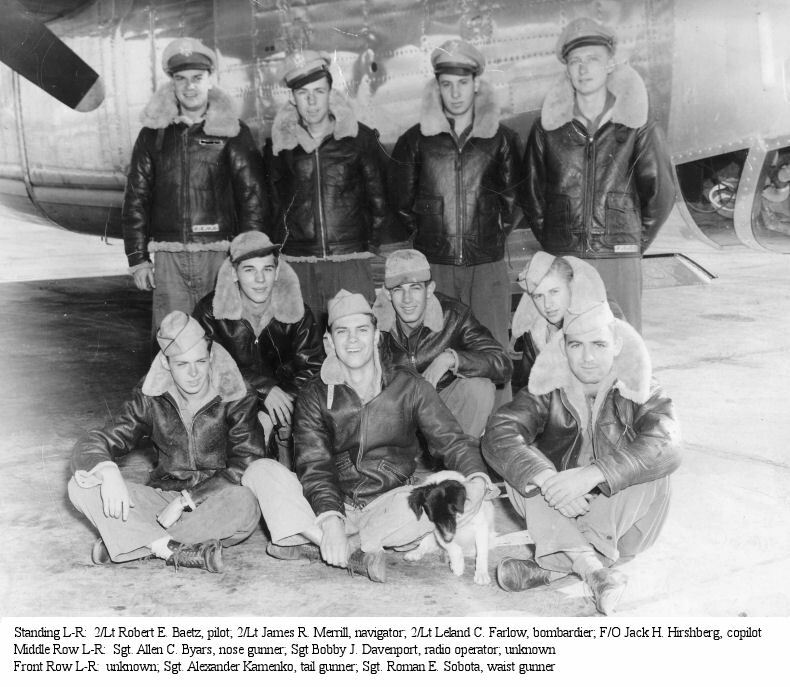 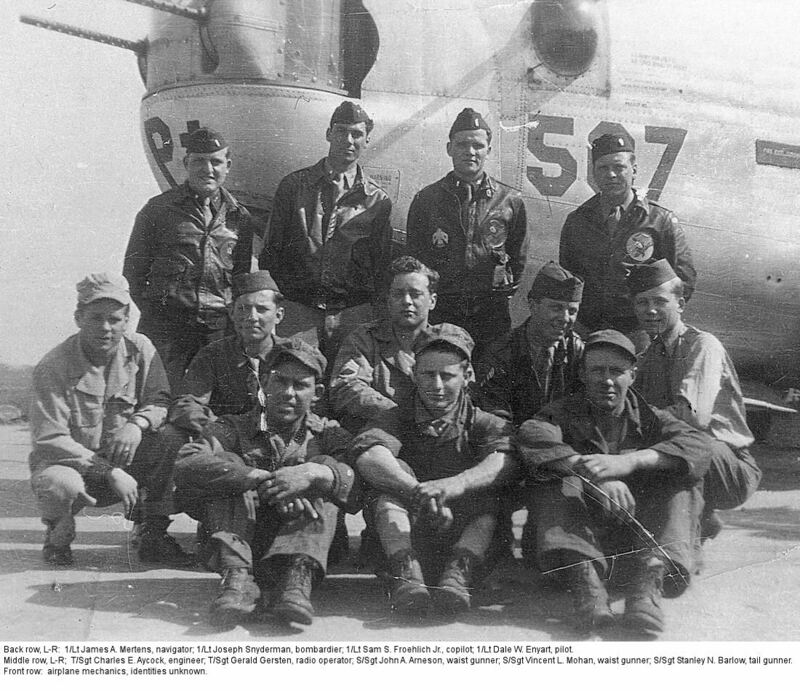 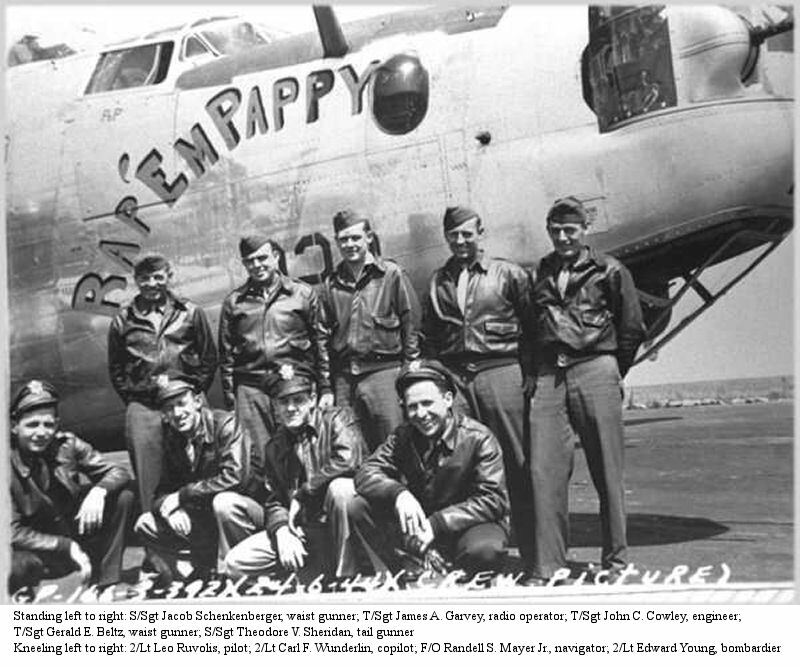 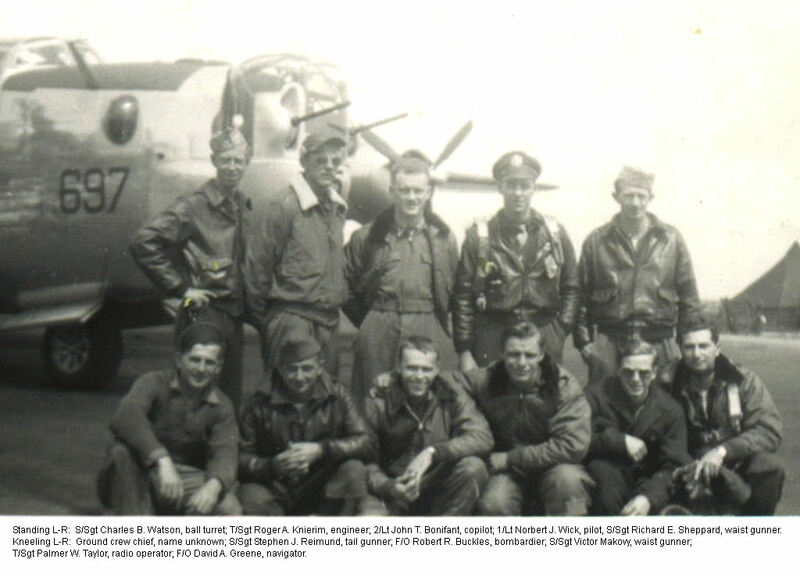 McGinley, William C. S/Sgt Tail Gunner Stukus crew Personal Acct. 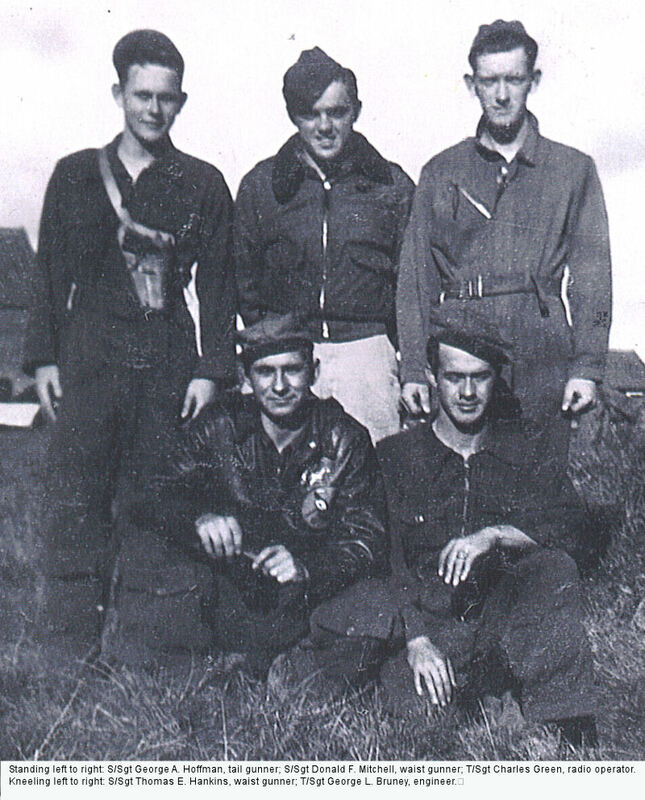 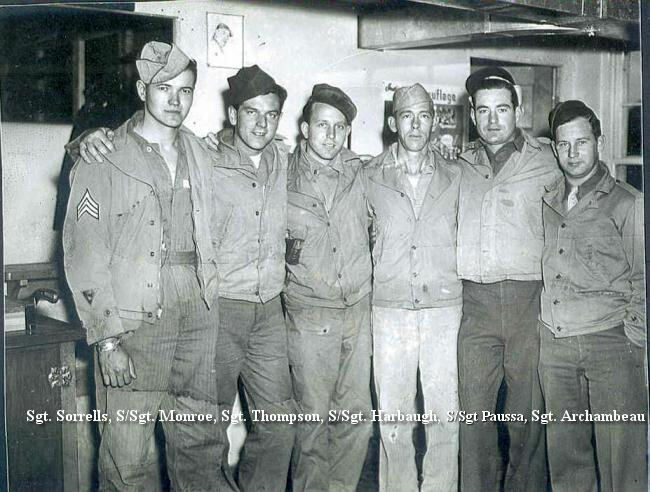 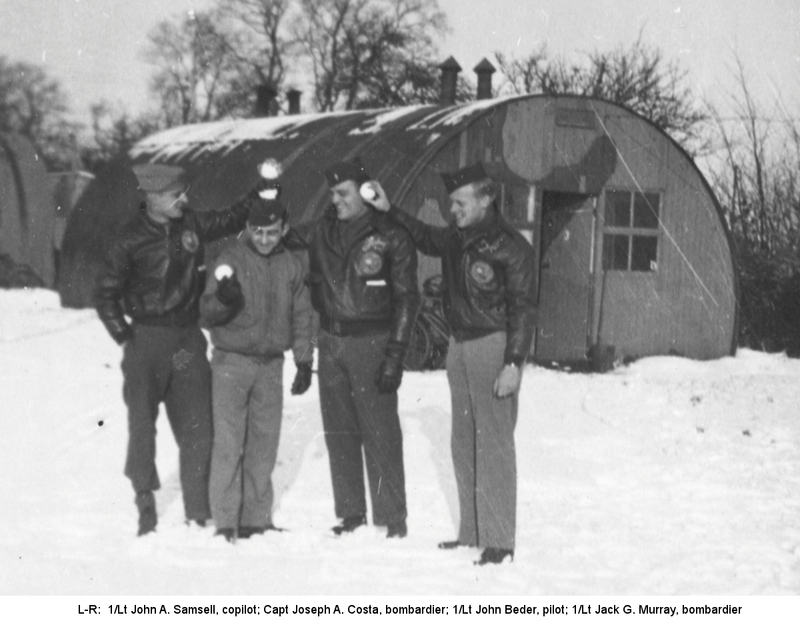 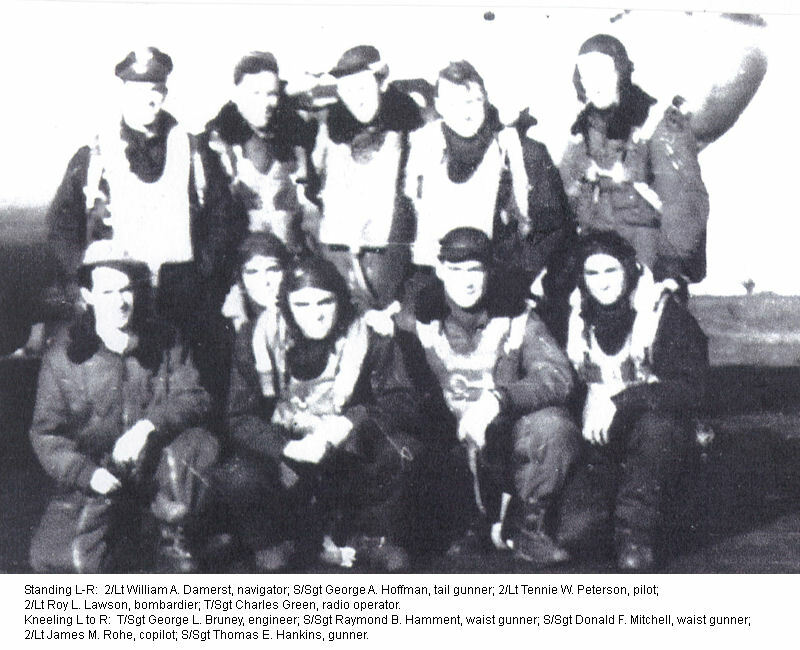 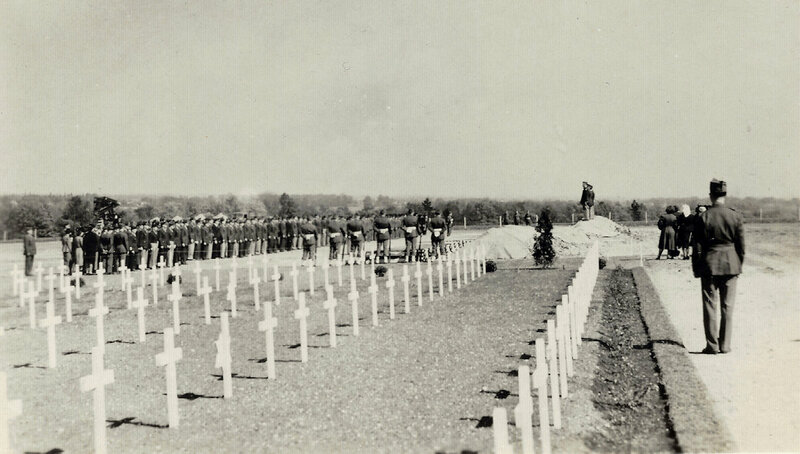 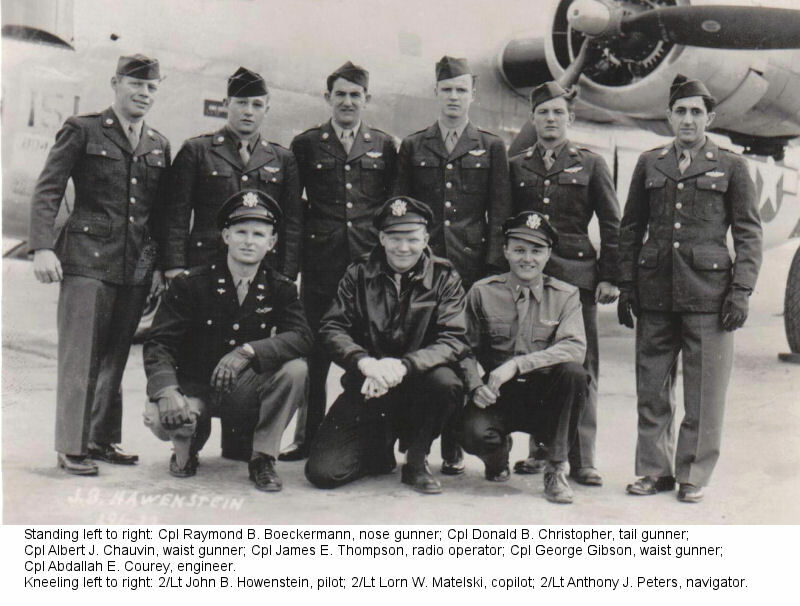 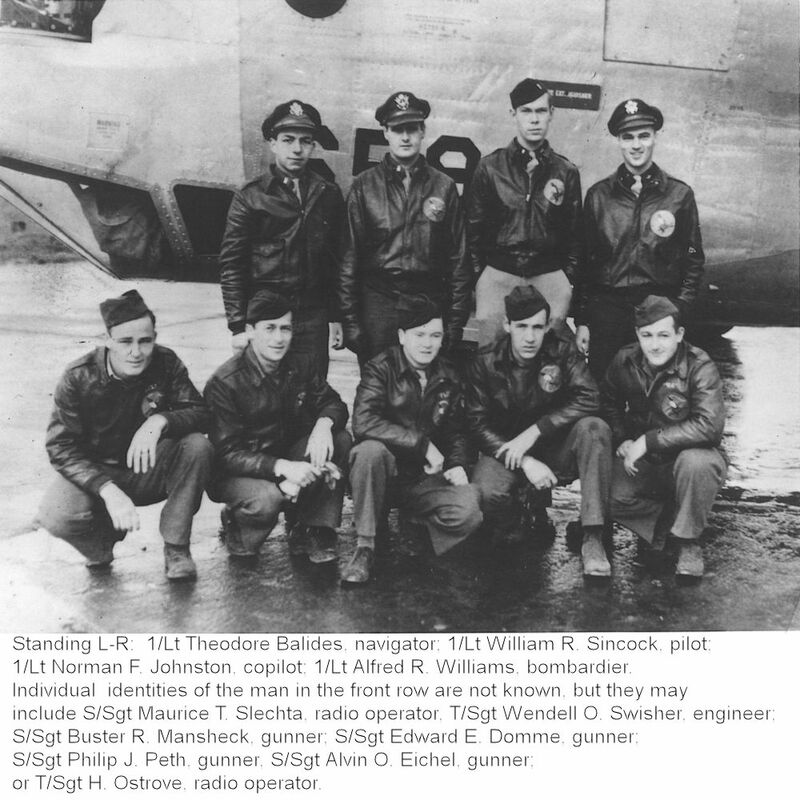 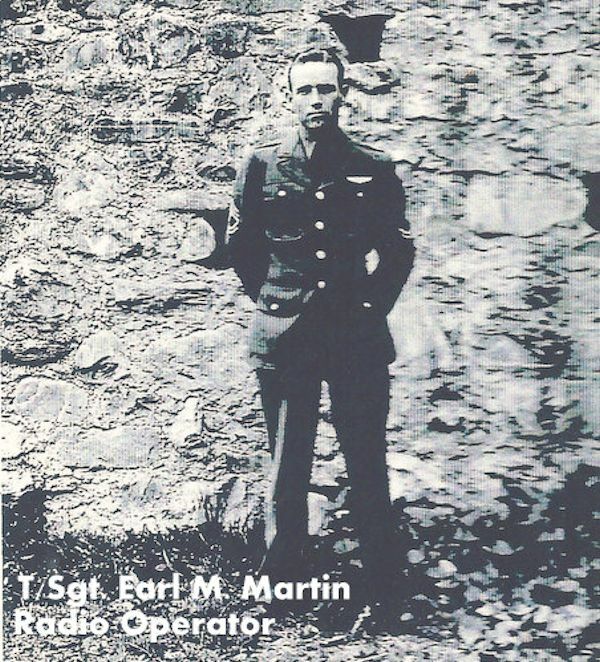 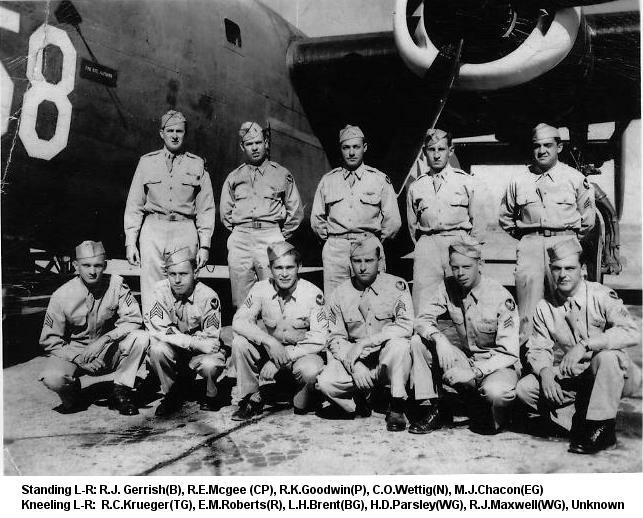 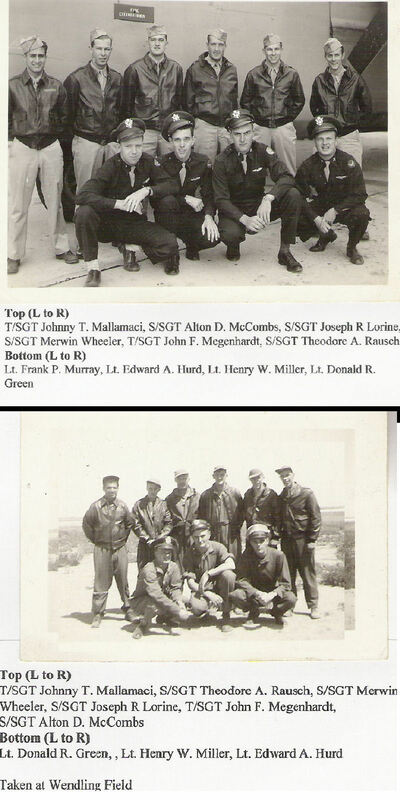 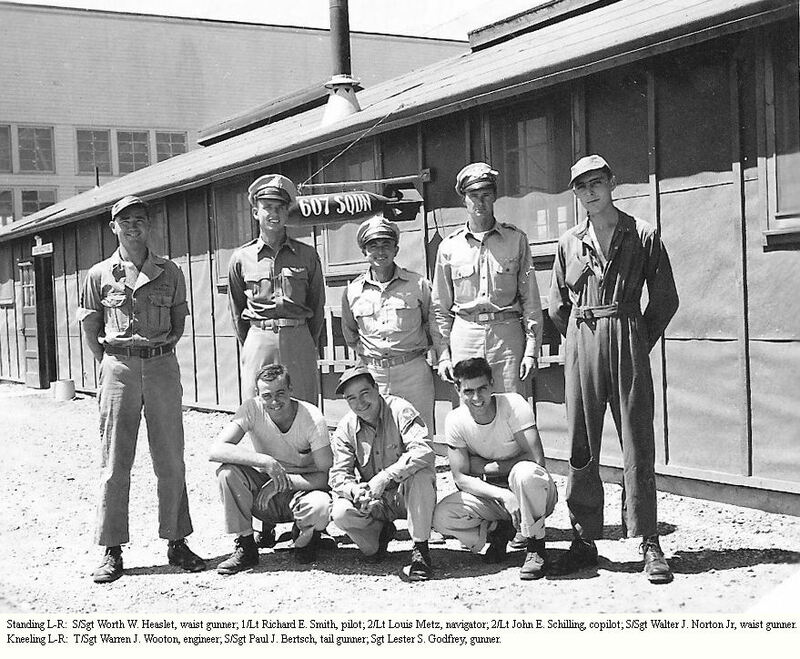 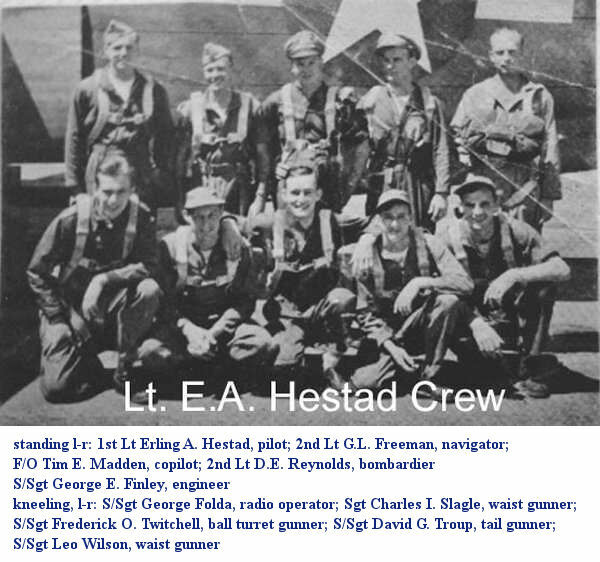 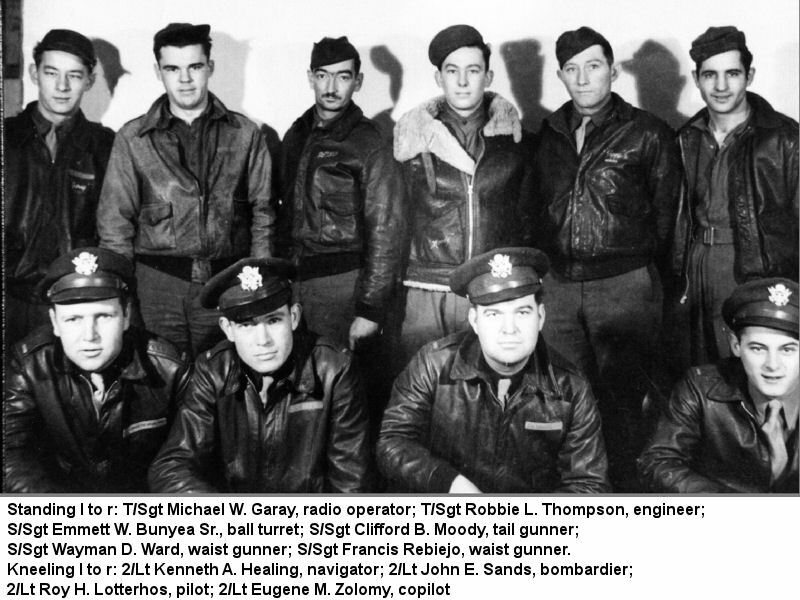 Michel, George W. T/Sgt Radio Operator Robertson crew Personal Acct. 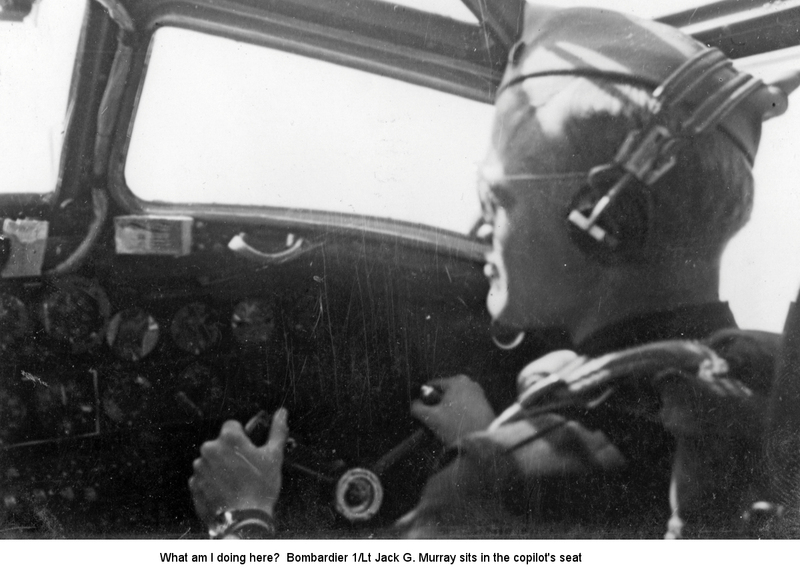 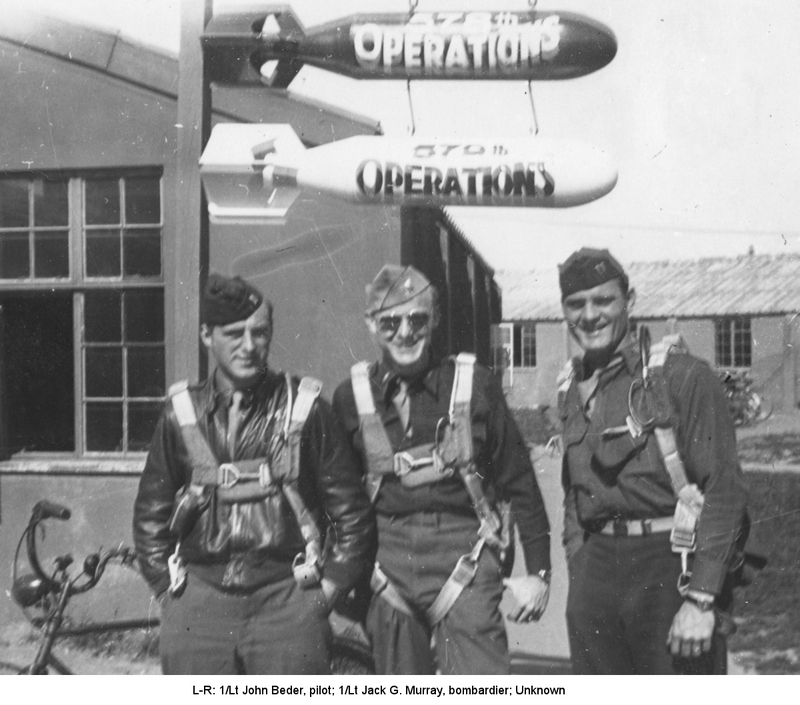 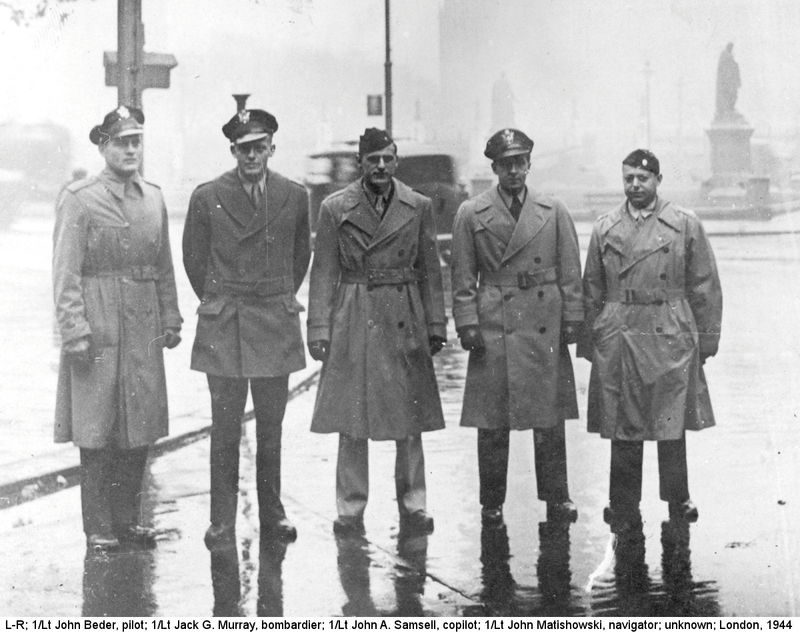 Money, Jack A. S/Sgt Ball Turret Baumgart crew Personal Acct.